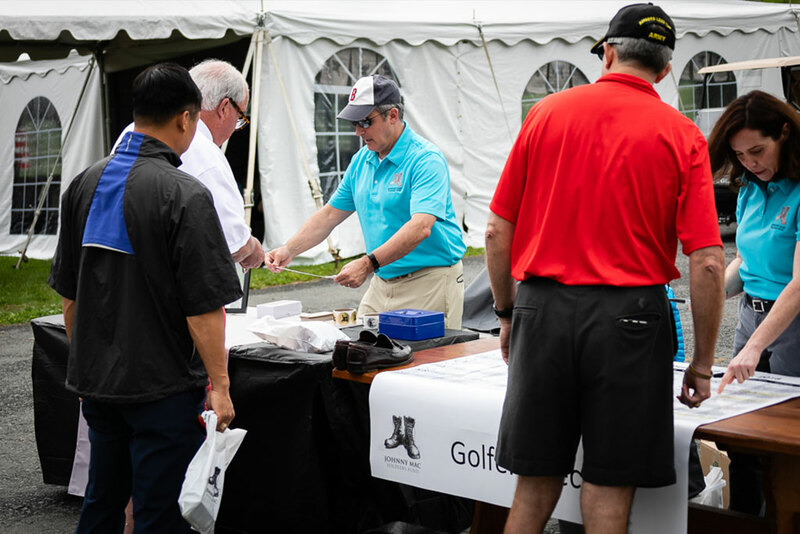 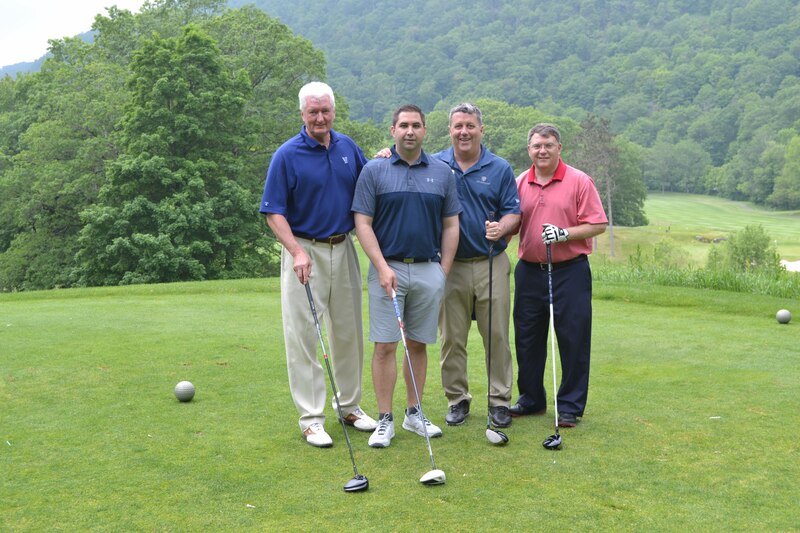 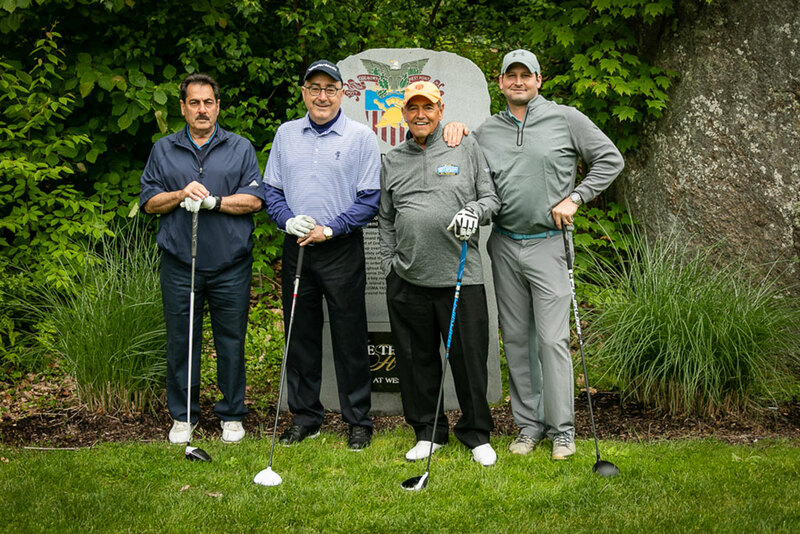 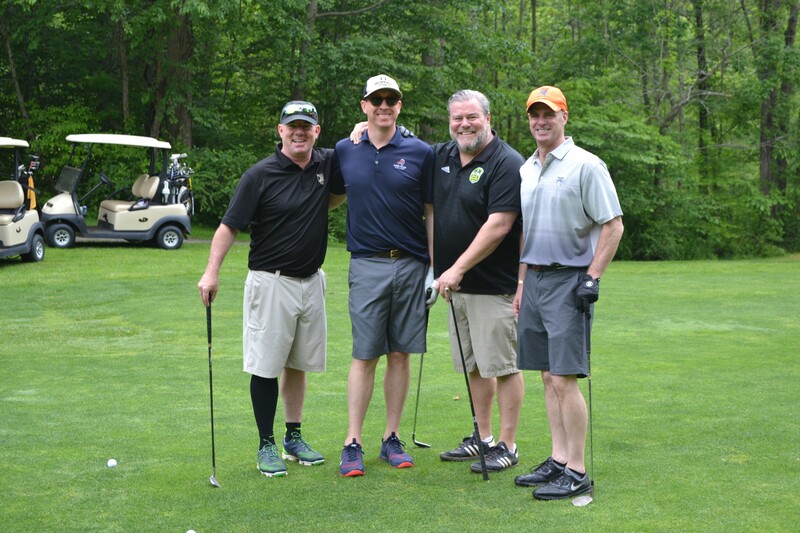 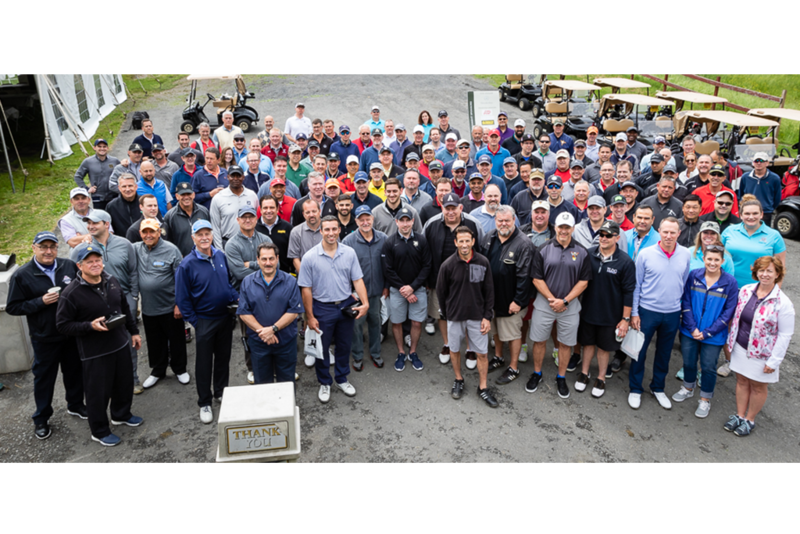 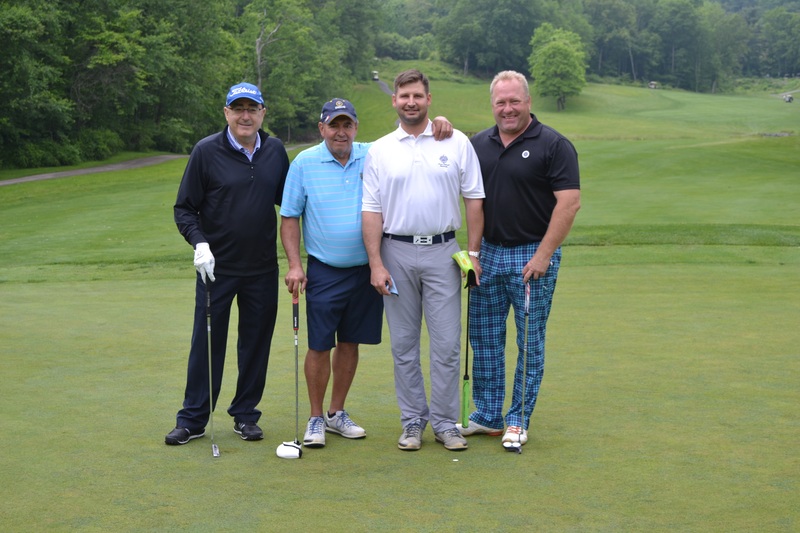 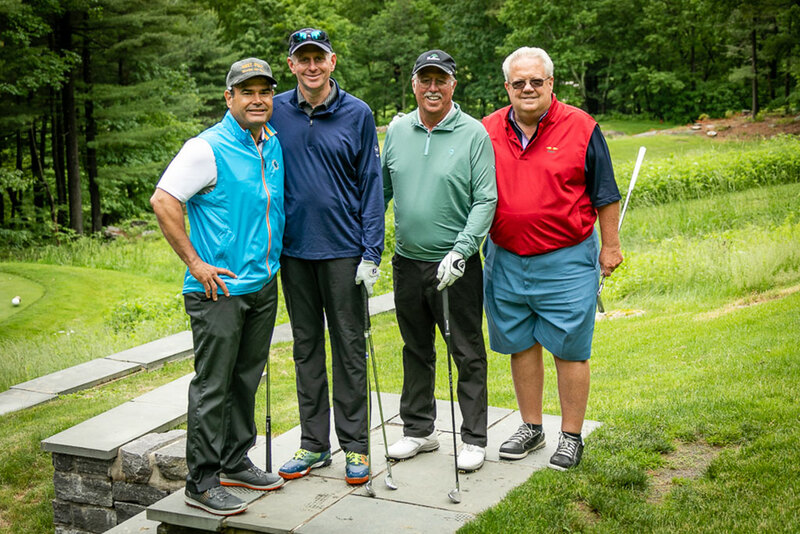 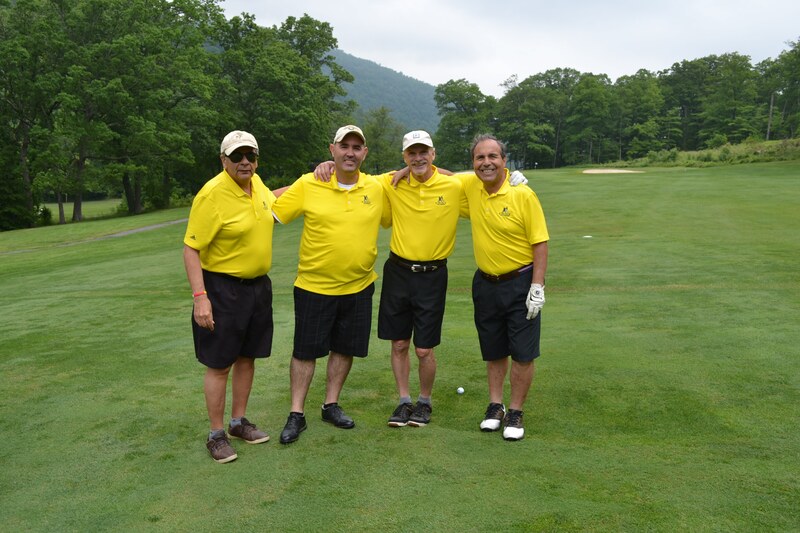 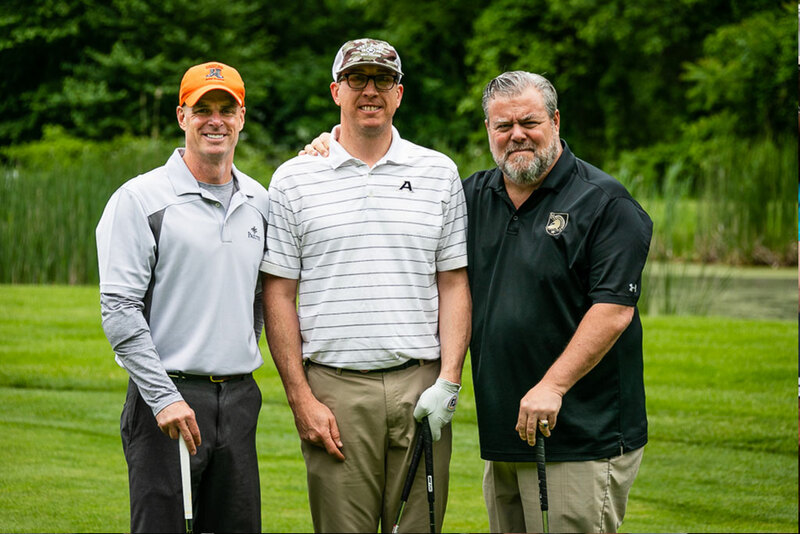 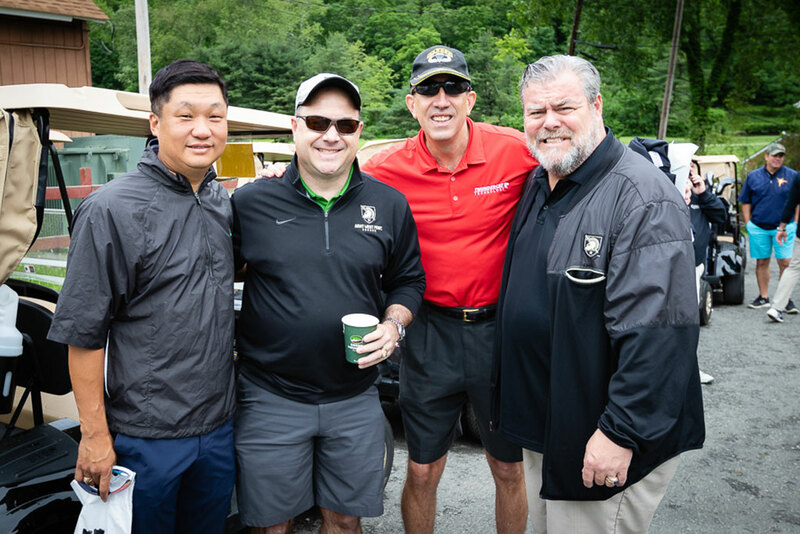 The rain held out all day as 30 foursomes took to the West Point Golf Course for a tournament honoring the memory and service of Johnny Mac and celebrating his legacy of over 430 scholarship recipients to date! 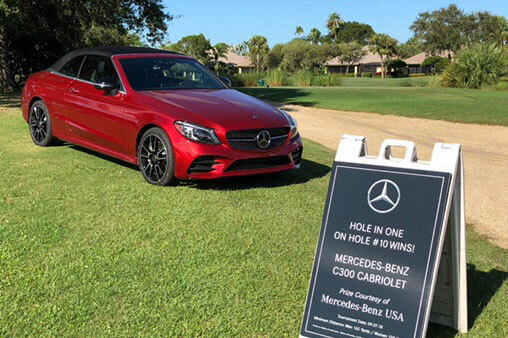 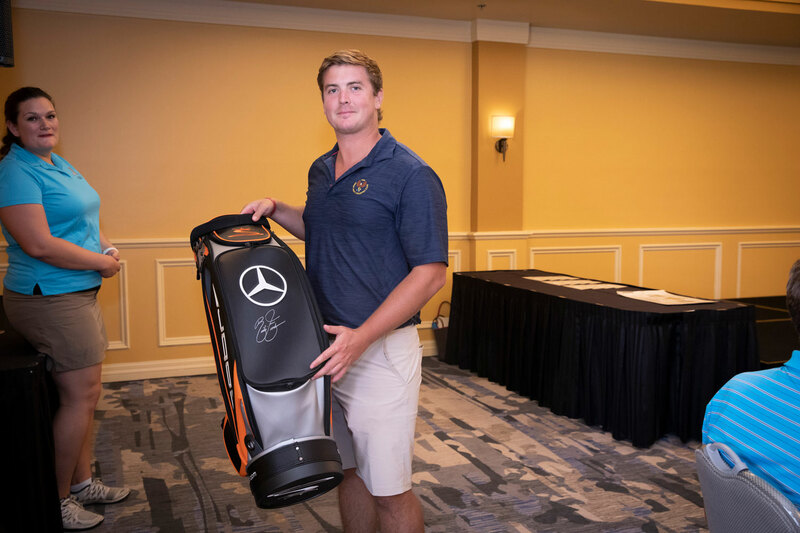 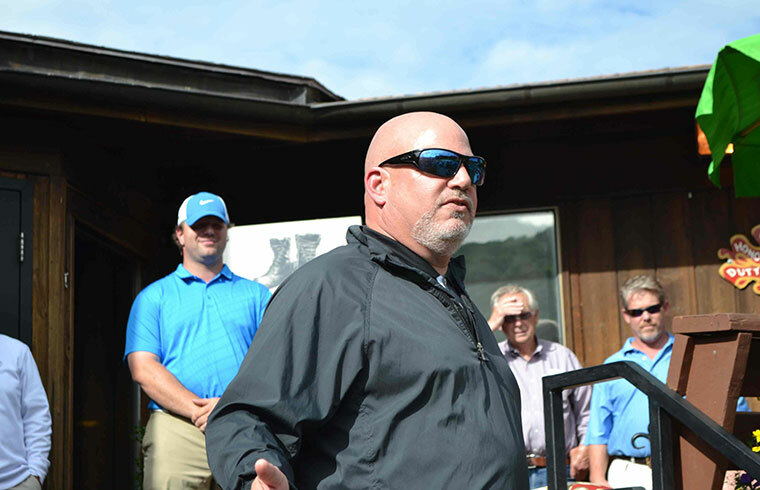 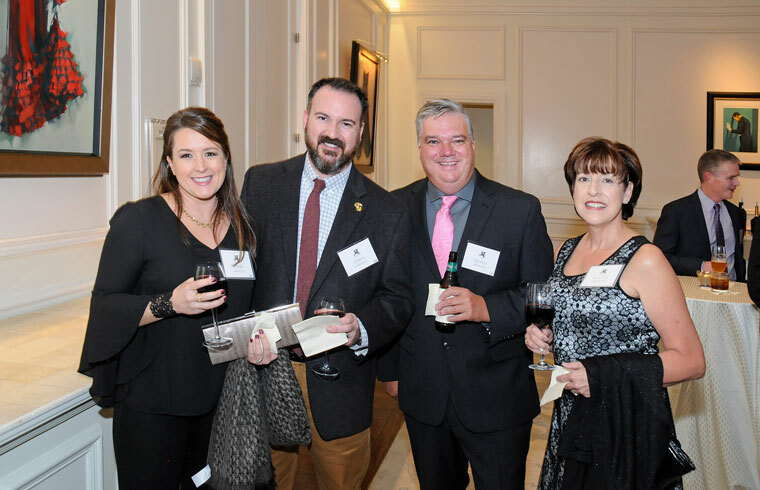 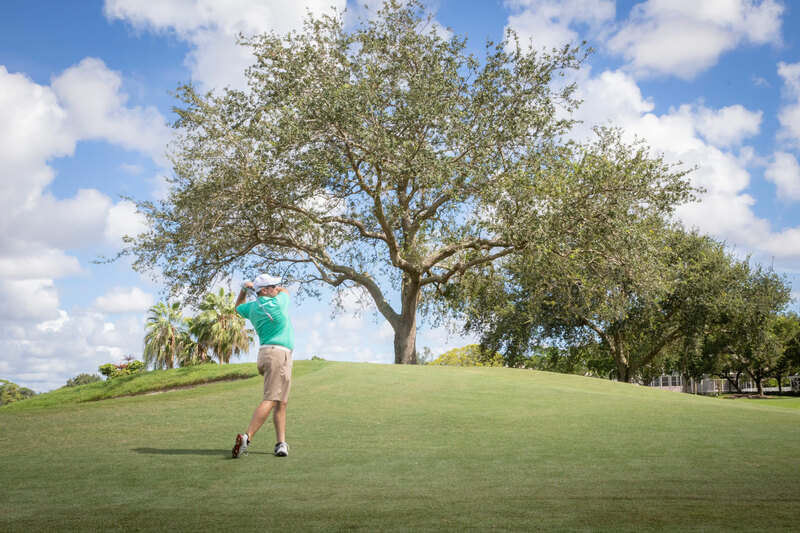 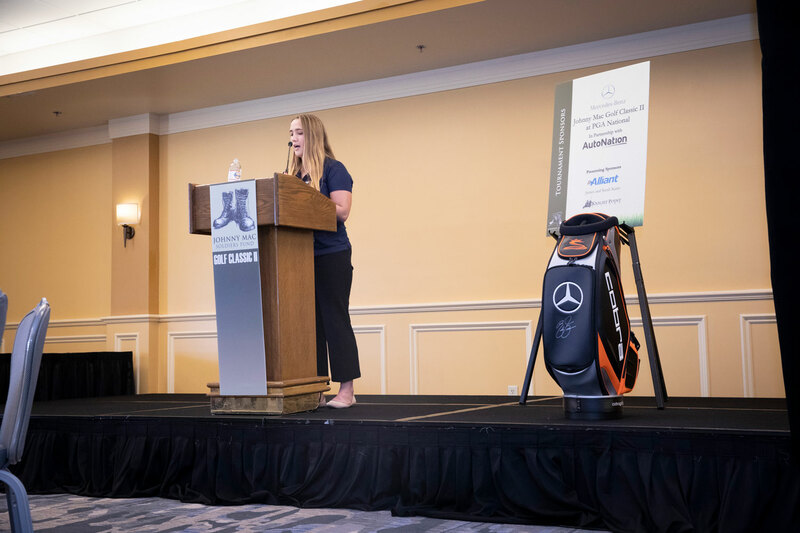 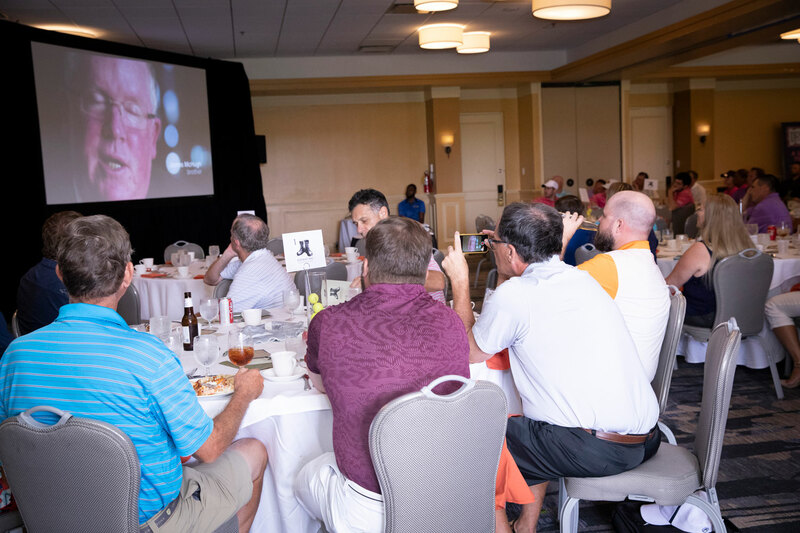 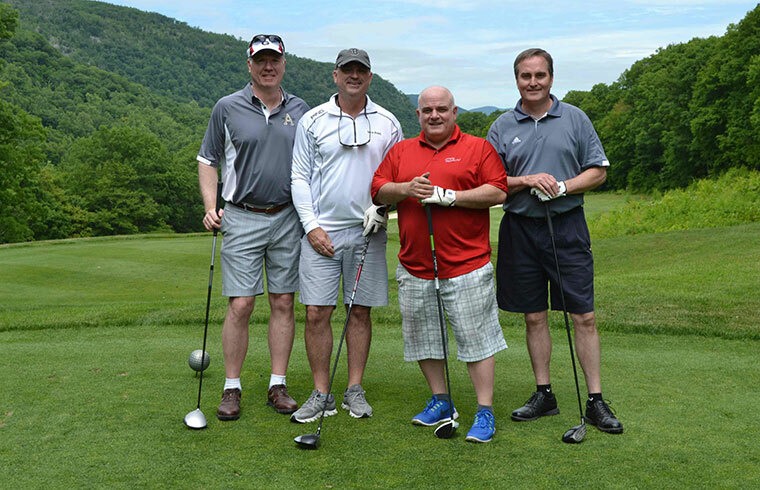 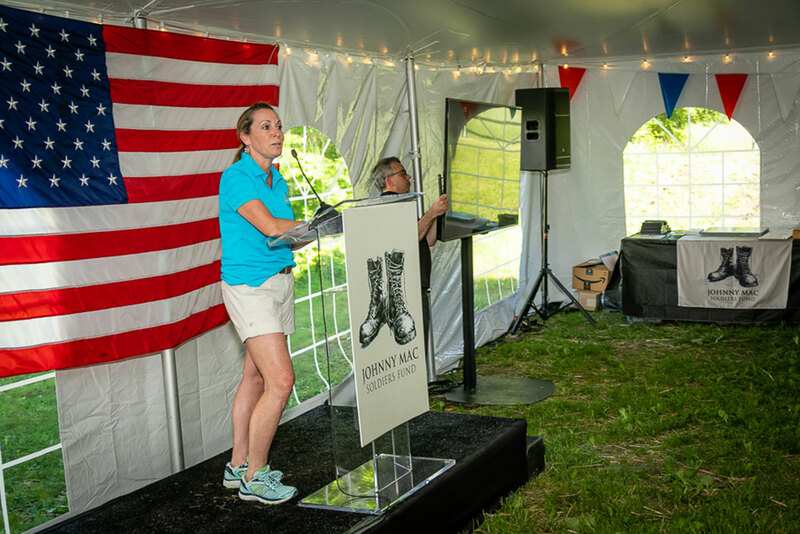 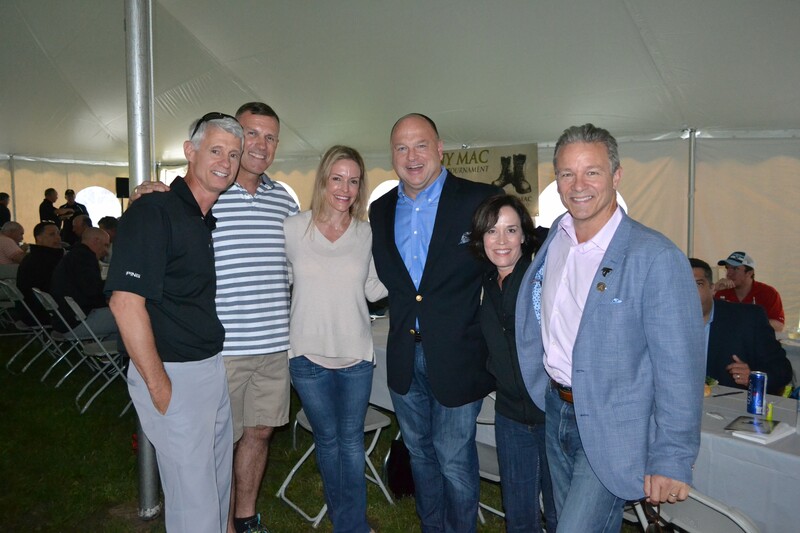 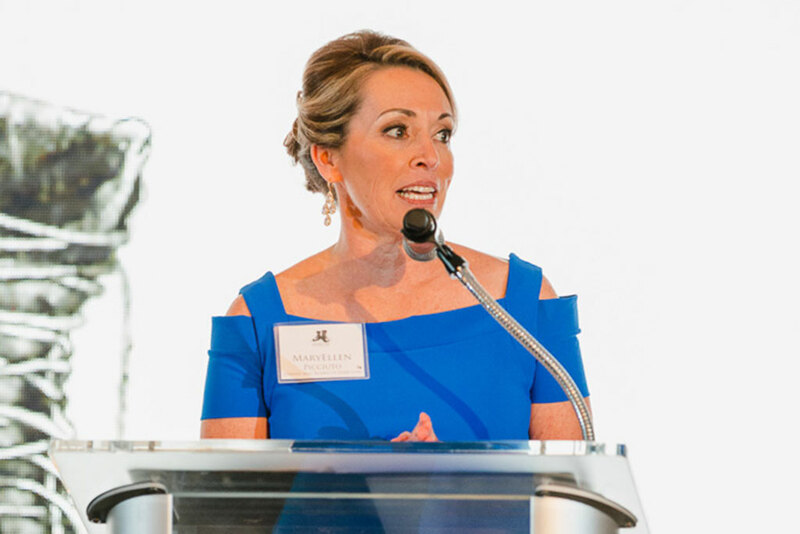 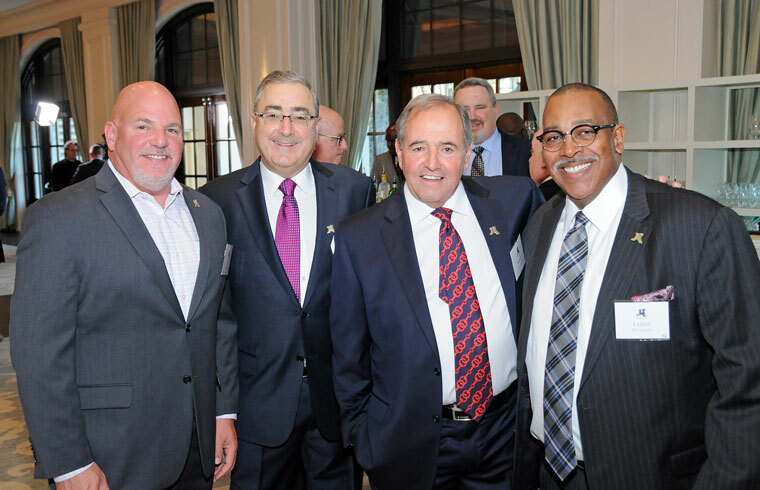 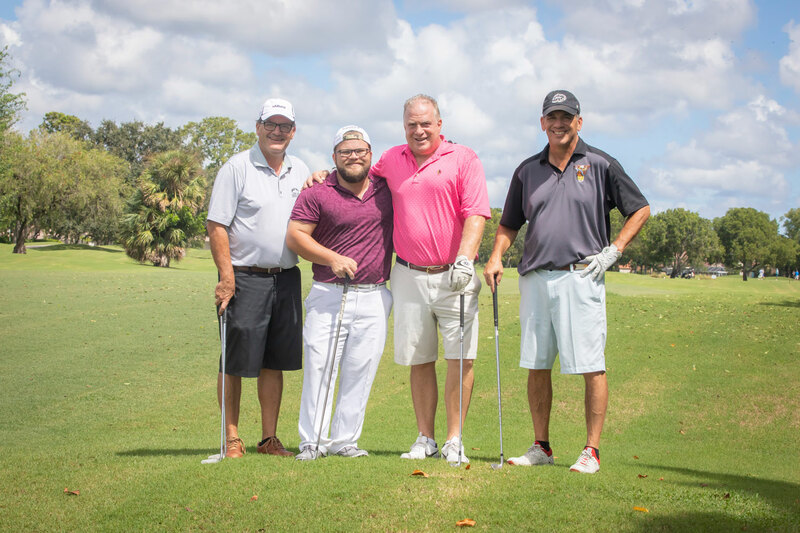 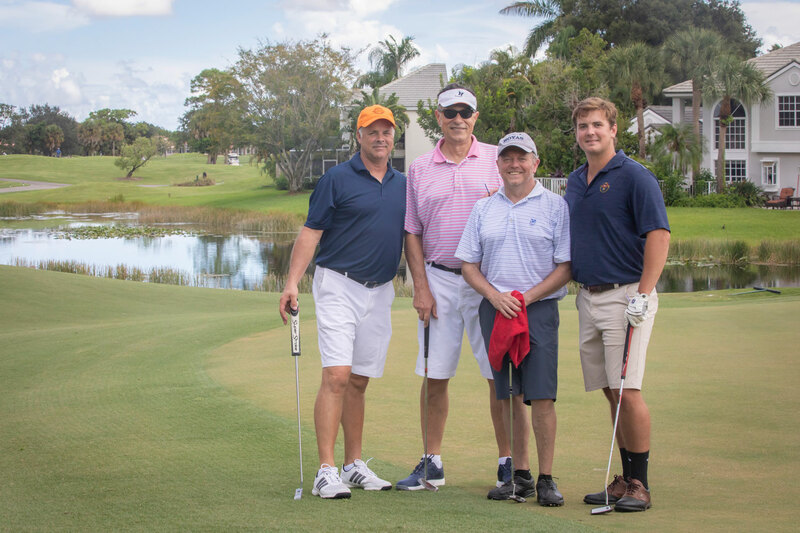 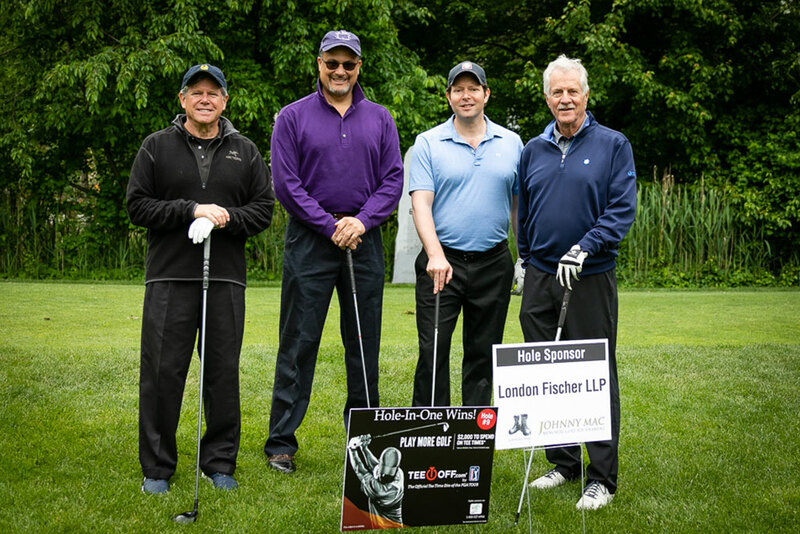 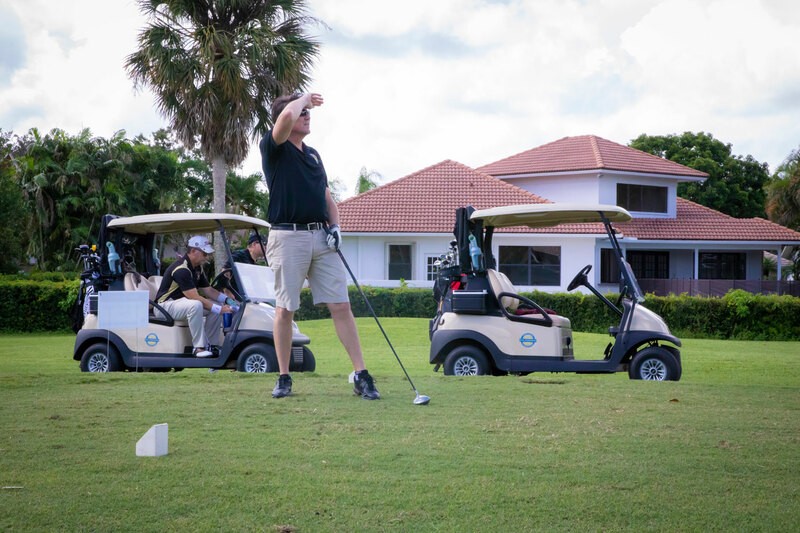 We raised over $160,000 and greatly appreciate the generosity of Title Sponsor Mercedes-Benz and Presenting Sponsors ADP, DeWalt, Domtar, Knight Point Systems, and the O’Connors. 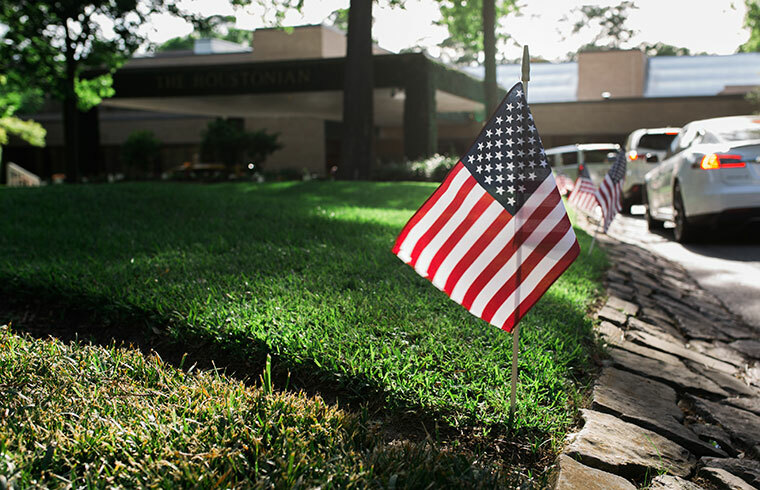 Thank you, Houston! 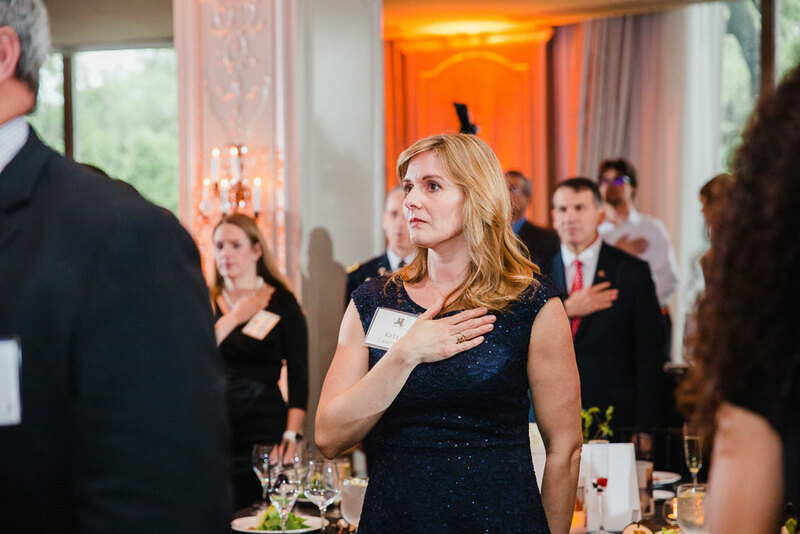 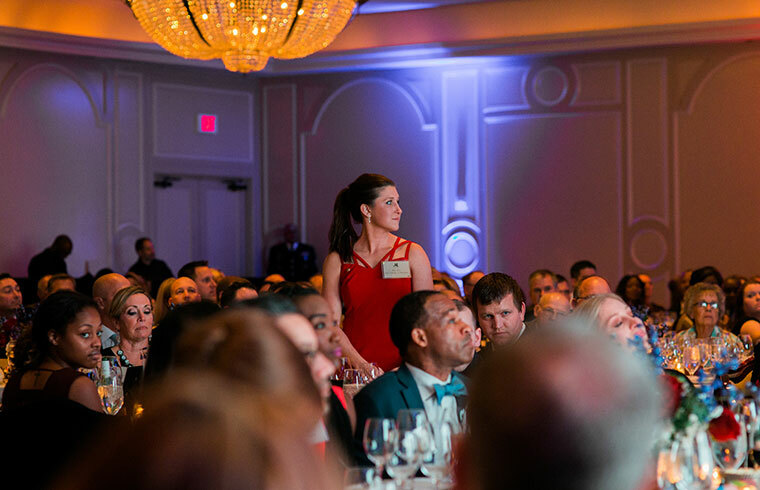 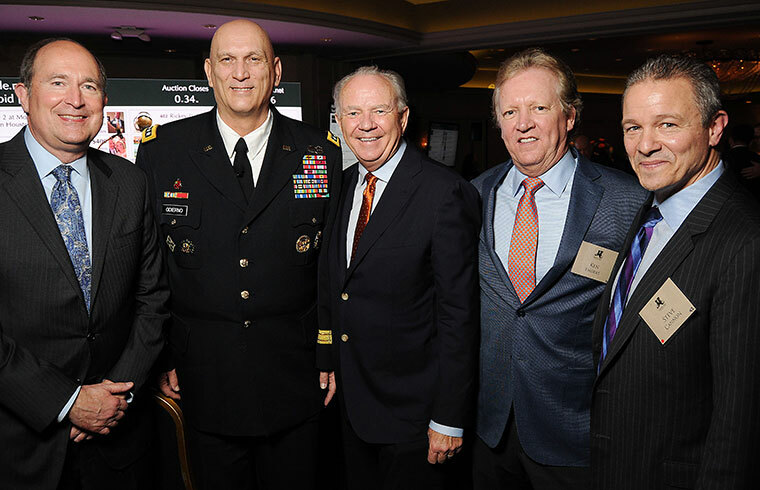 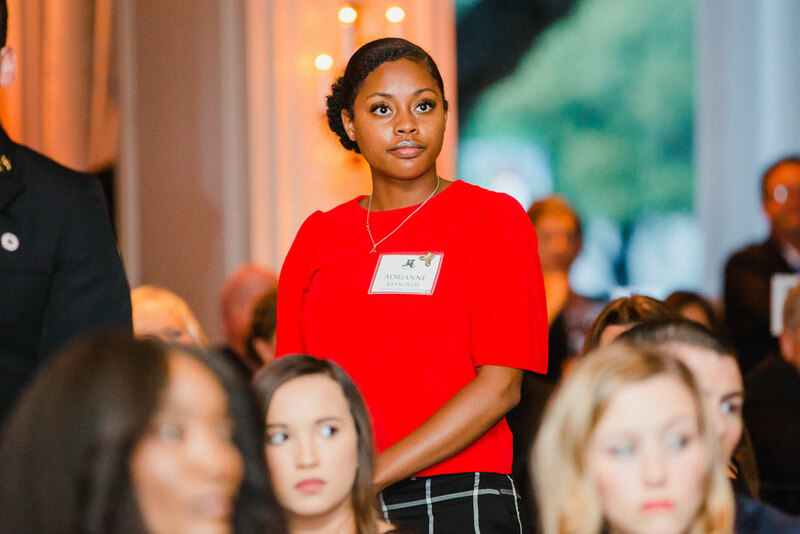 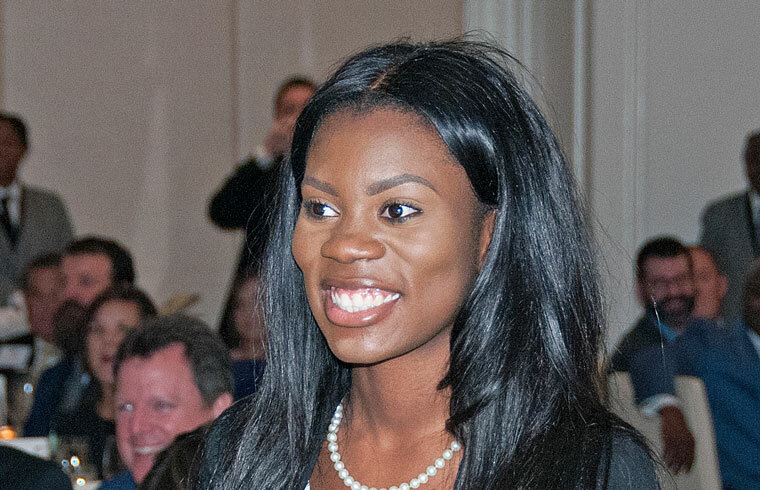 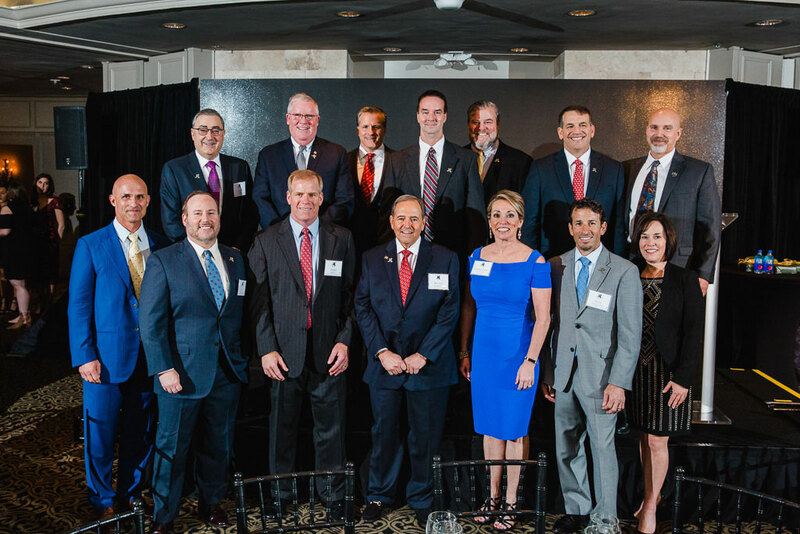 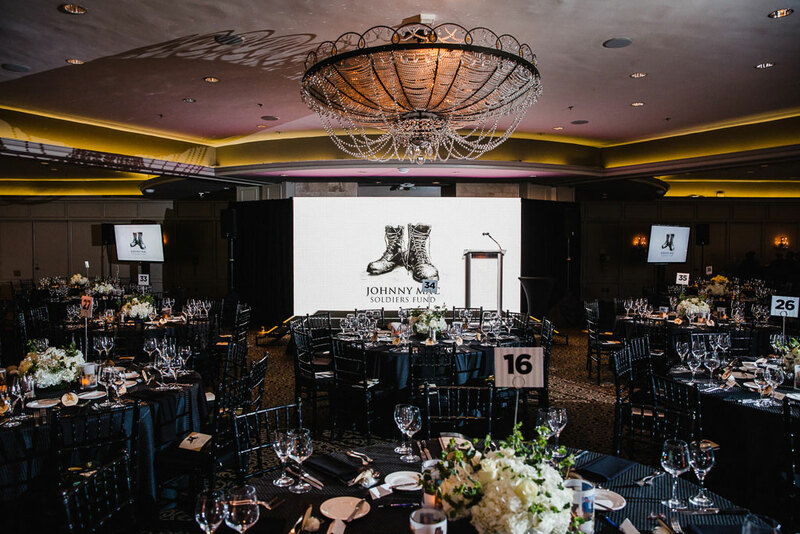 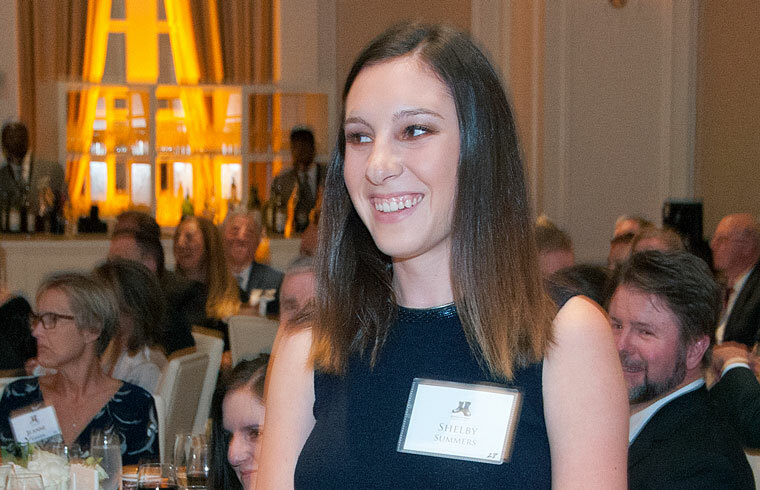 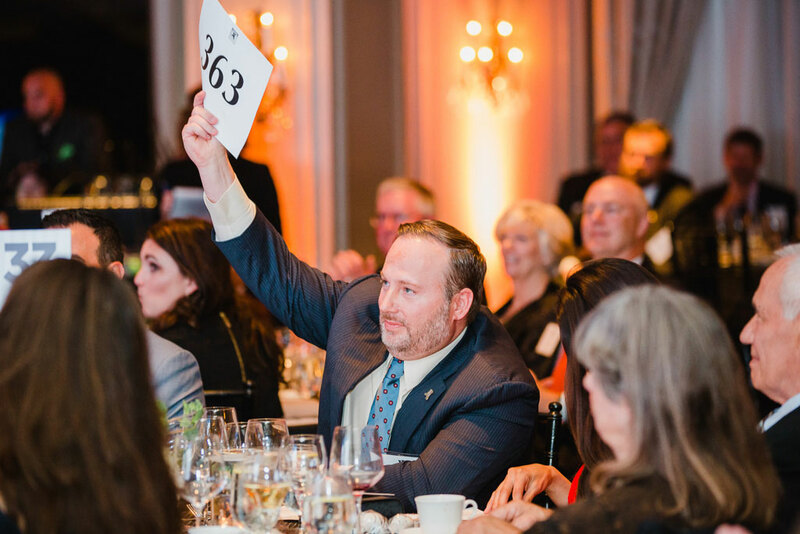 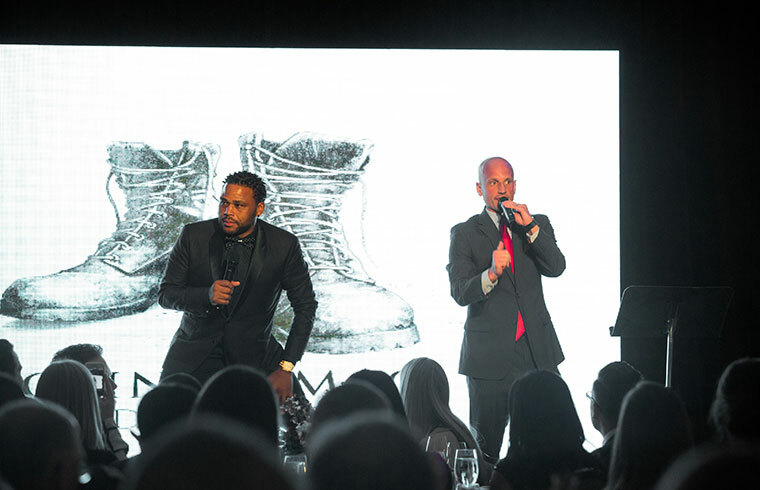 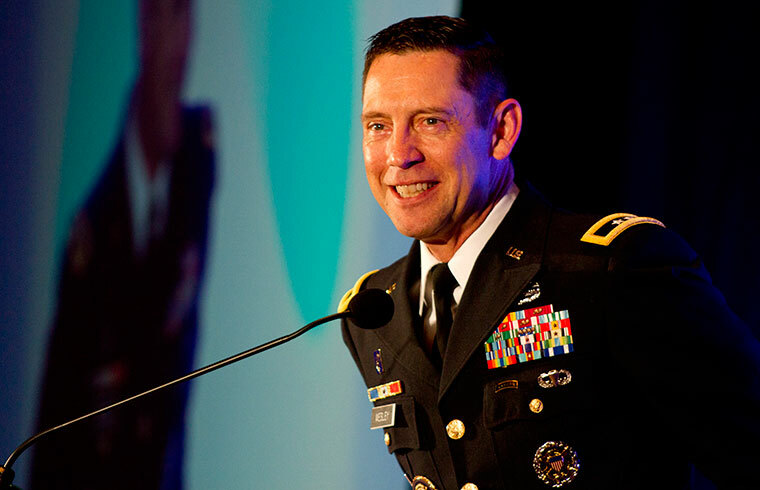 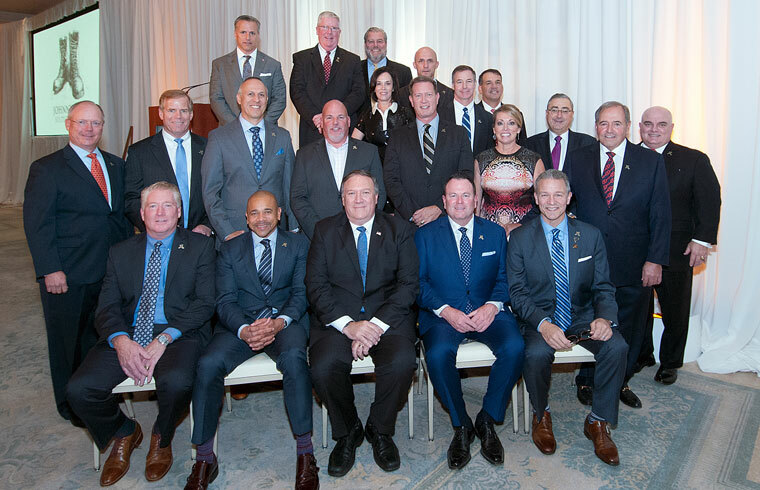 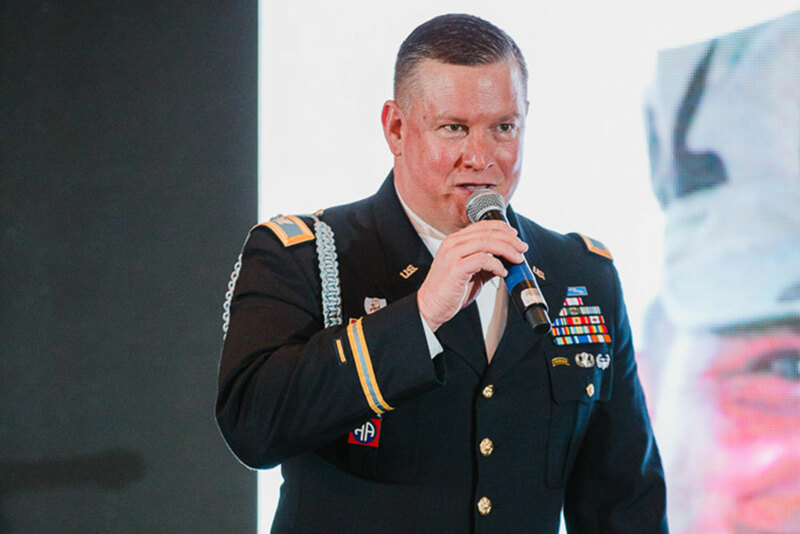 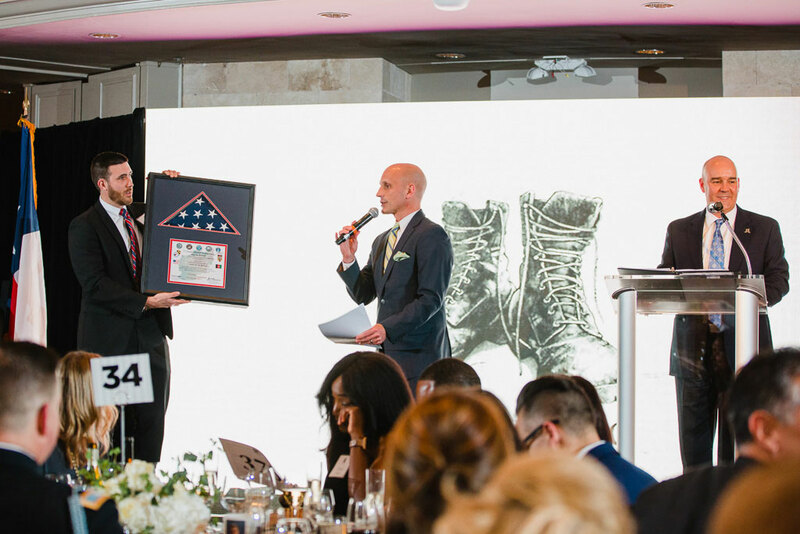 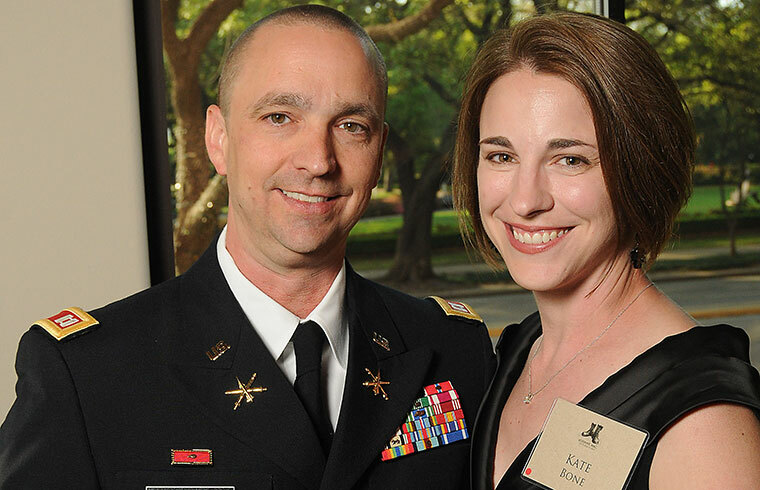 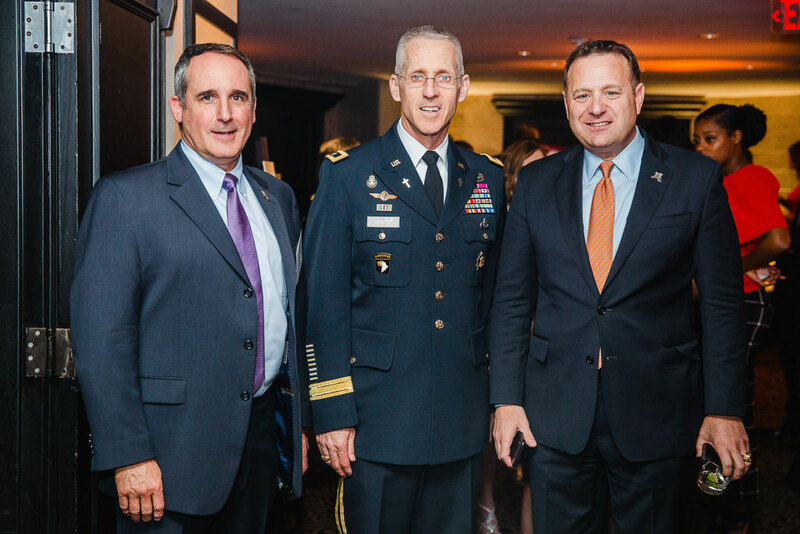 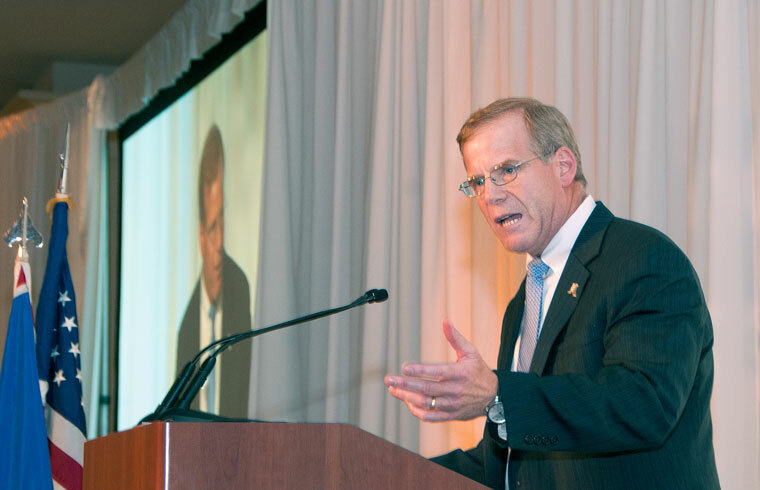 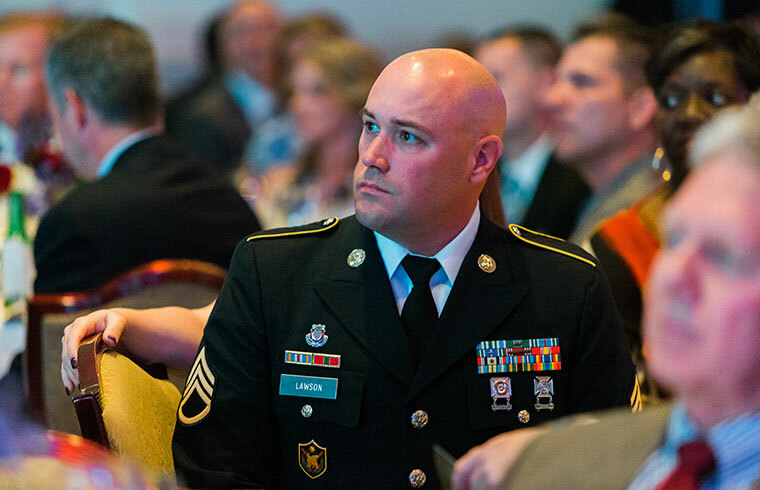 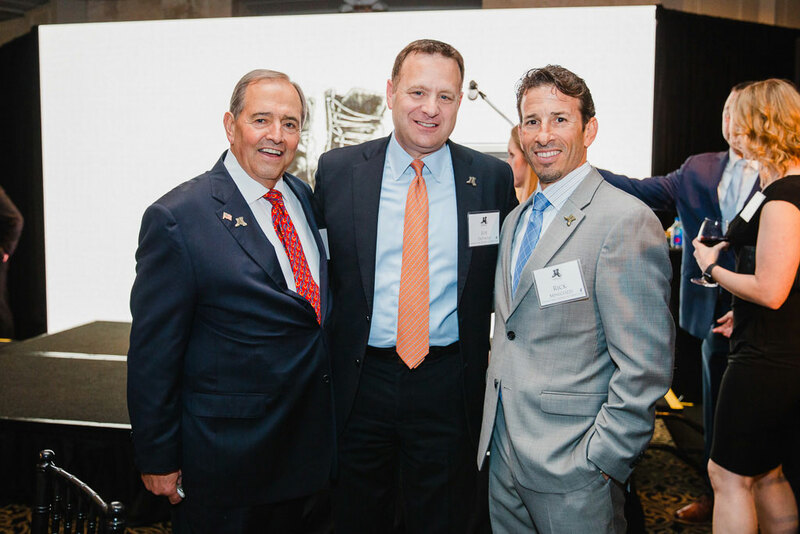 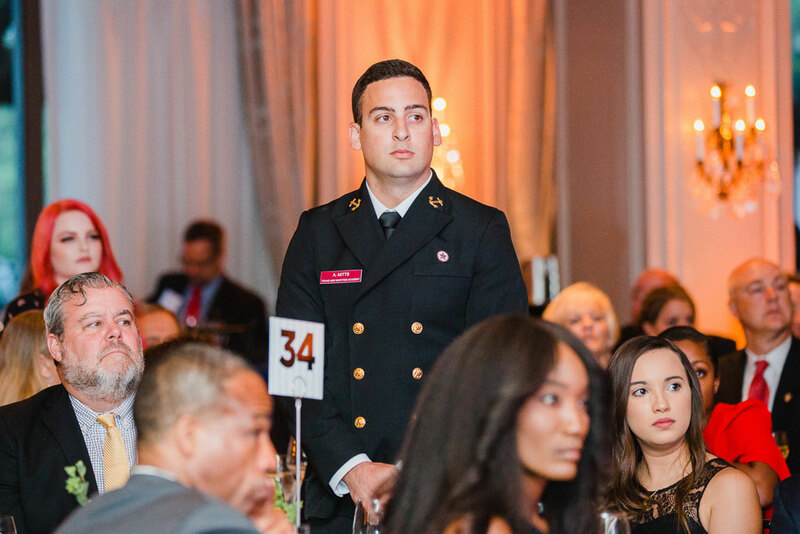 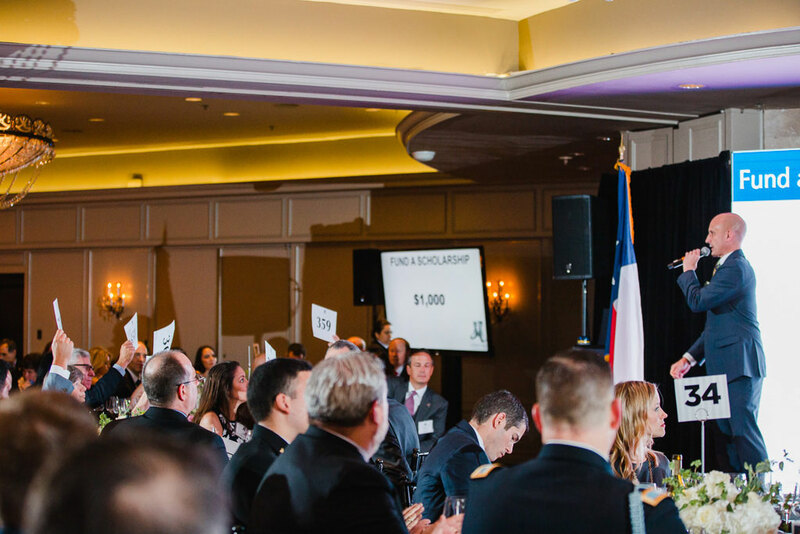 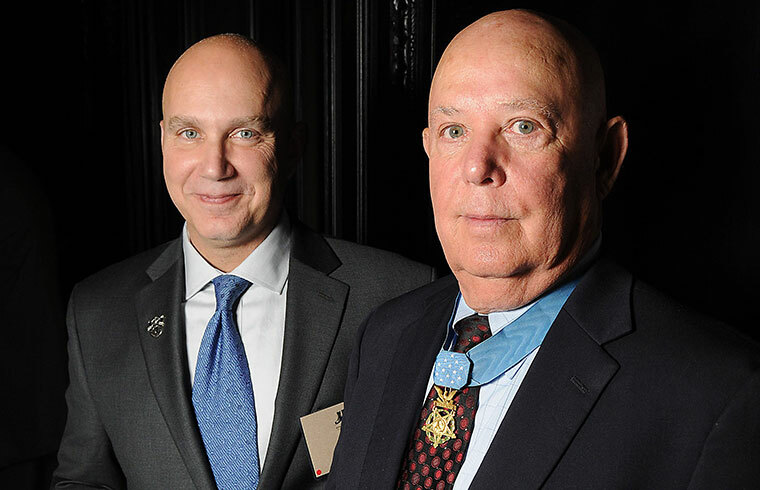 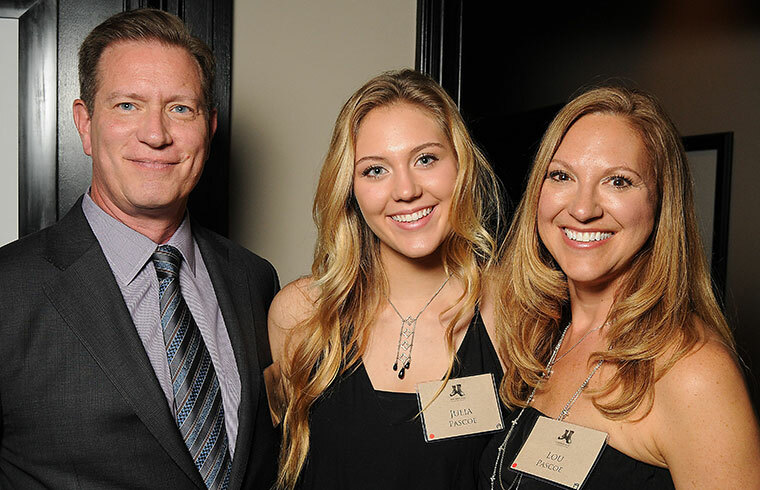 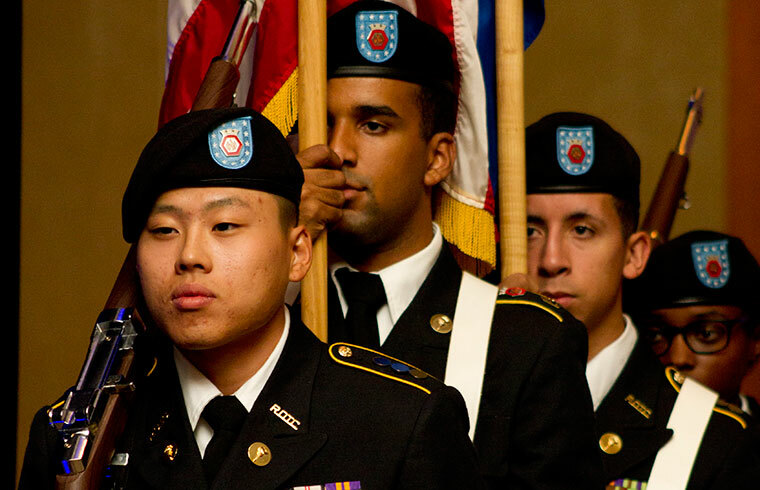 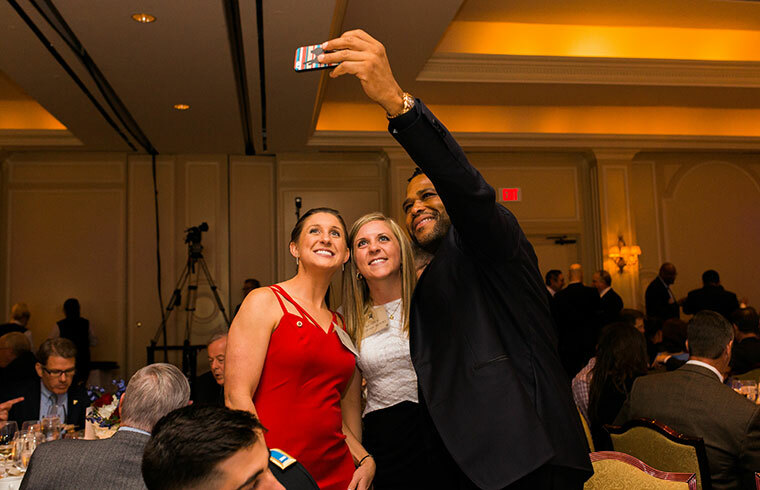 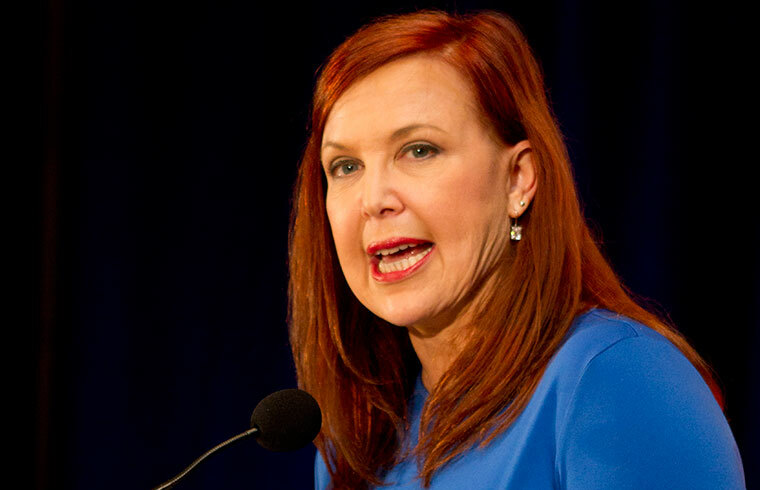 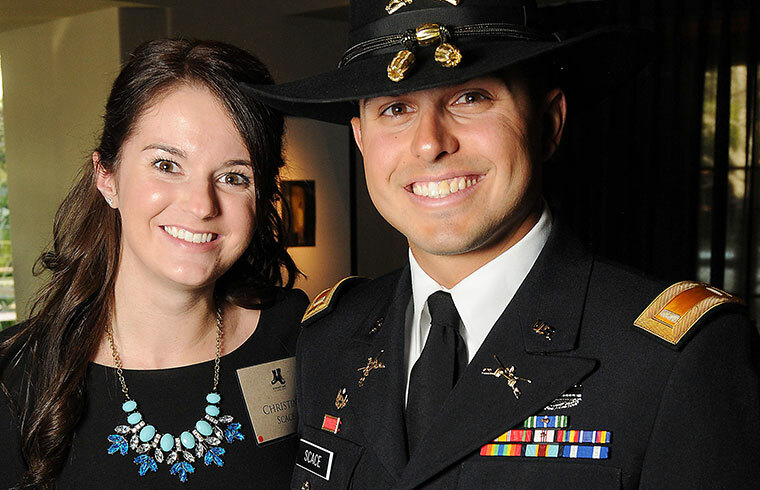 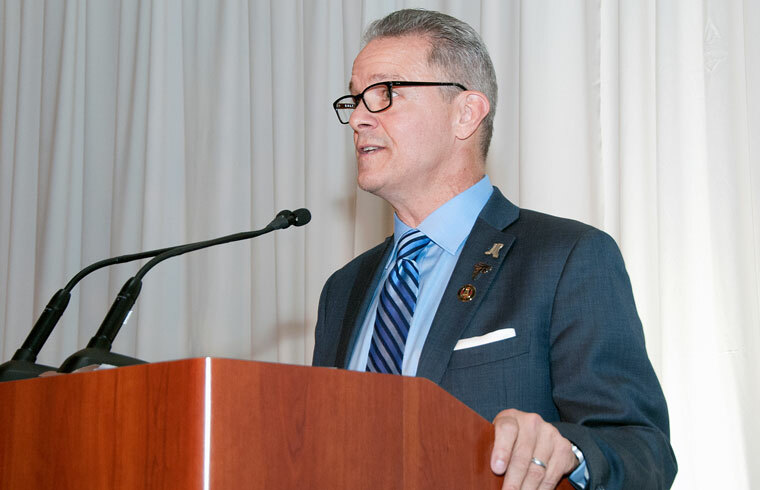 Houstonians and other generous supporters stepped up to raise nearly $850,000 for college scholarships for children of our nation's military fallen. 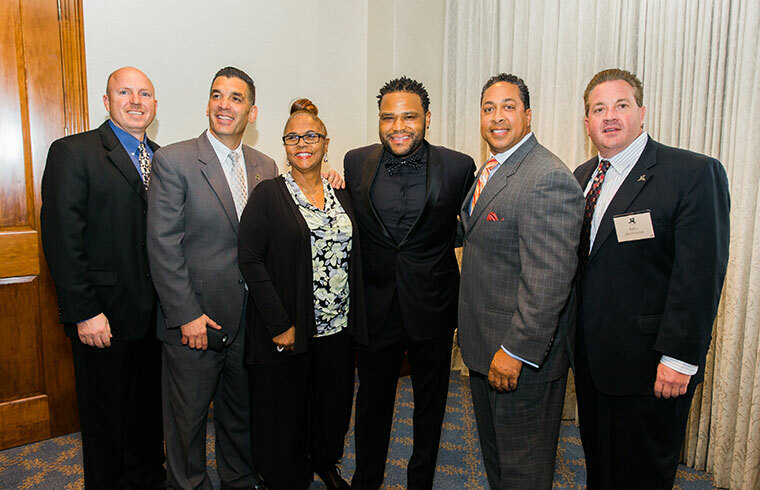 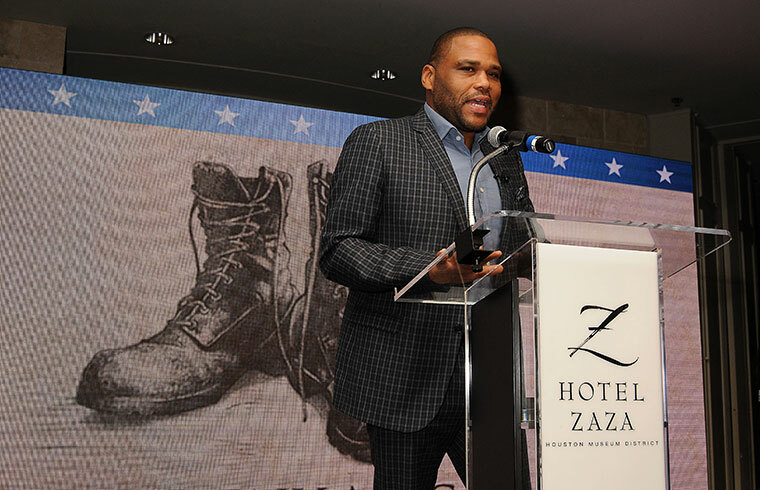 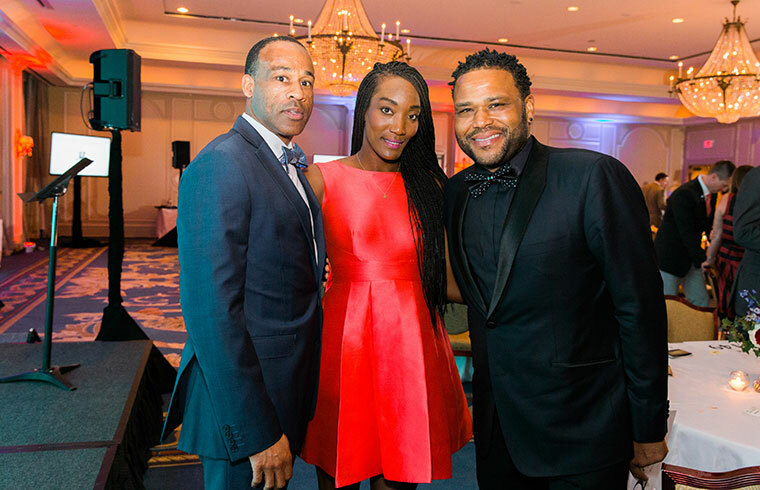 Black-ish star and executive producer Anthony Anderson was a magnificent and magnanimous host! 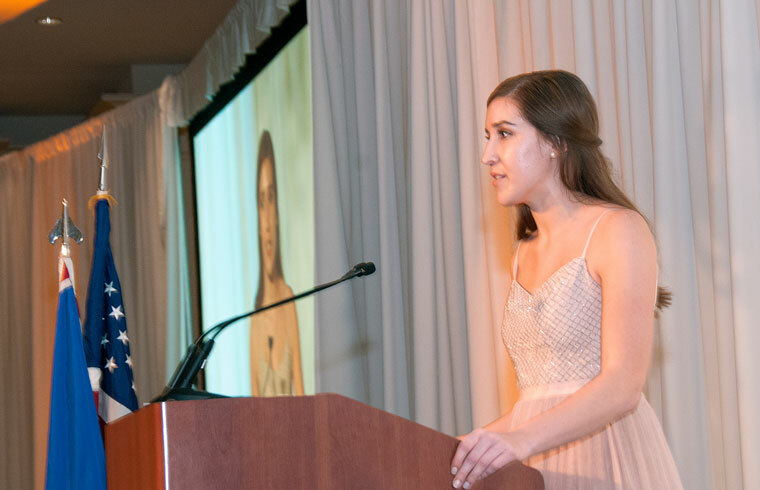 Our scholarship students spoke of the many opportunities their college scholarships have afforded them. 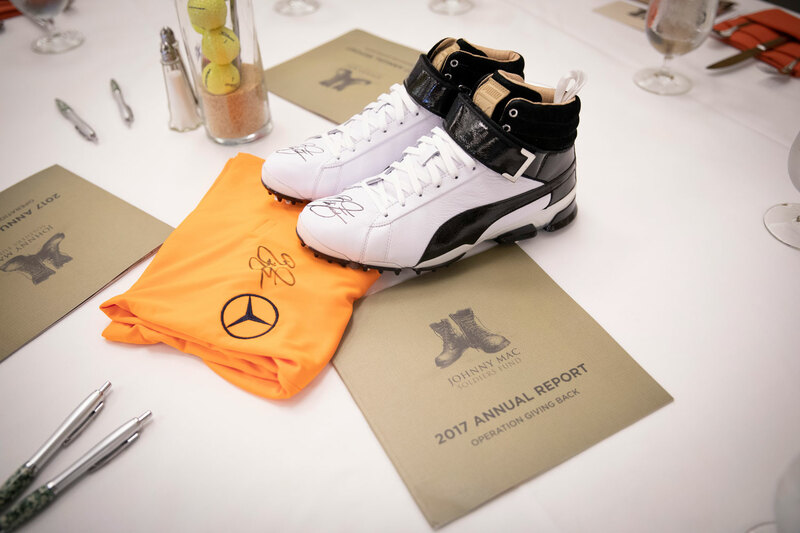 We look forward to a 2018 return to Houston! 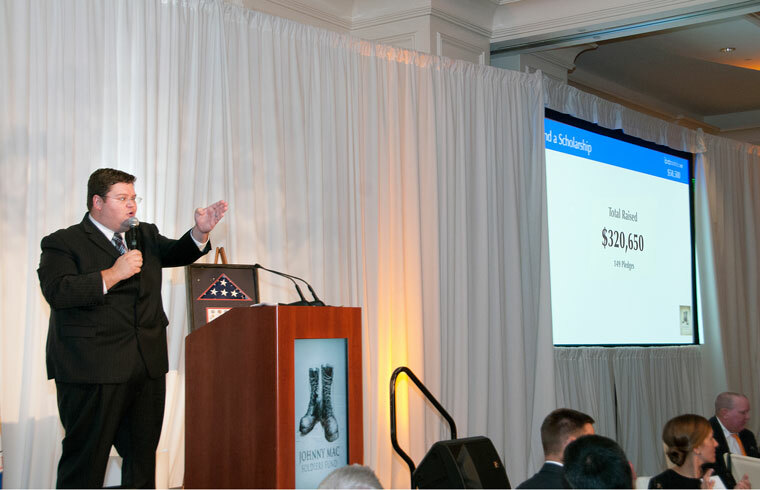 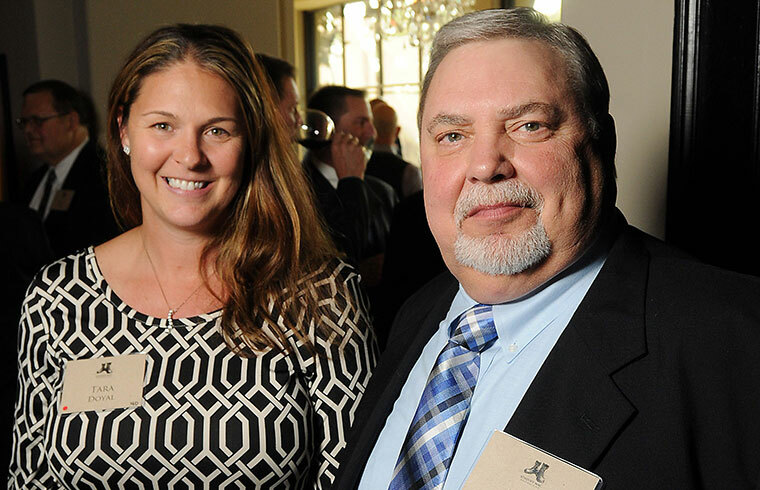 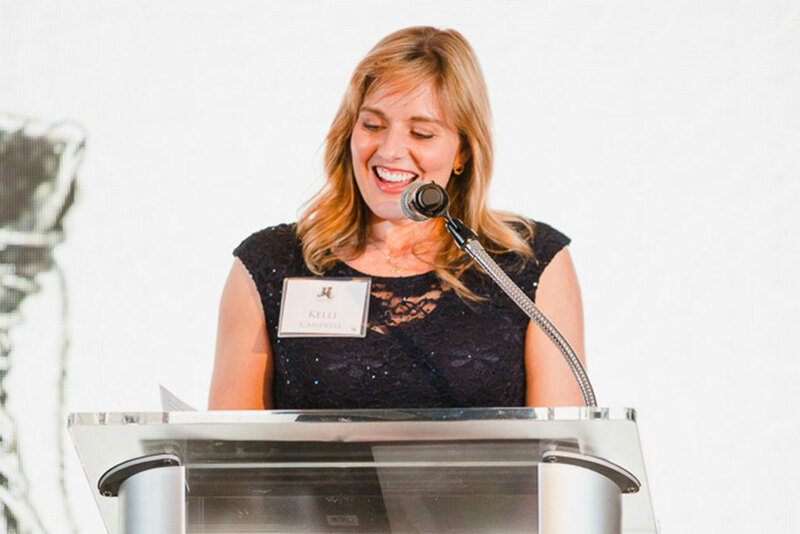 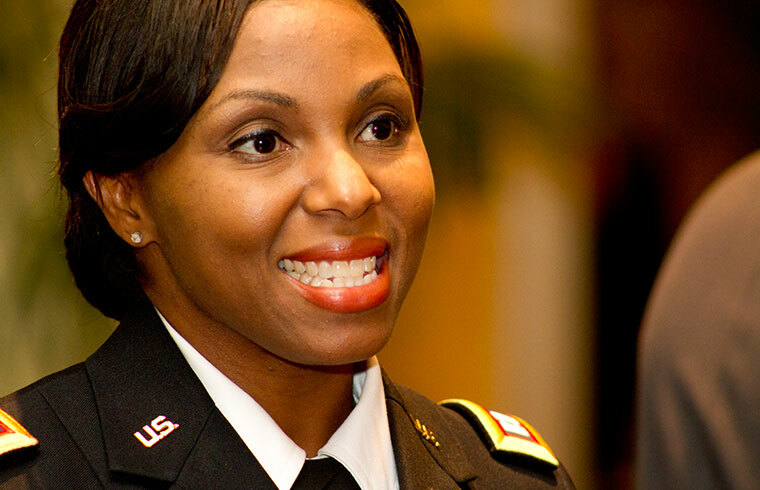 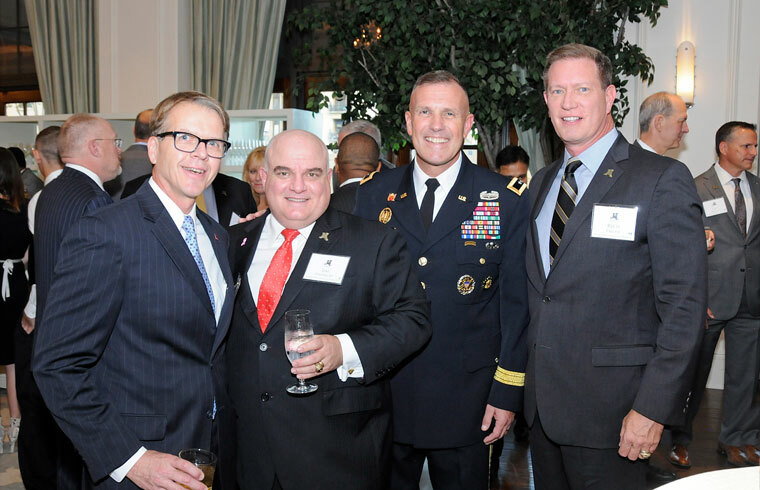 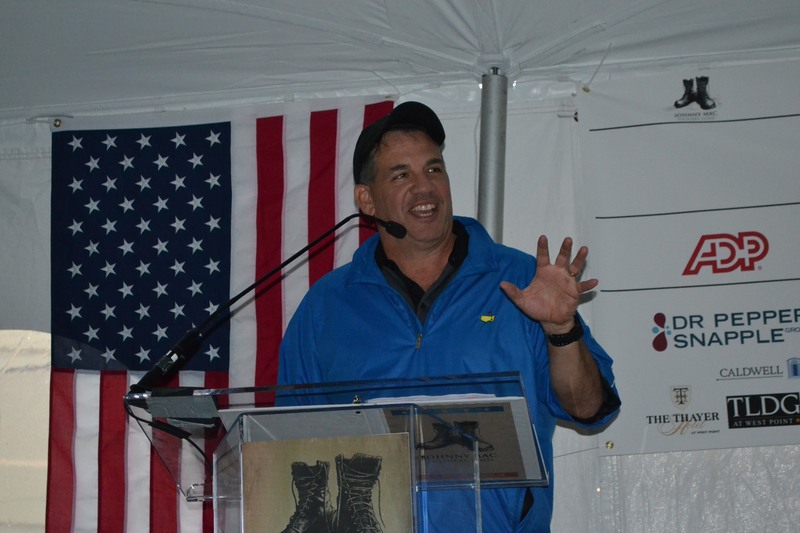 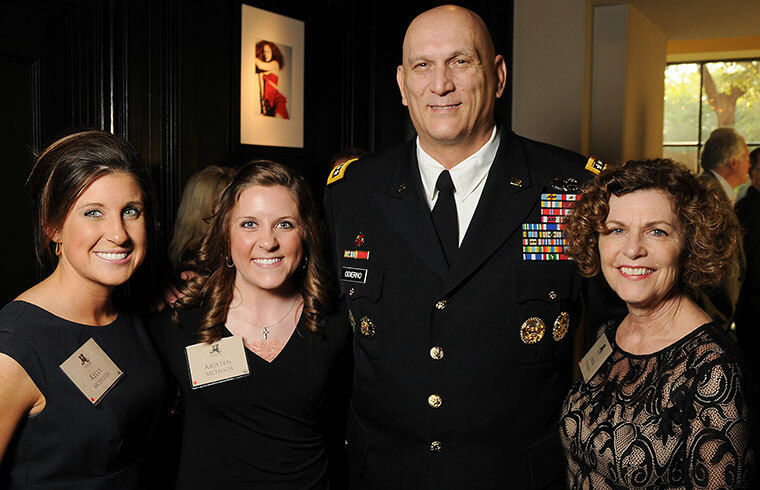 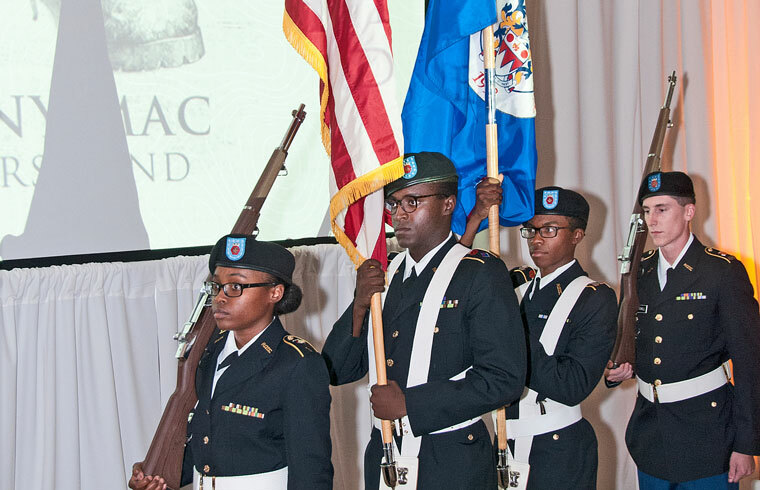 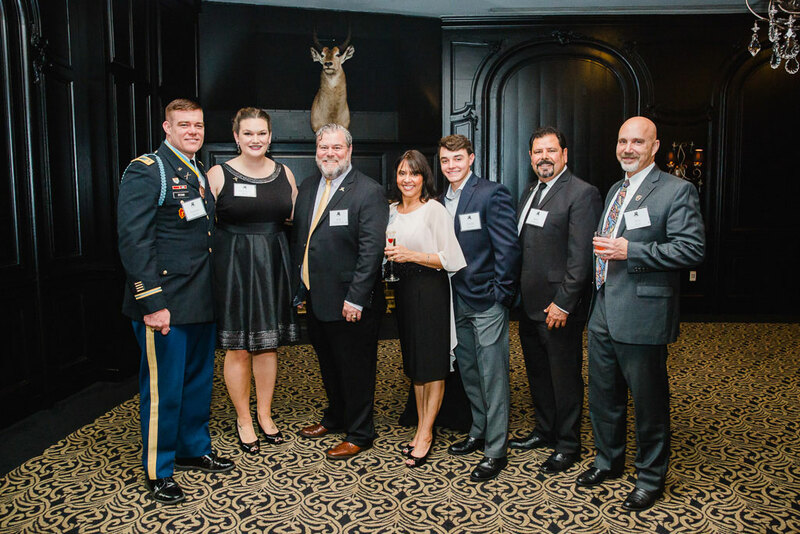 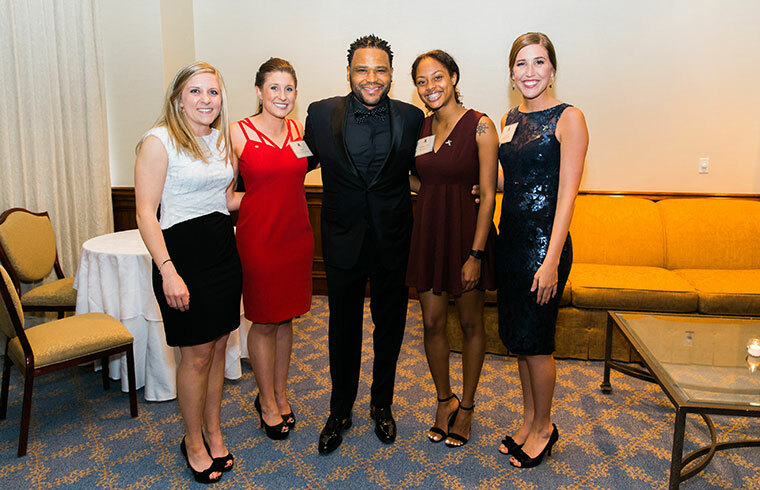 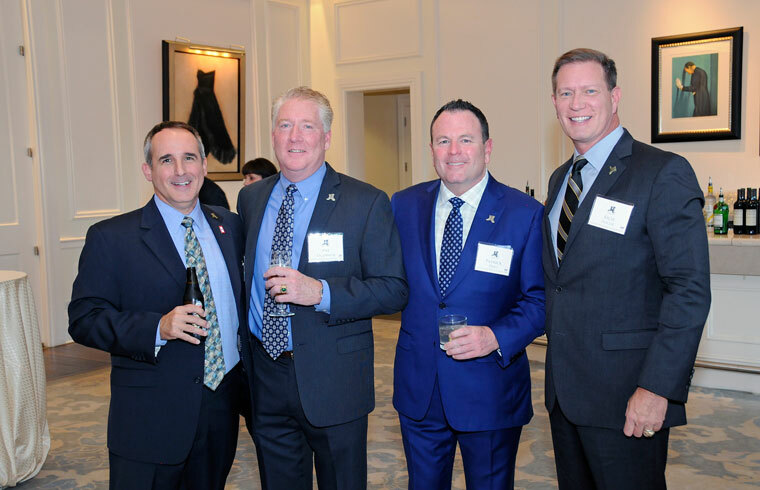 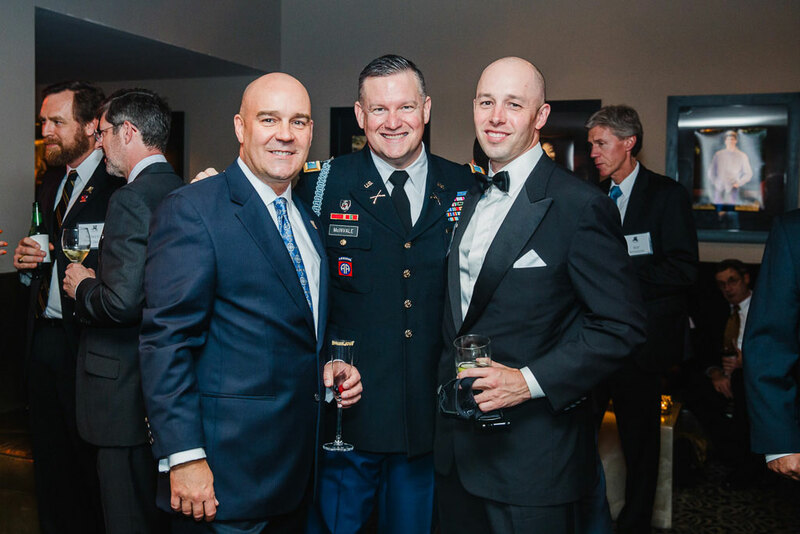 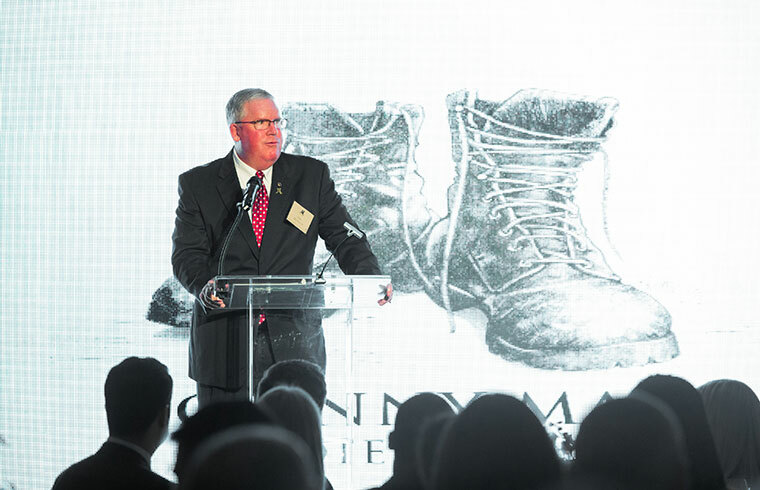 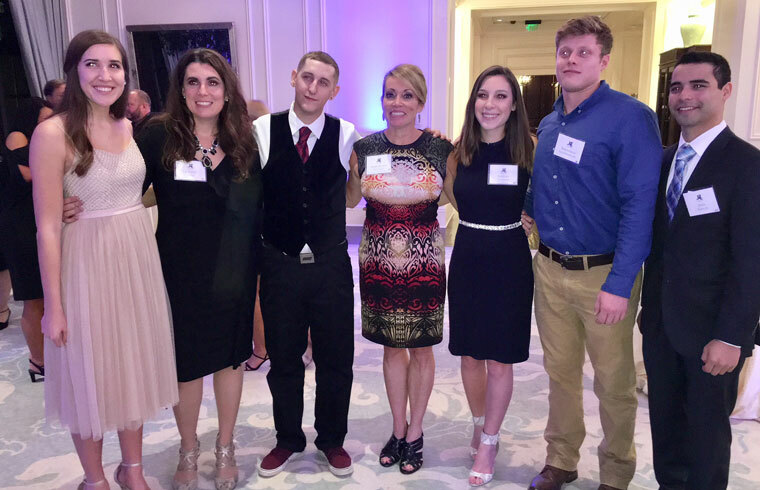 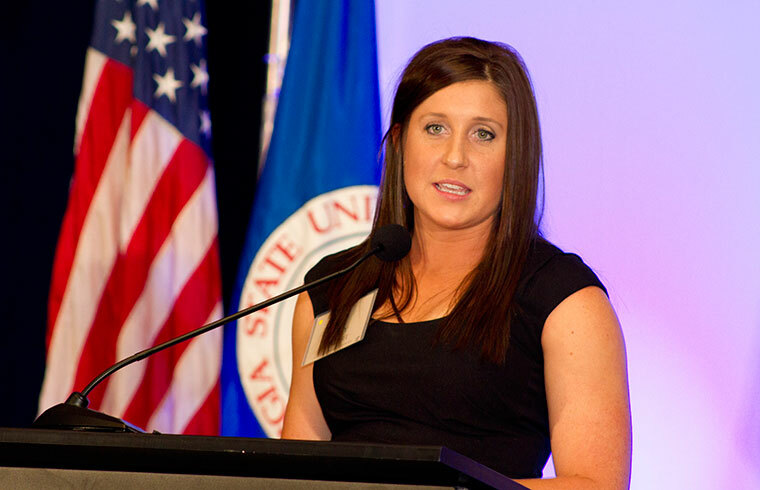 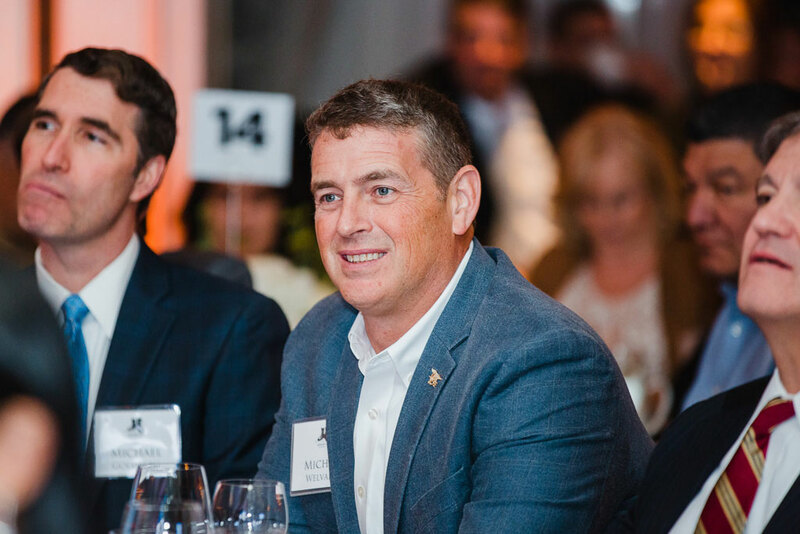 Atlantans and other generous supporters stepped up to raise nearly $750,000 for college scholarships for military children of the fallen. 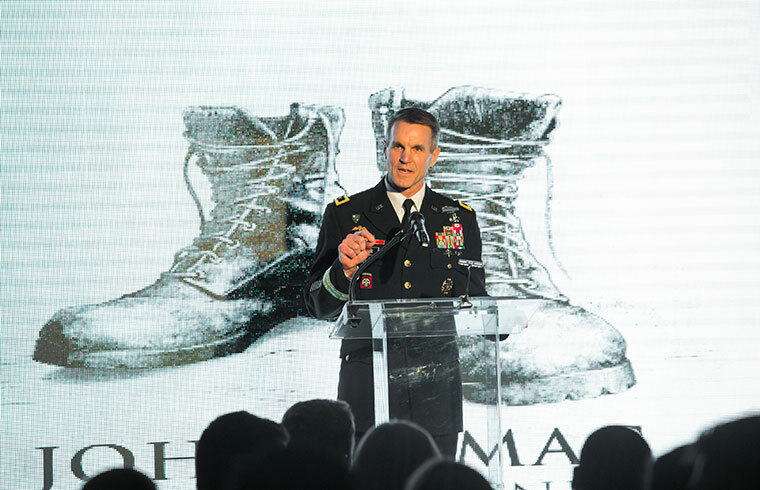 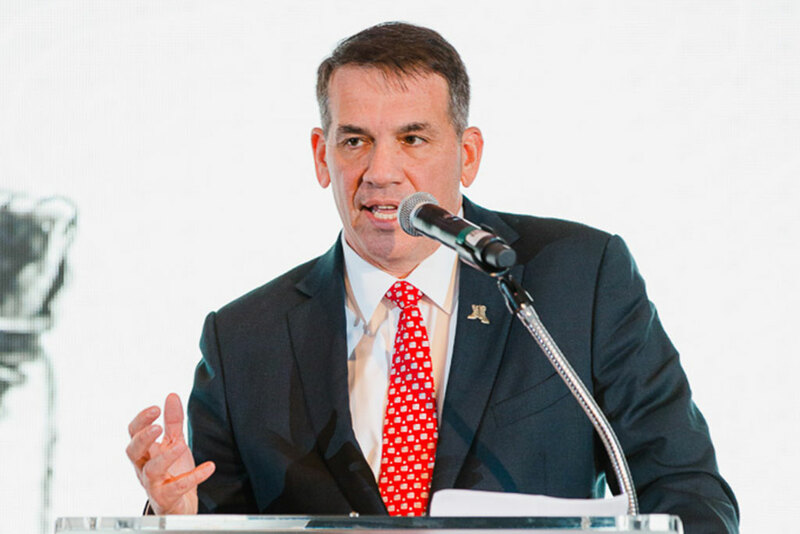 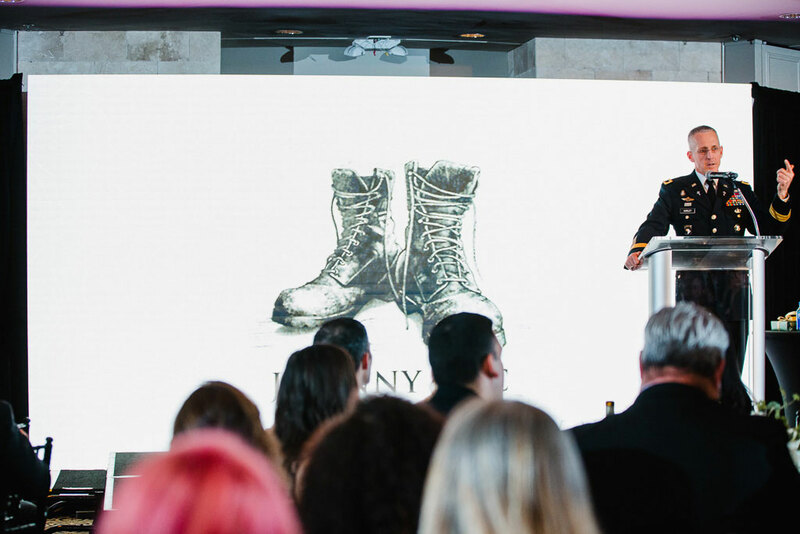 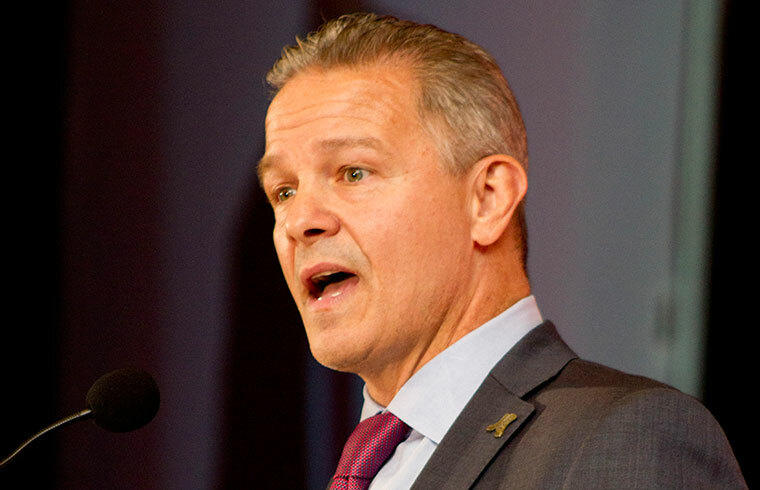 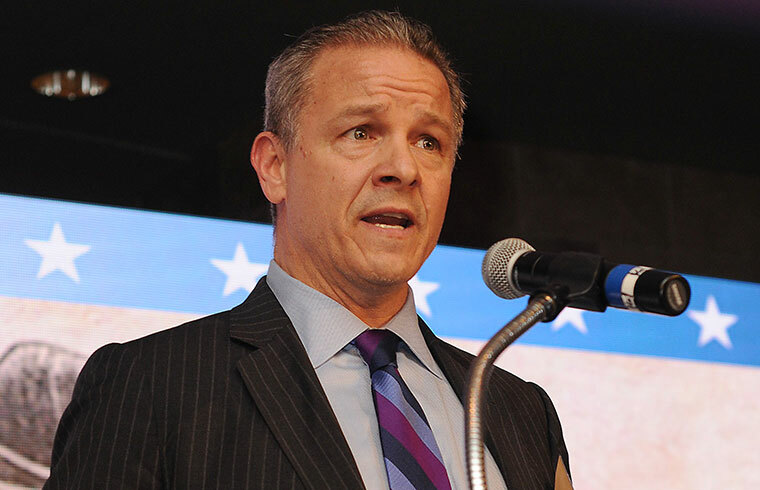 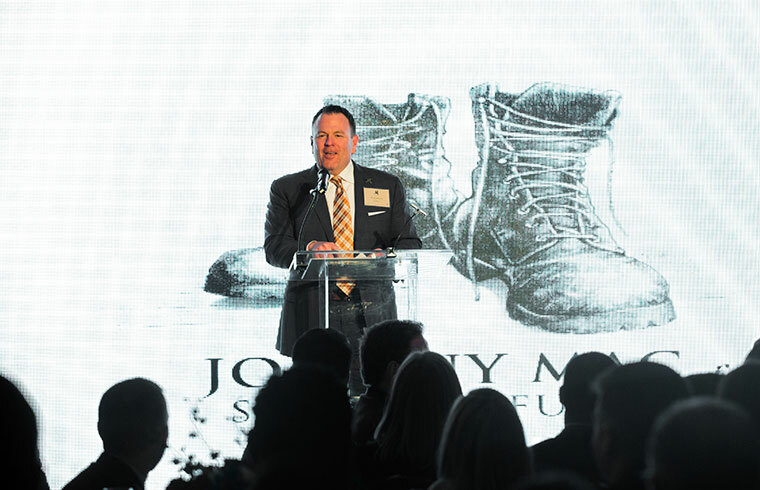 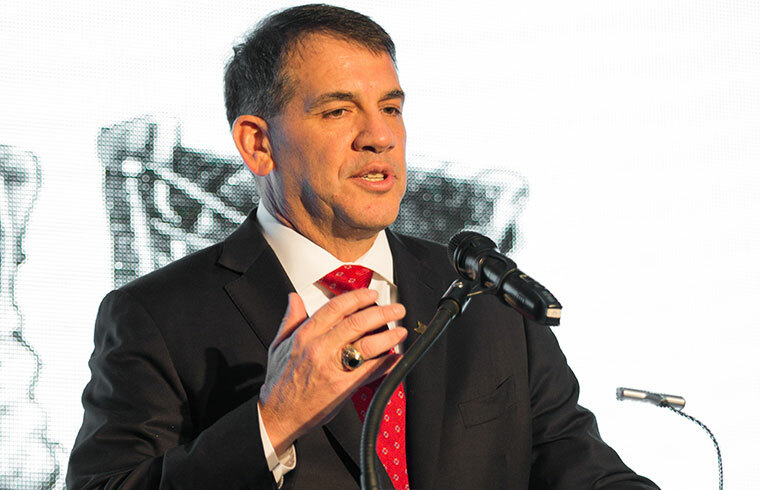 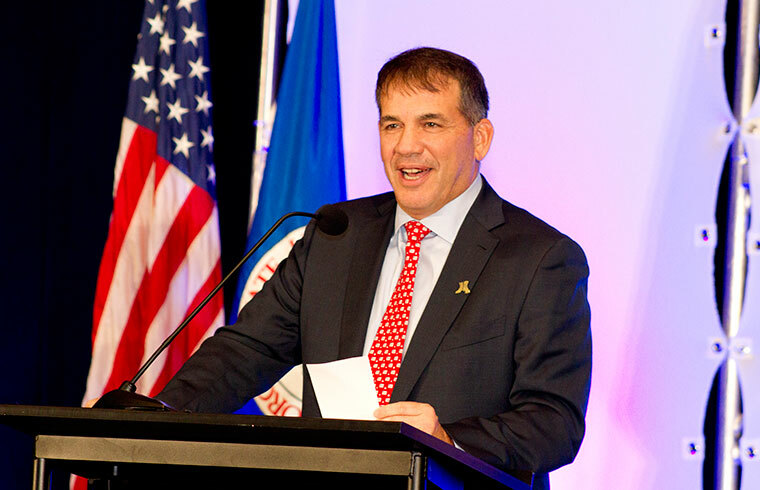 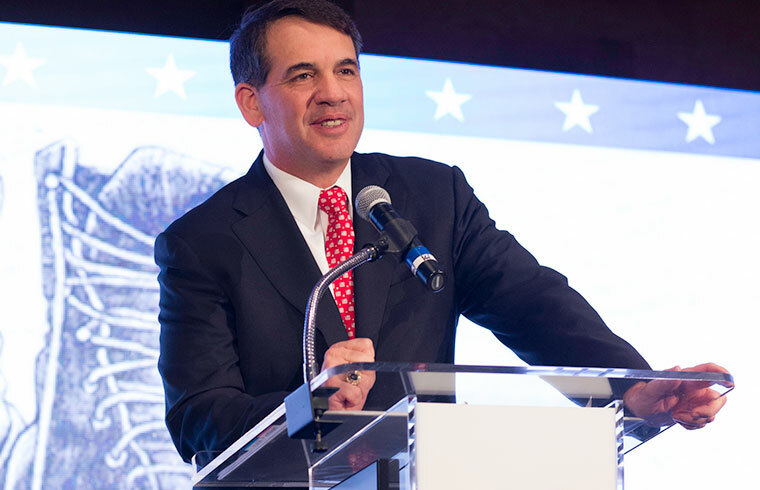 Additionally, Mercedes-Benz USA President and CEO Dietmar Exler joined us to make the momentous announcement that for every Mercedes-Benz vehicle sold in the U.S. this year, the company will make a donation to the Johnny Mac Soldiers Fund. 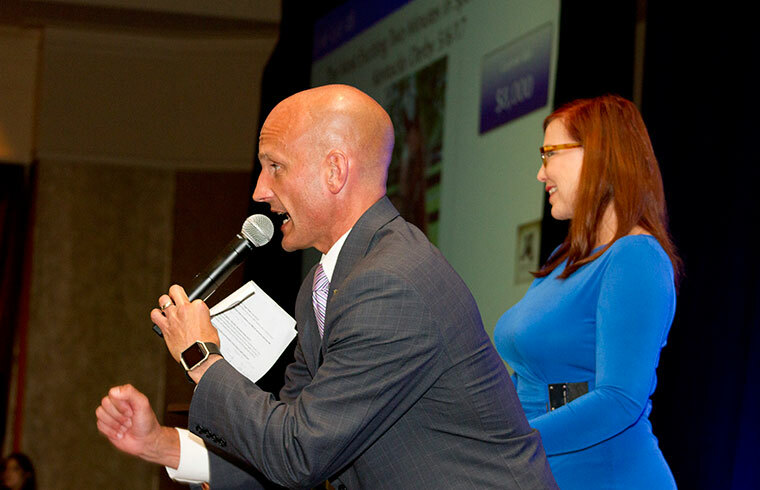 Mr. Exler estimated this to be about $2.8 million. 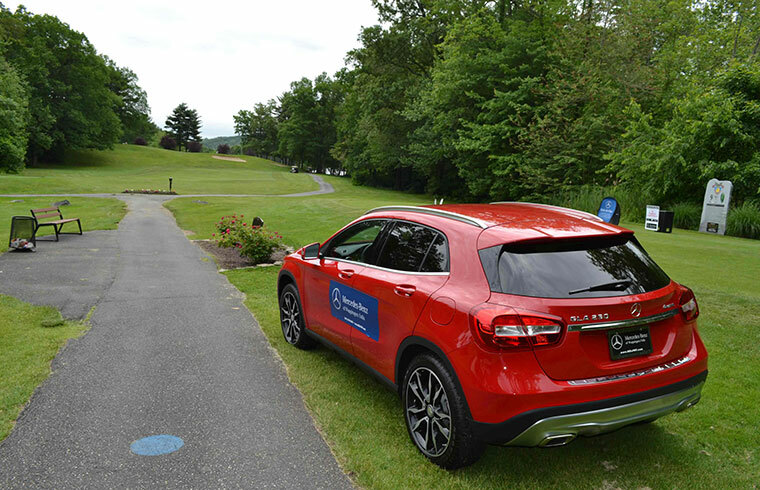 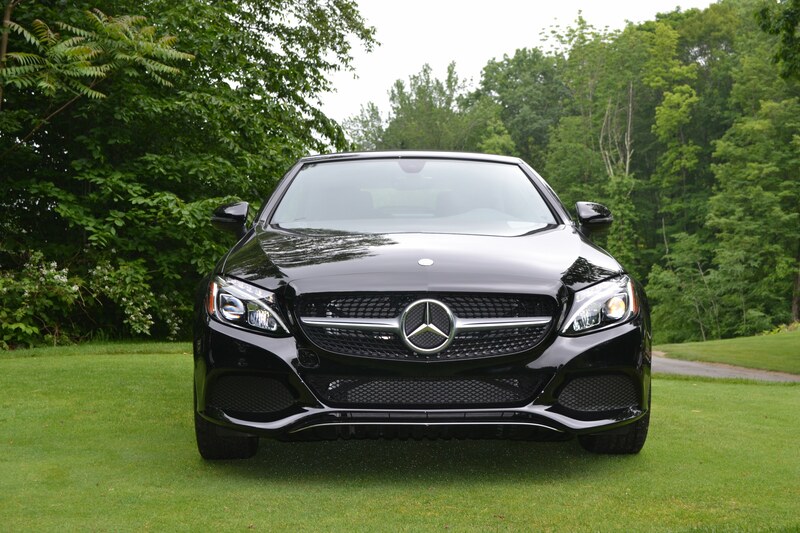 Thank you to all our friends at Mercedes-Benz for partnering with us on our mission. 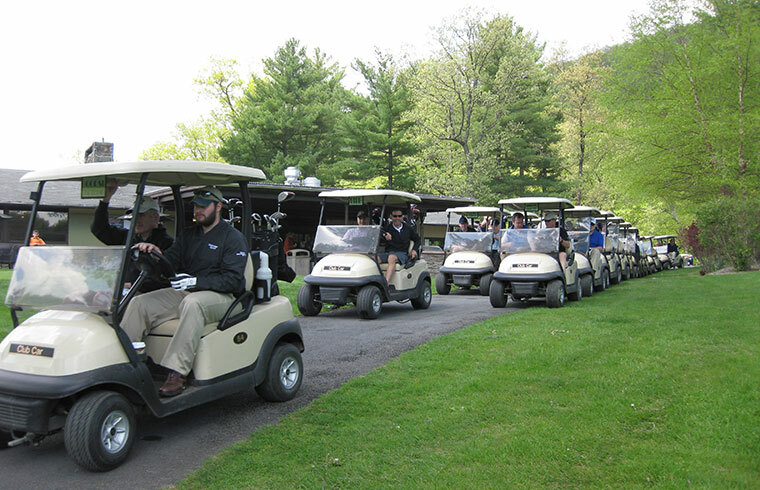 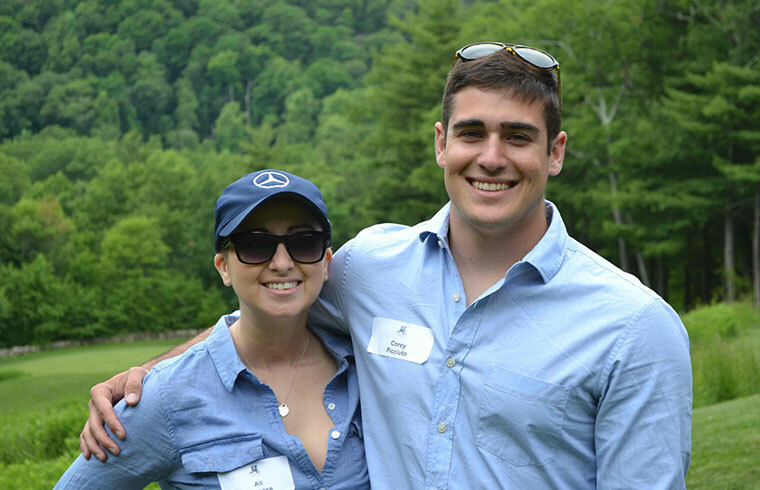 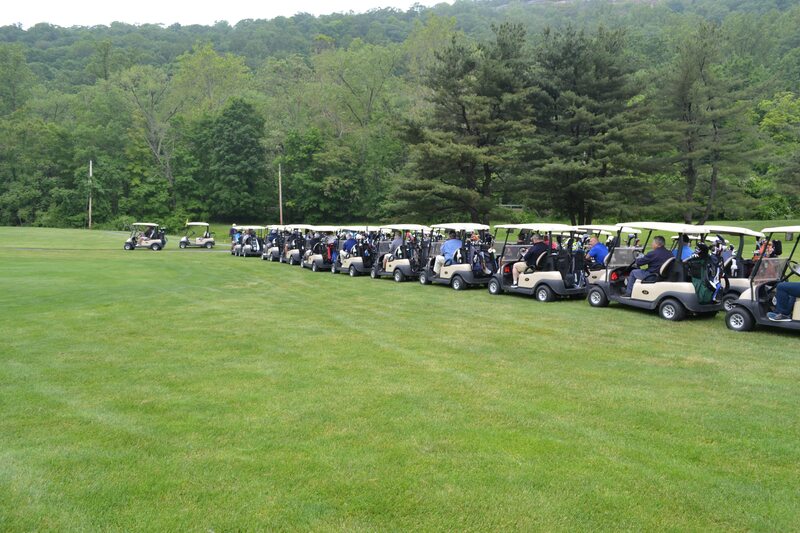 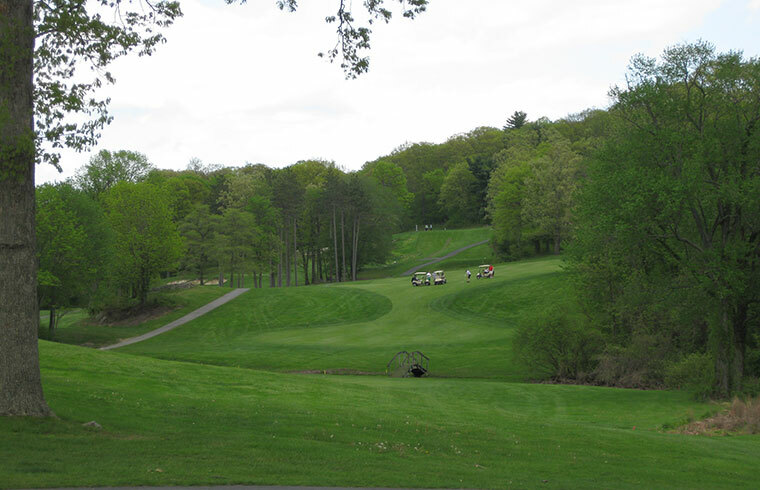 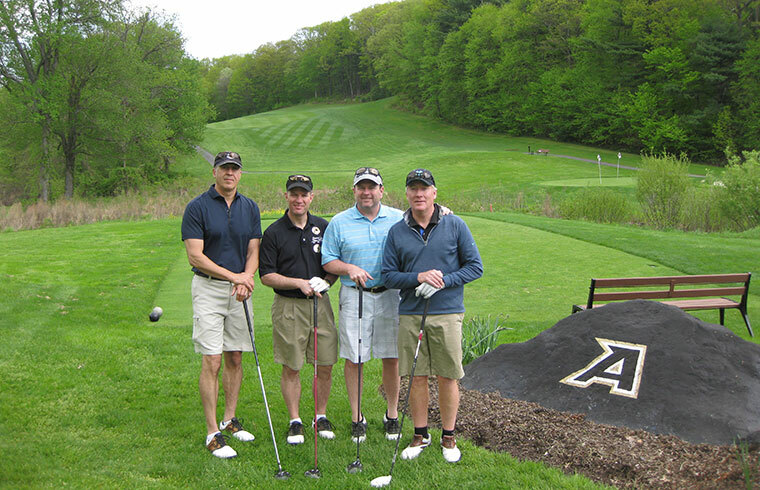 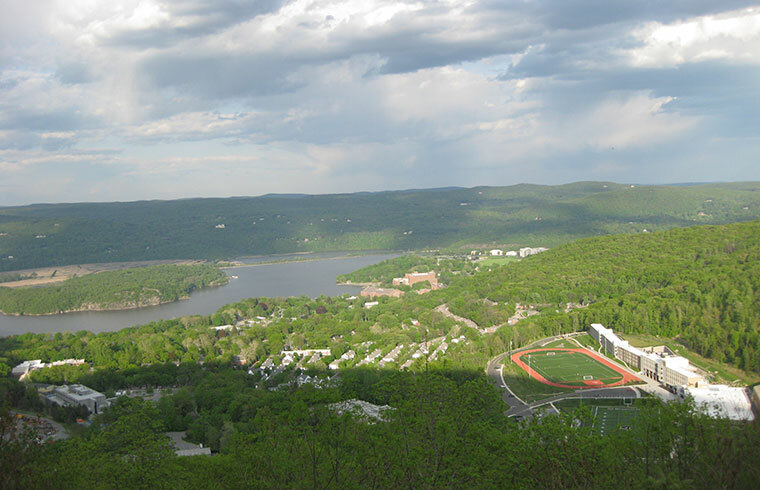 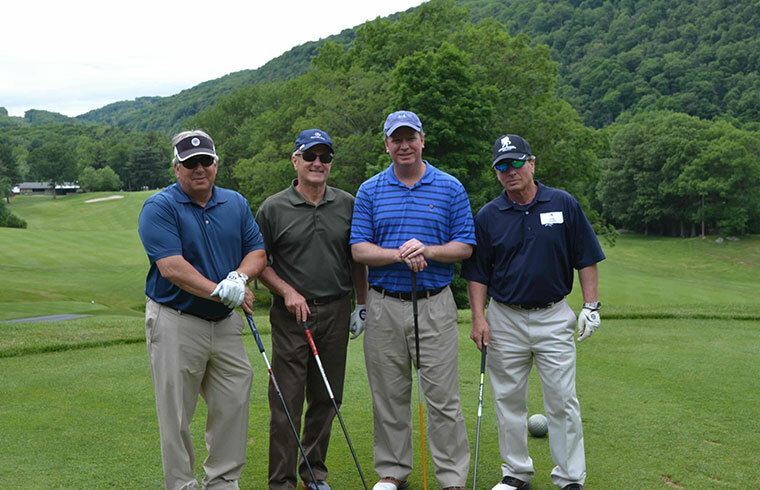 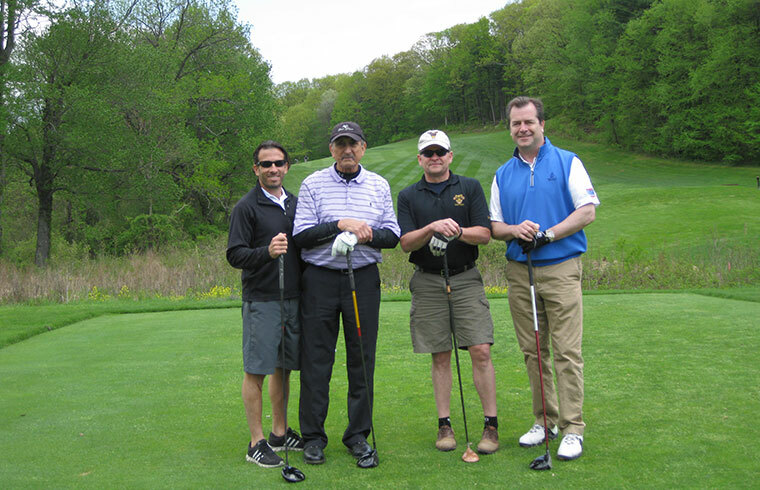 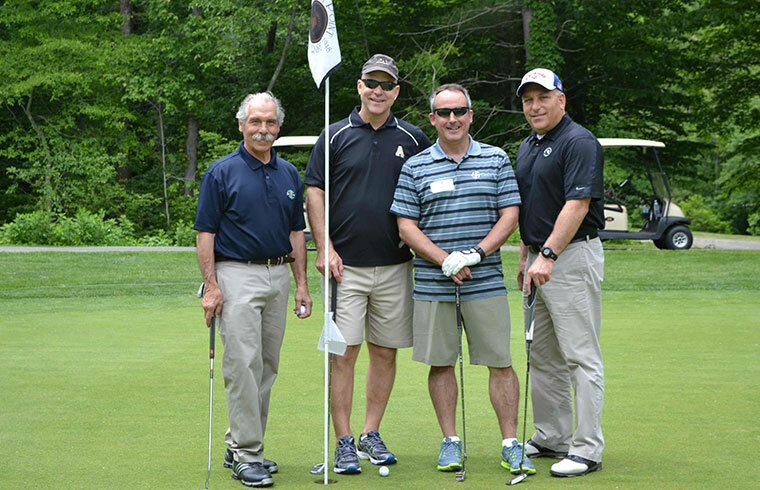 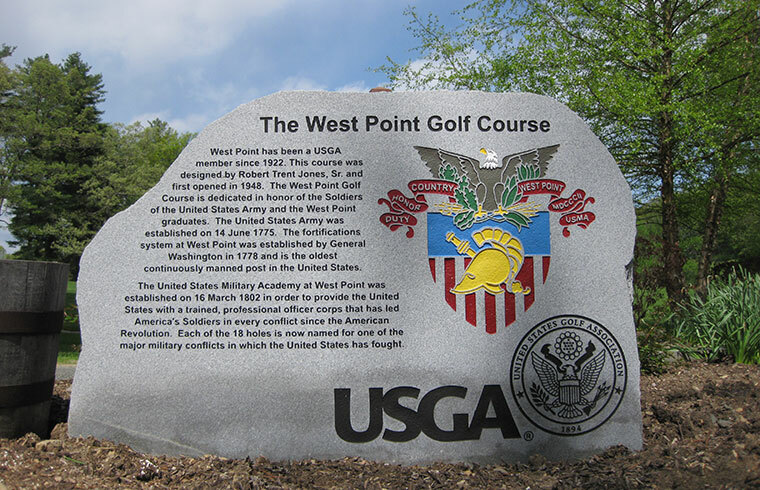 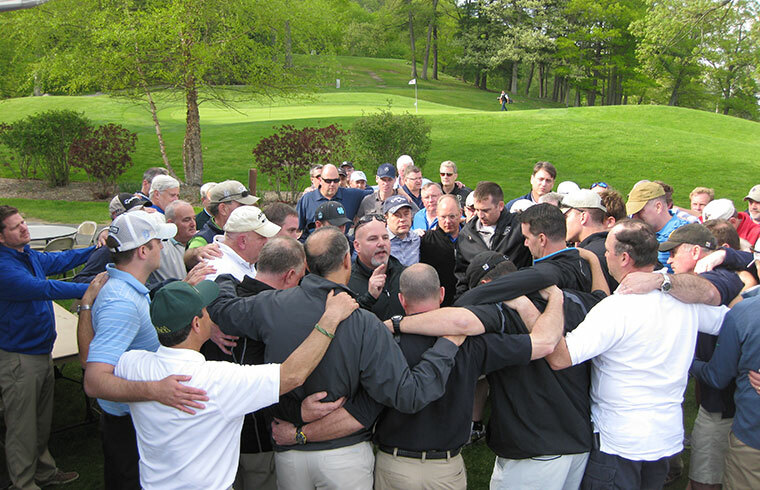 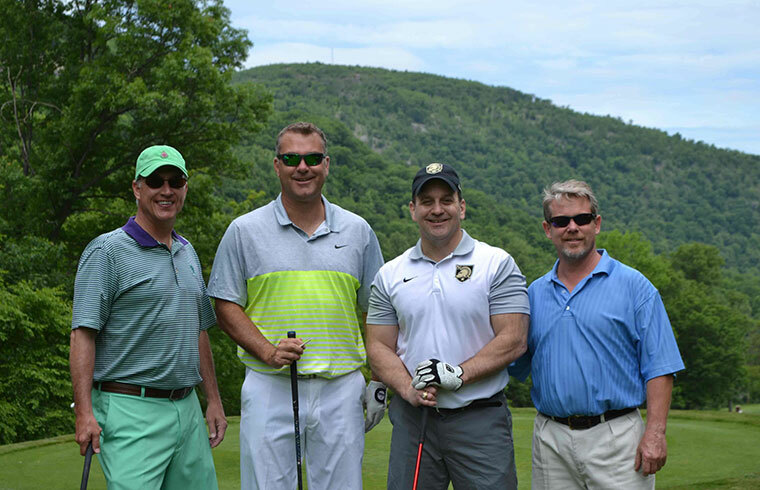 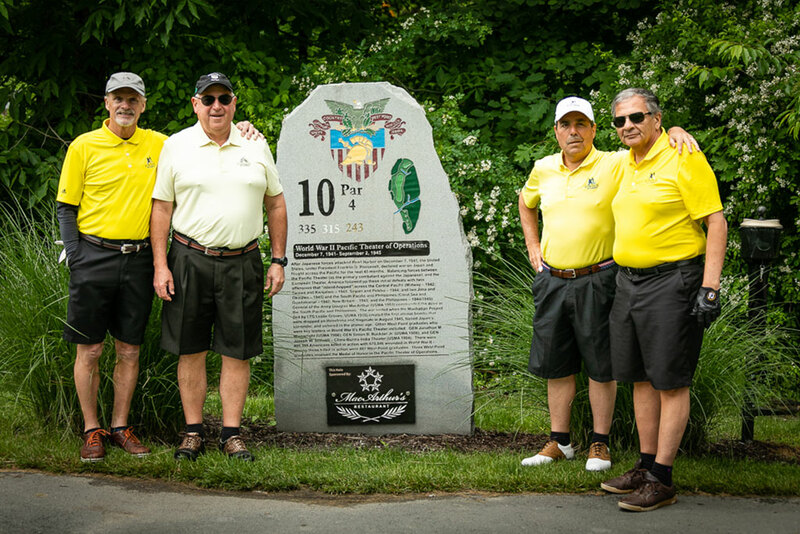 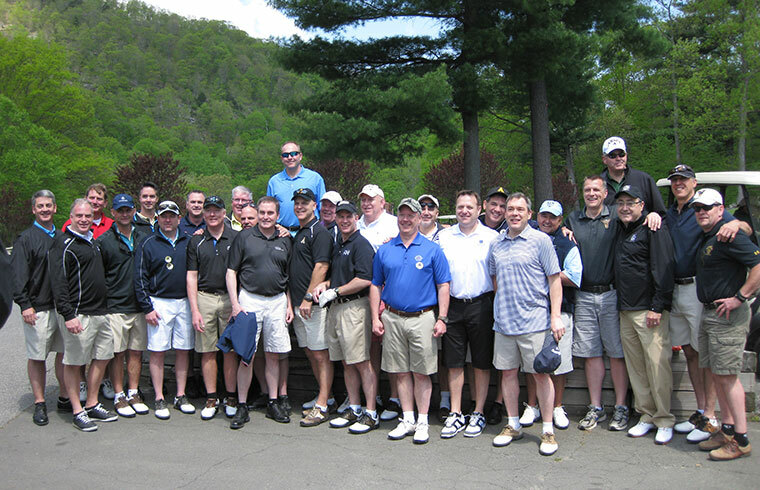 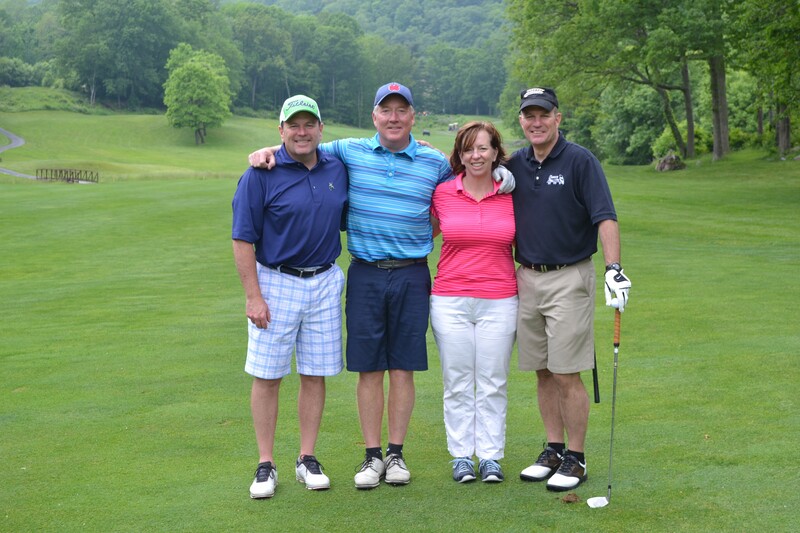 Some 120 golfers converged at historic West Point on June 5, 2015 to remember our inspiration, Colonel John McHugh, who made the ultimate sacrifice five years ago on May 18, 2010, when he was KIA while serving in Afghanistan. 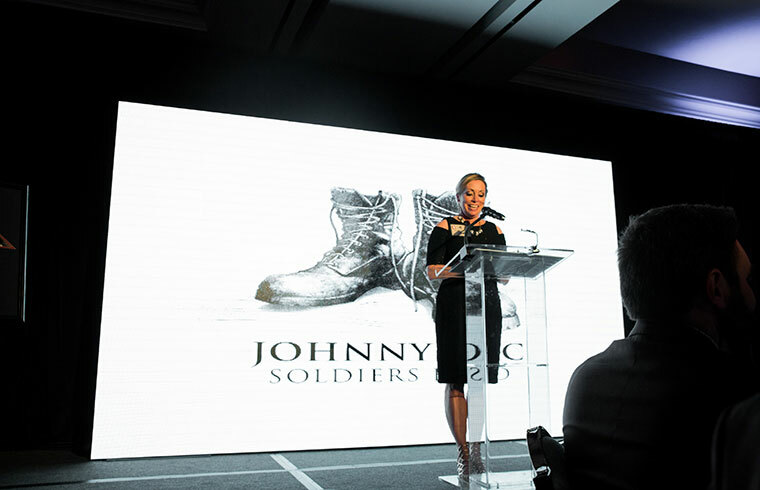 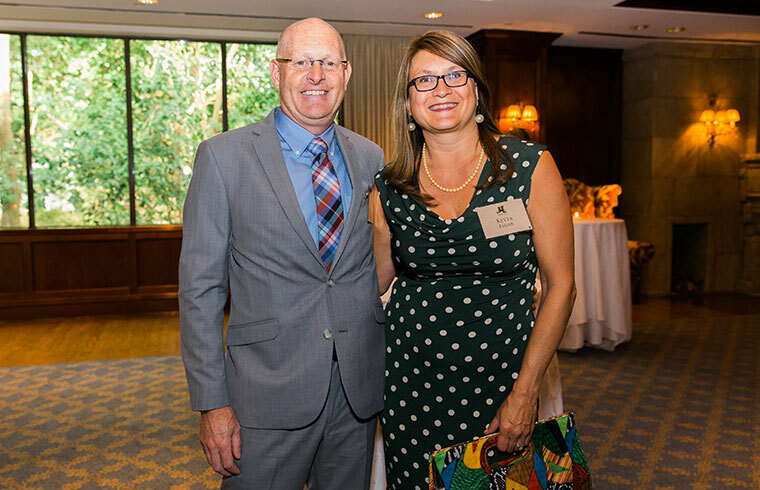 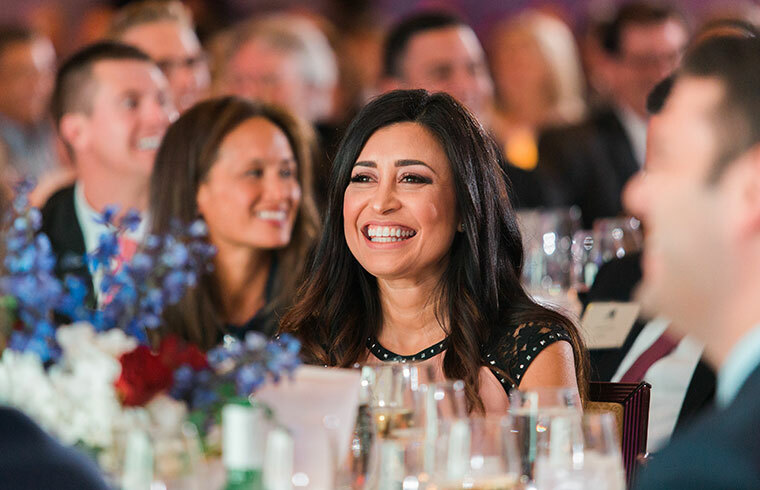 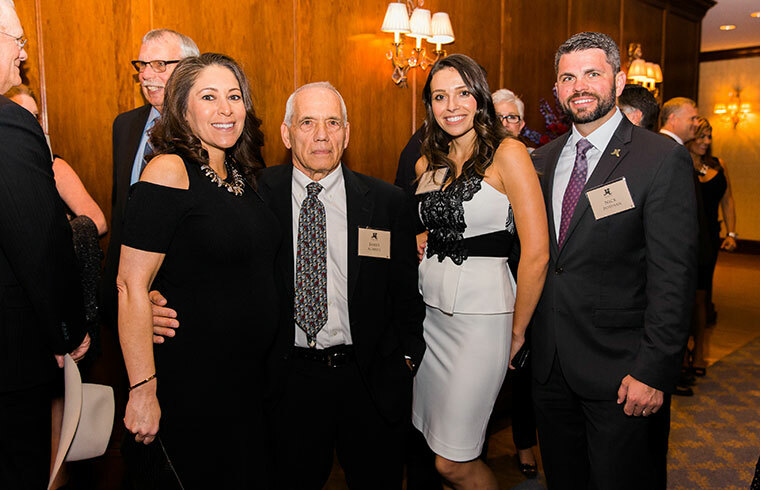 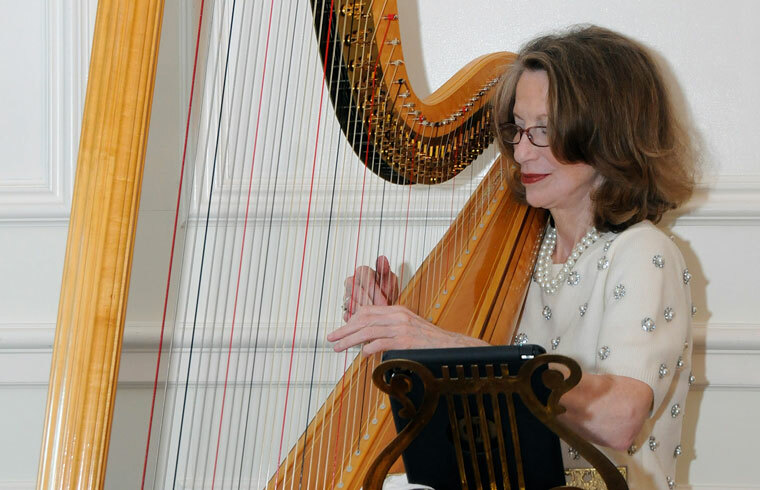 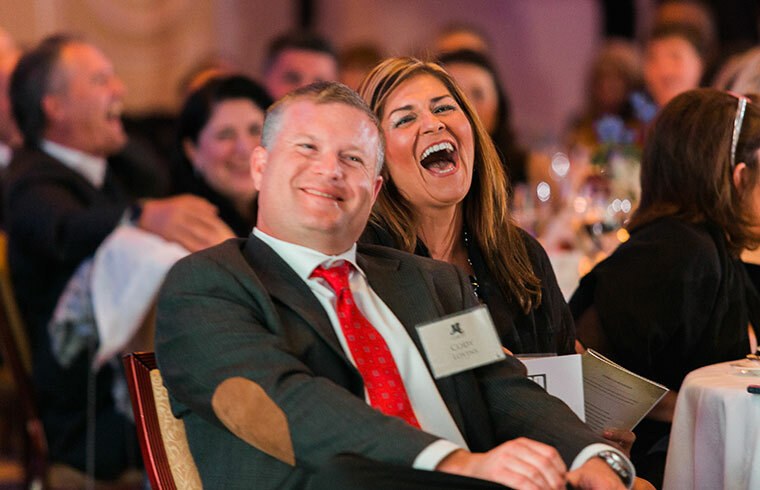 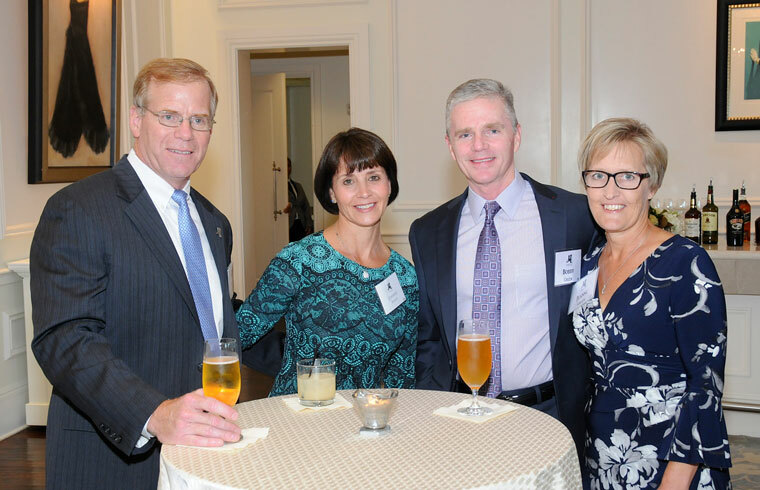 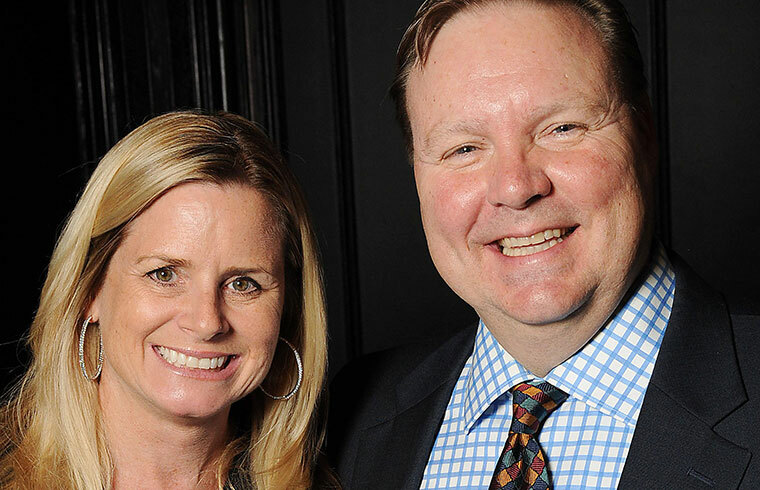 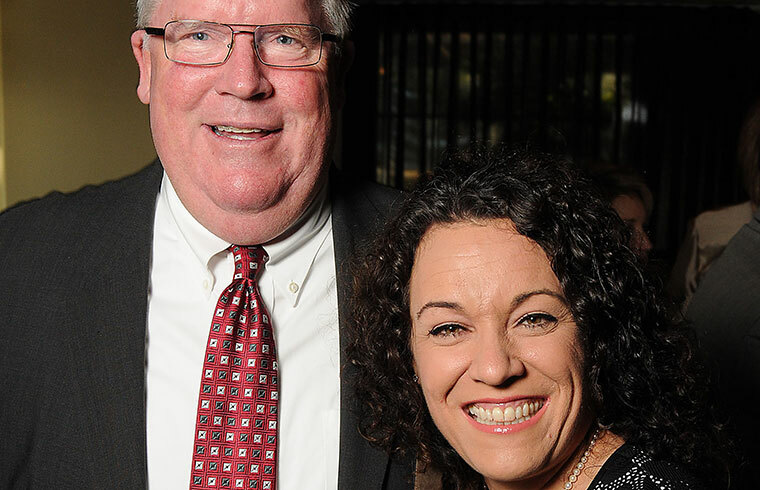 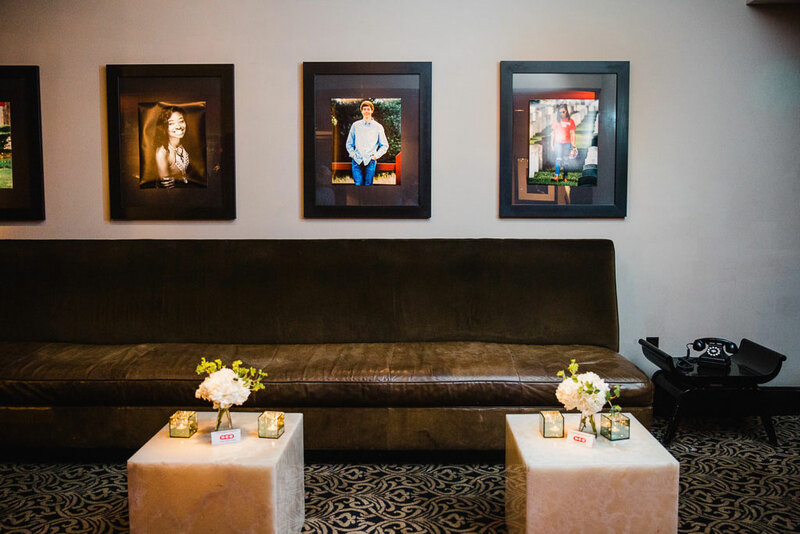 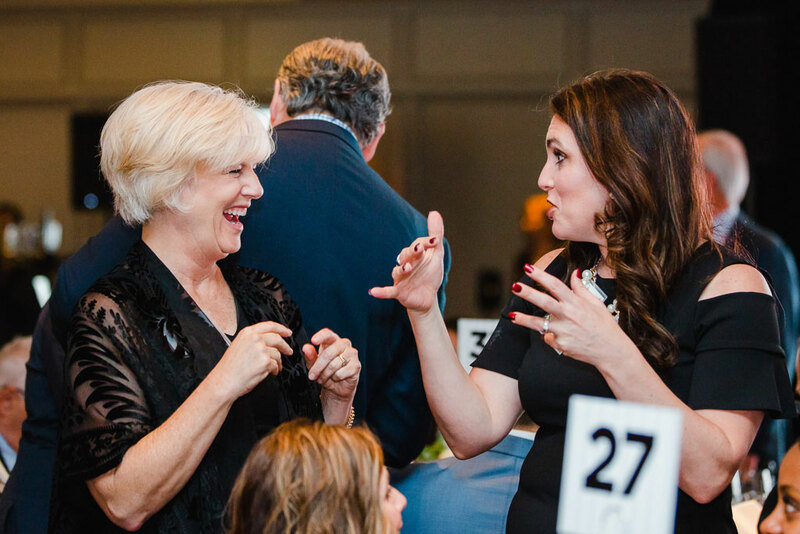 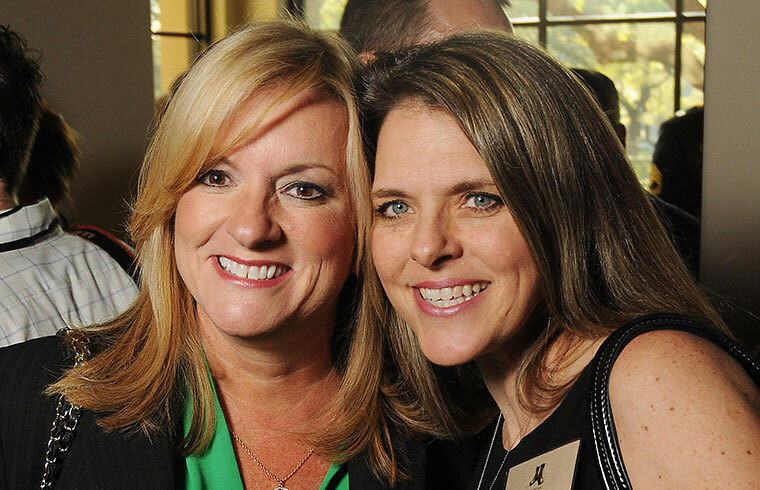 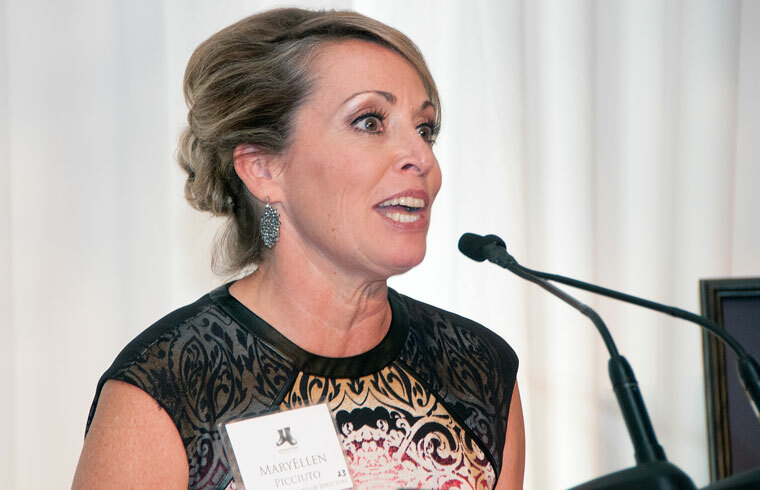 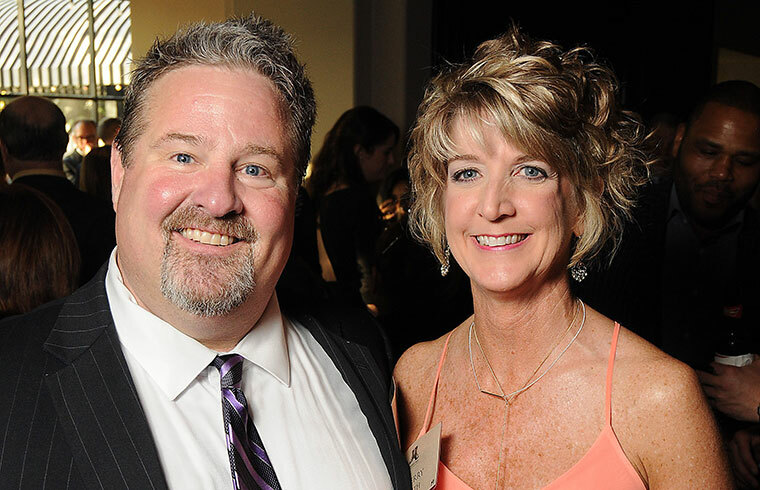 Sponsors, supporters, and friends honored Johnny Mac's memory and values—family, faith, and service—while Giving Back Through Education. 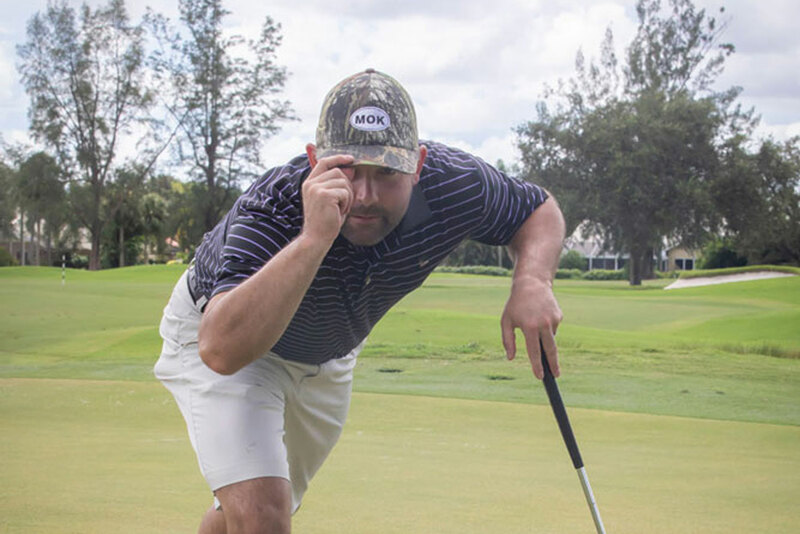 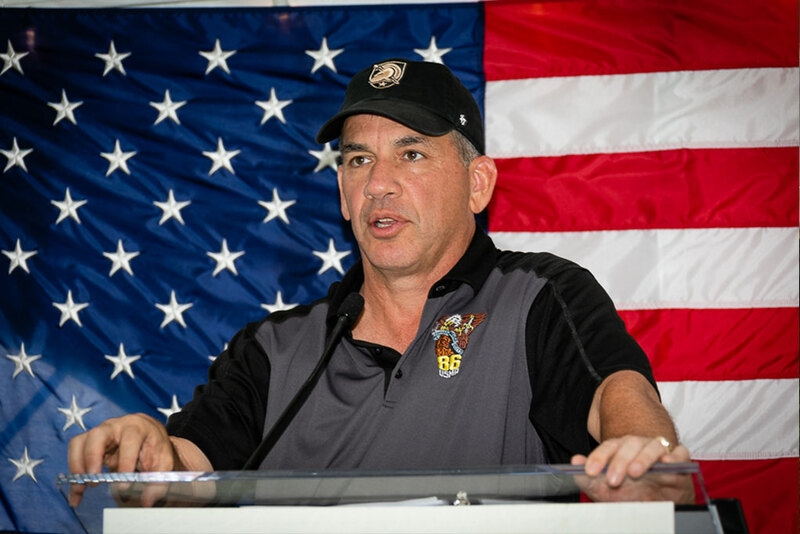 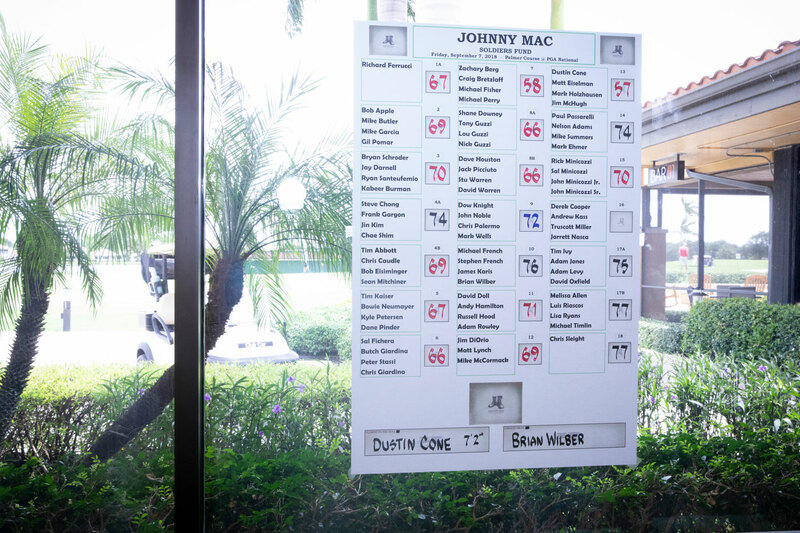 The tournament raised over $125,000 for Johnny Mac Soldiers Fund. 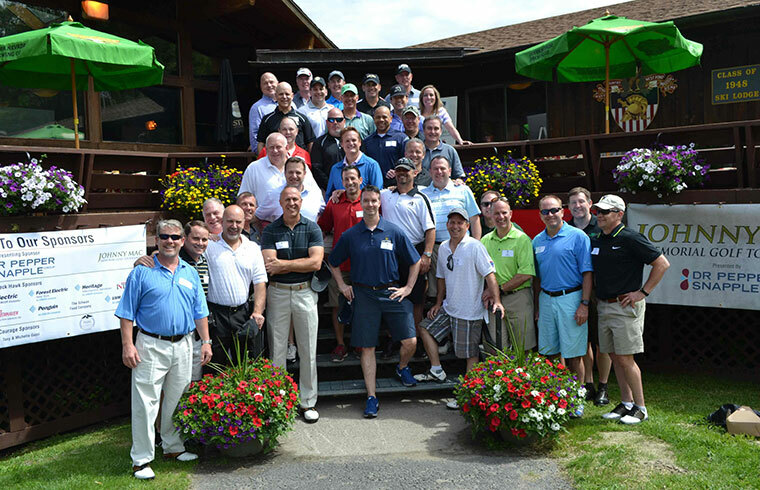 We thank all of our generous and committed participants! 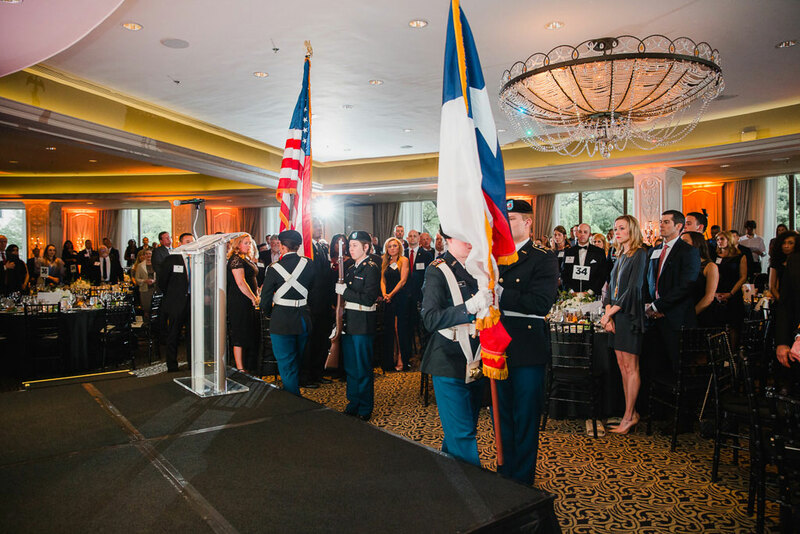 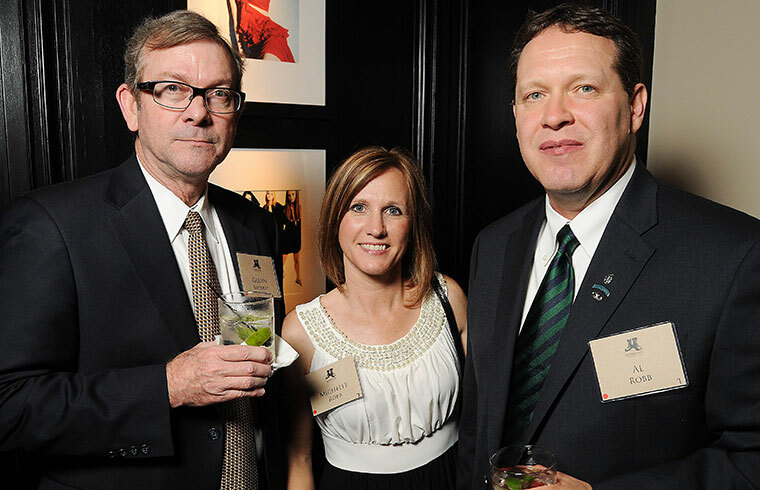 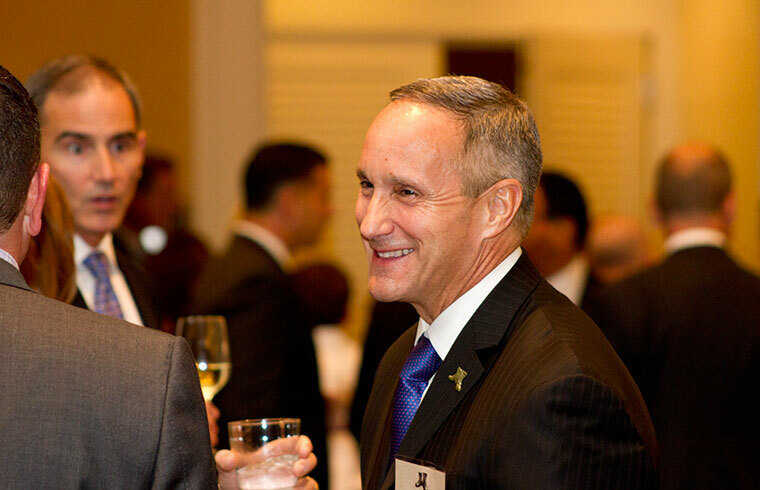 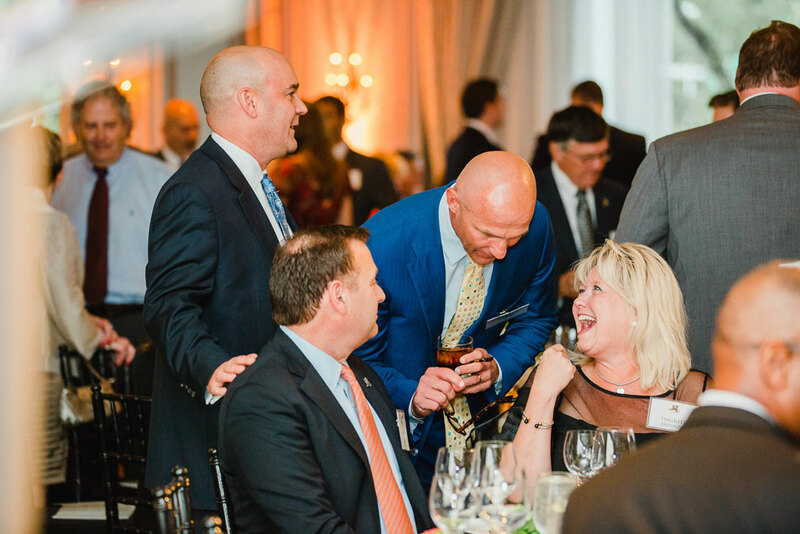 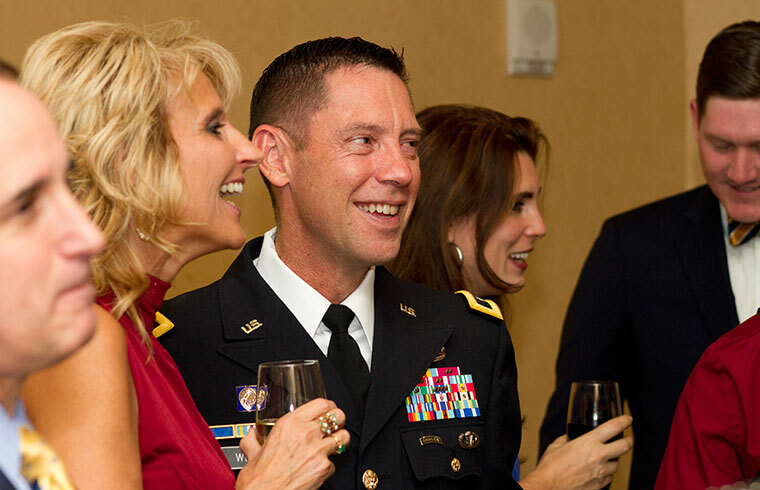 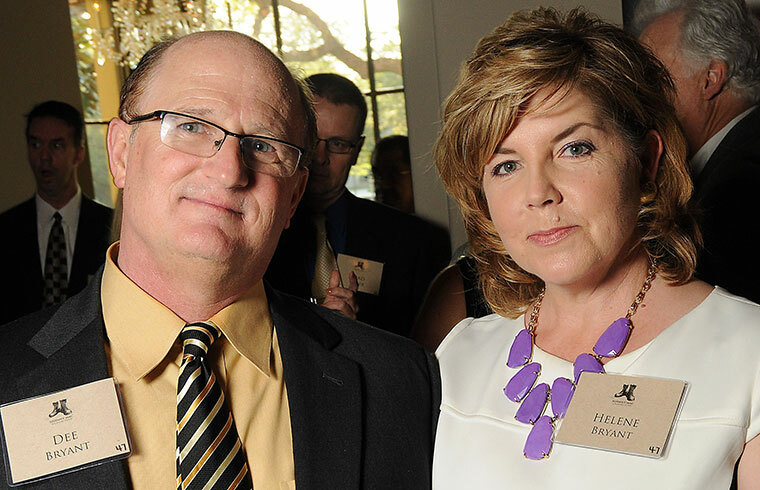 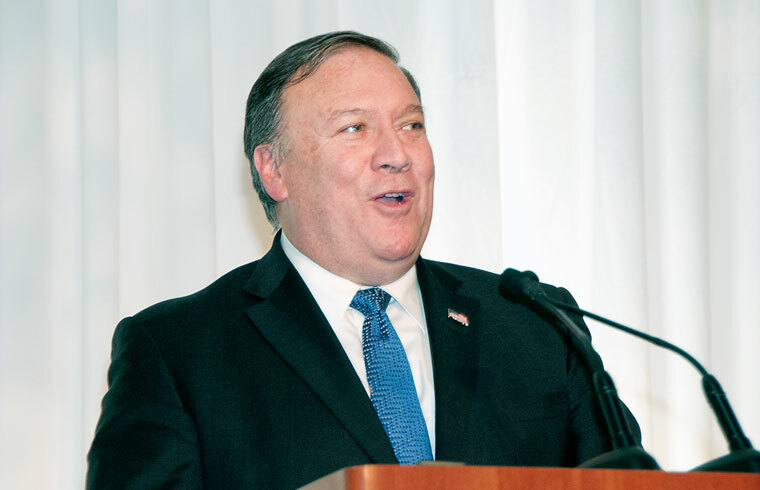 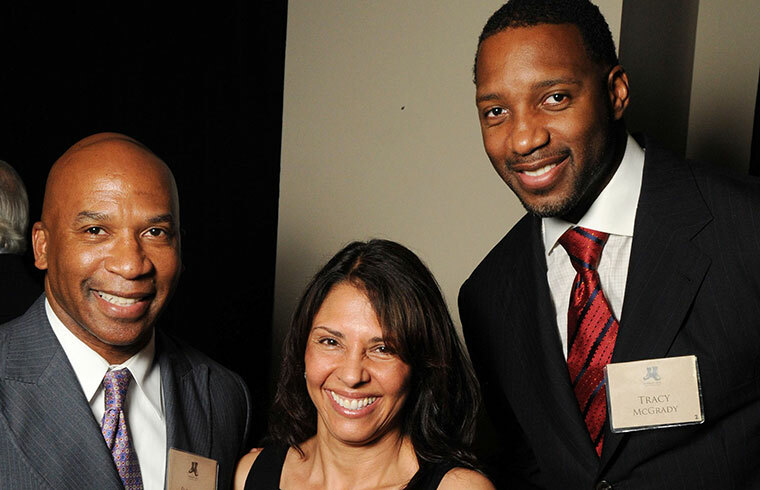 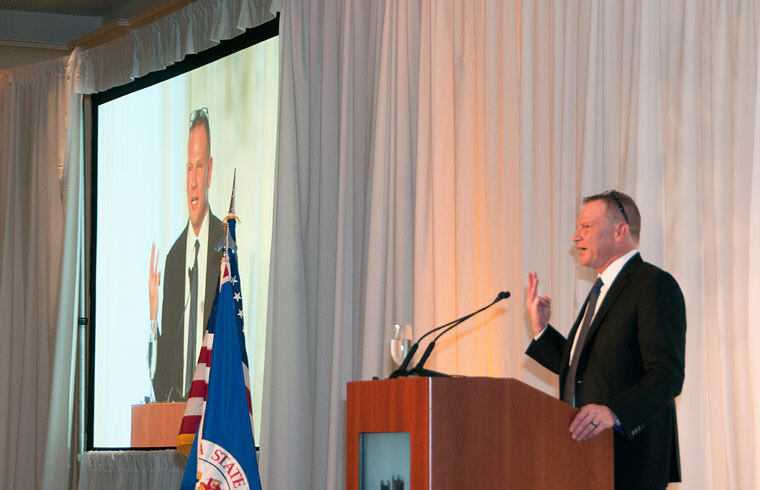 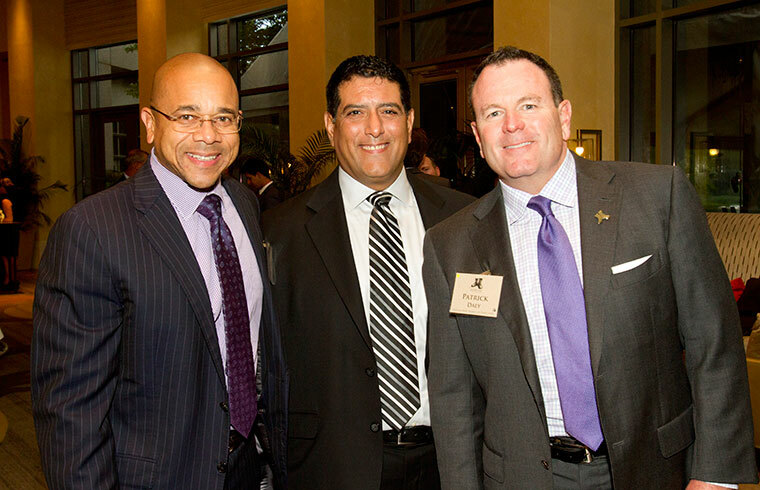 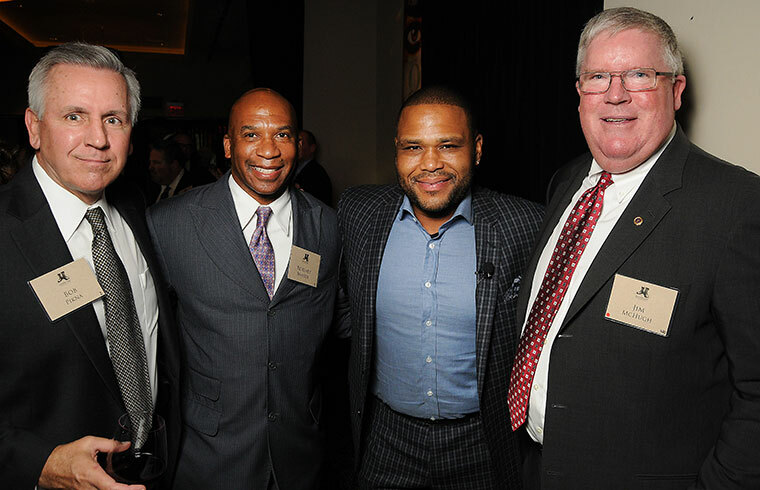 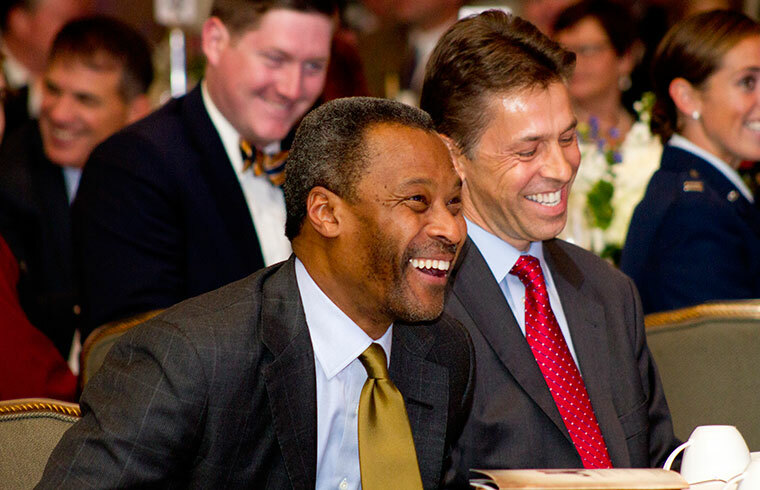 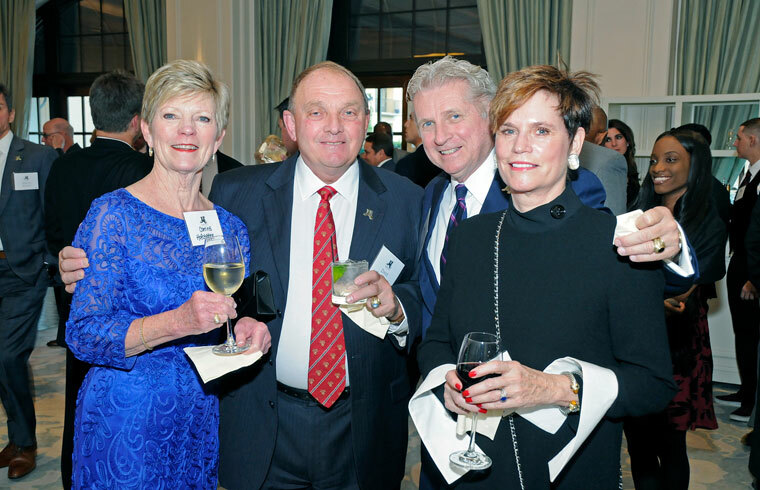 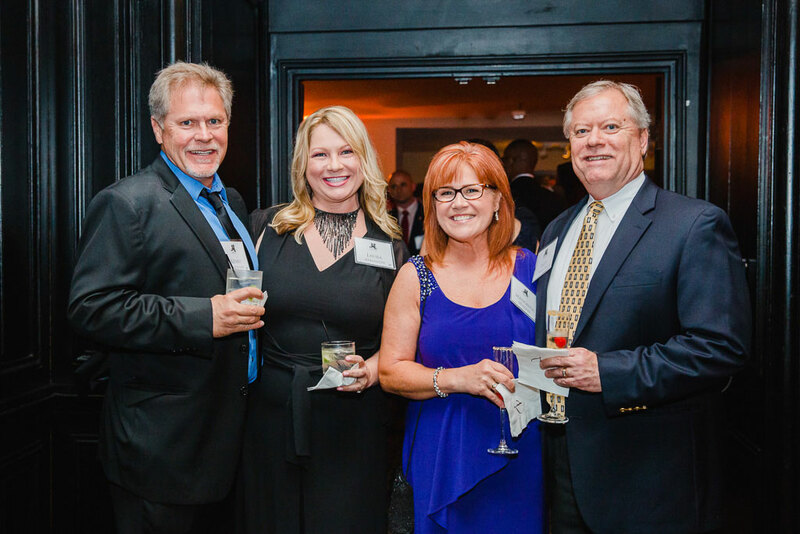 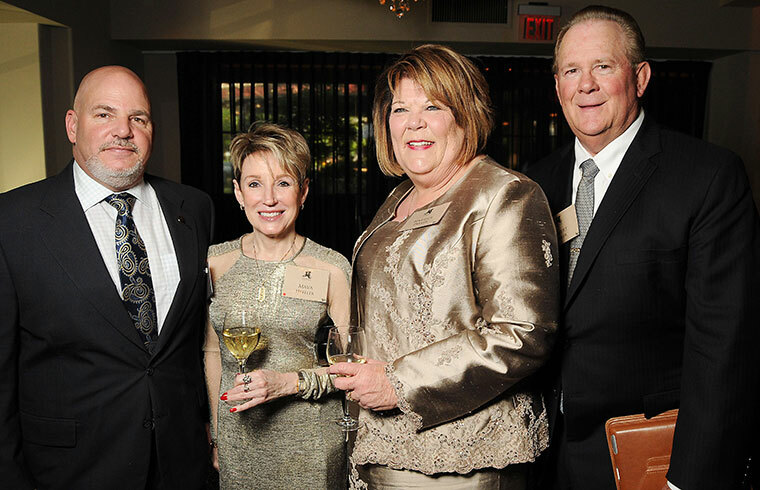 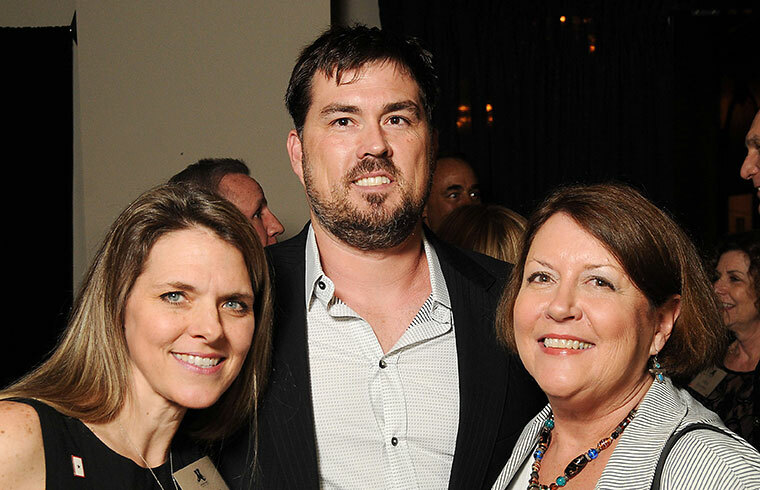 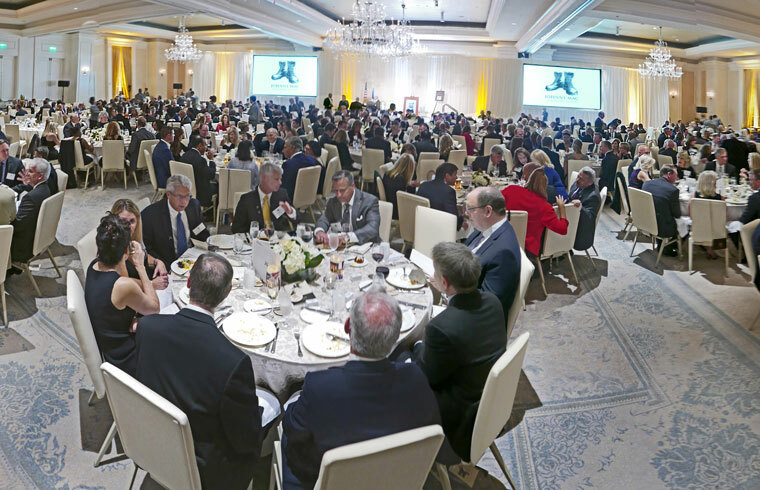 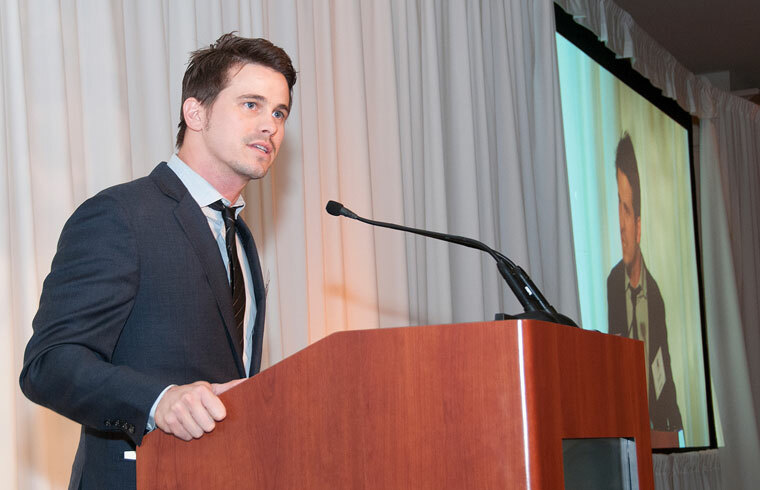 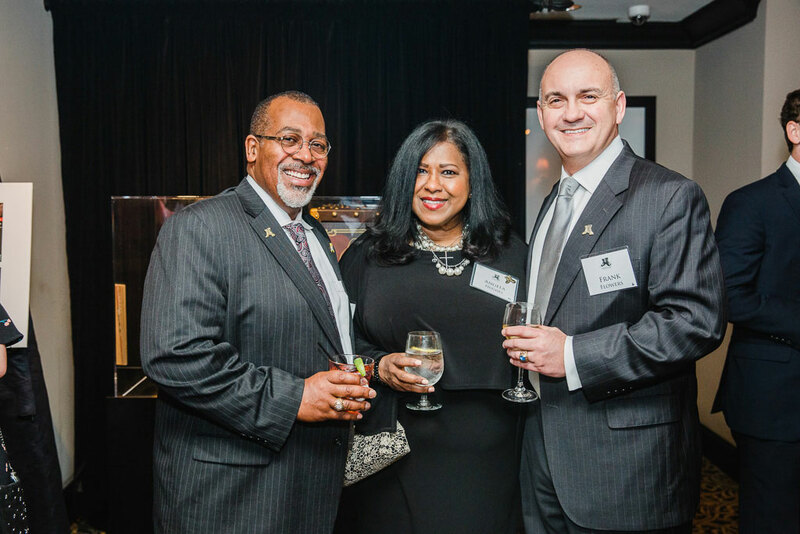 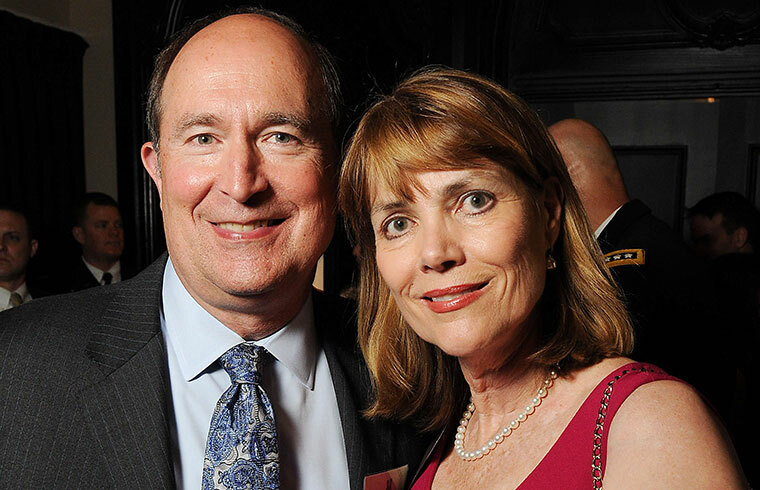 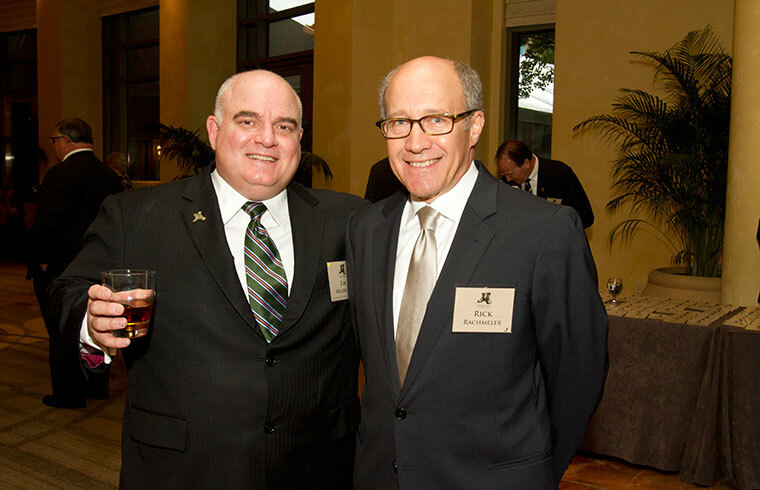 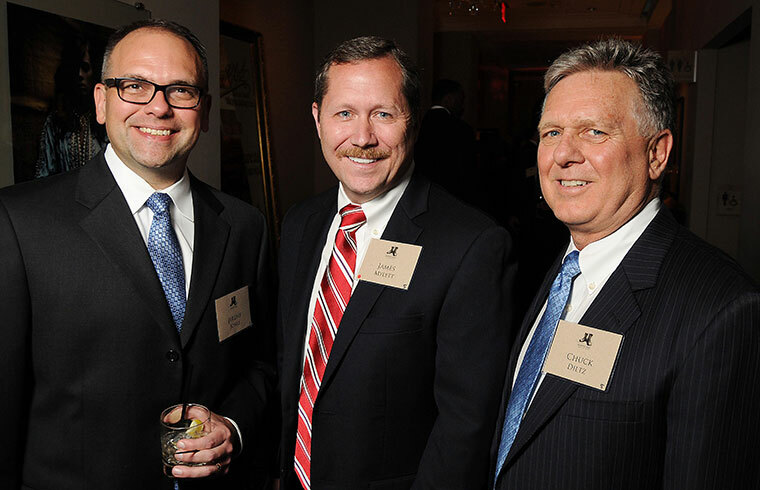 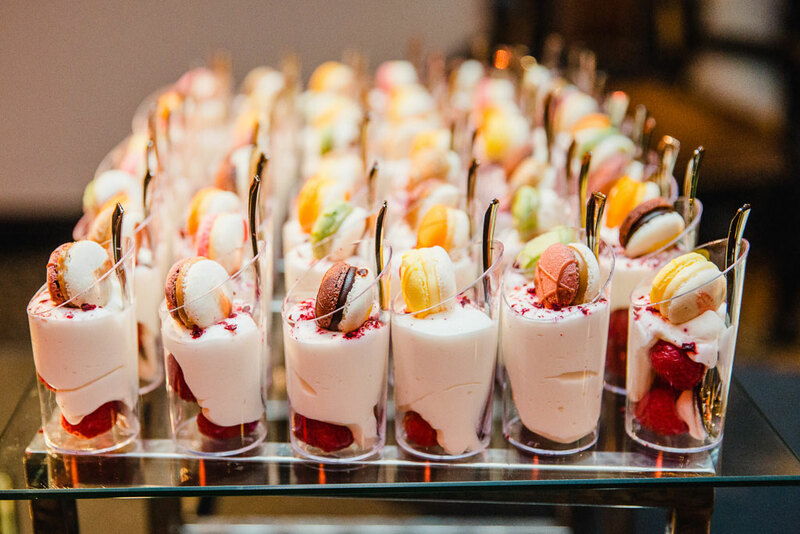 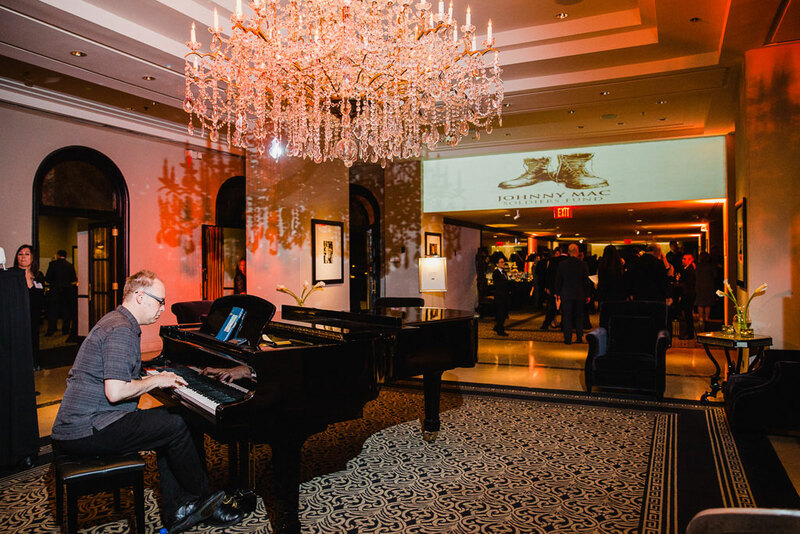 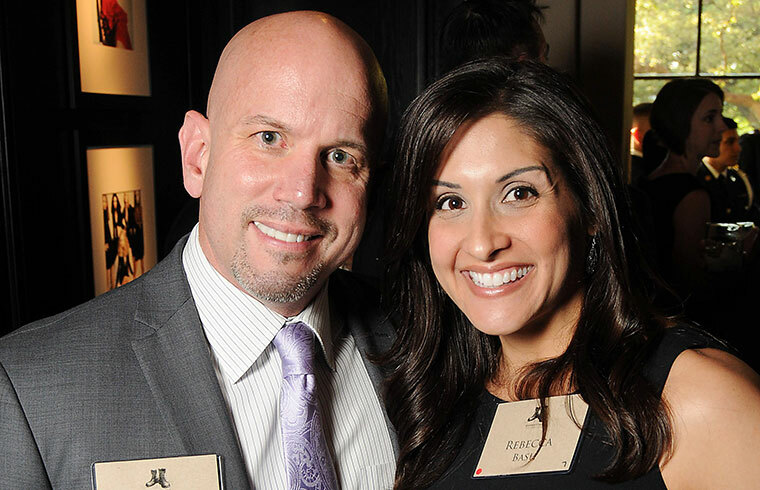 More than 450 guests gathered in Houston for our inaugural gala. 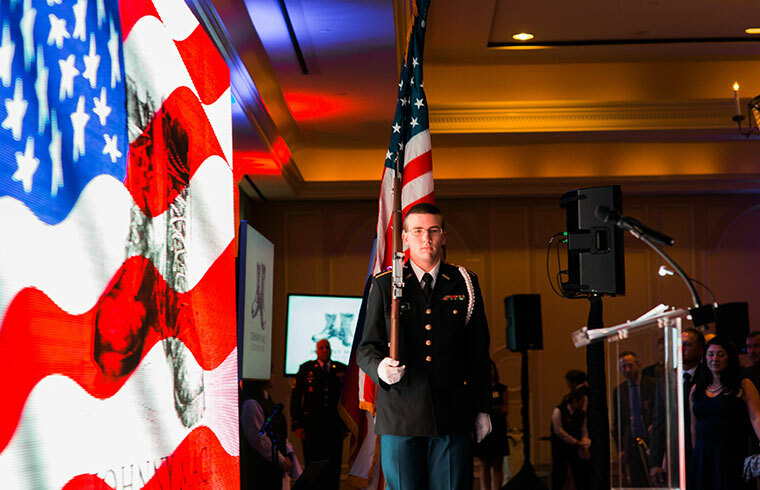 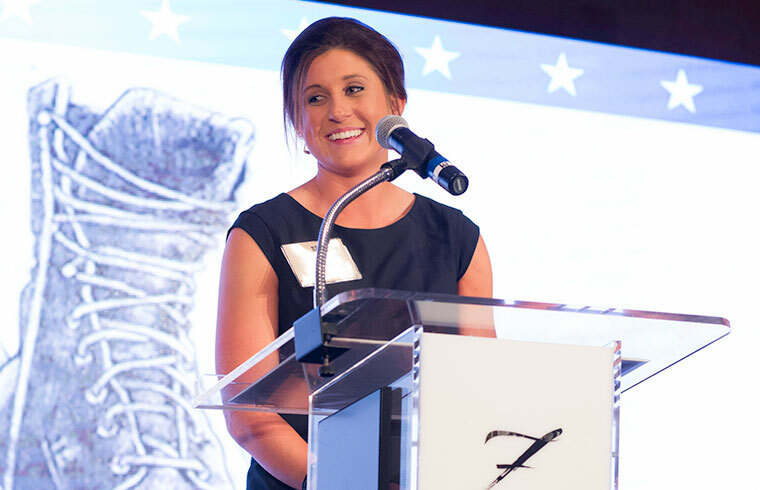 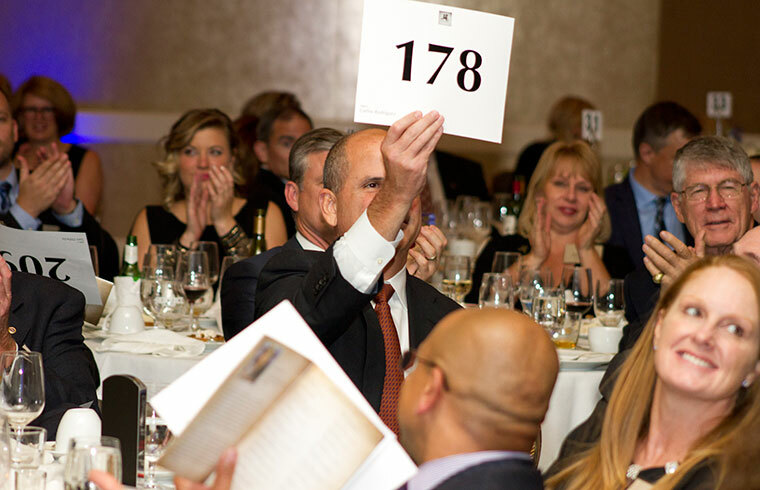 Through the generosity of our sponsors and supporters, we raised $1.4 million for college scholarships for military children. 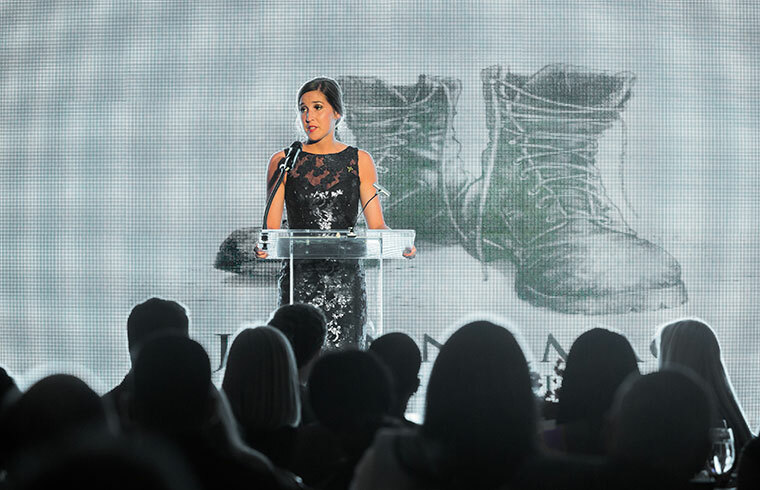 It was a night filled with laughter and tinged with tears...a night to remember. 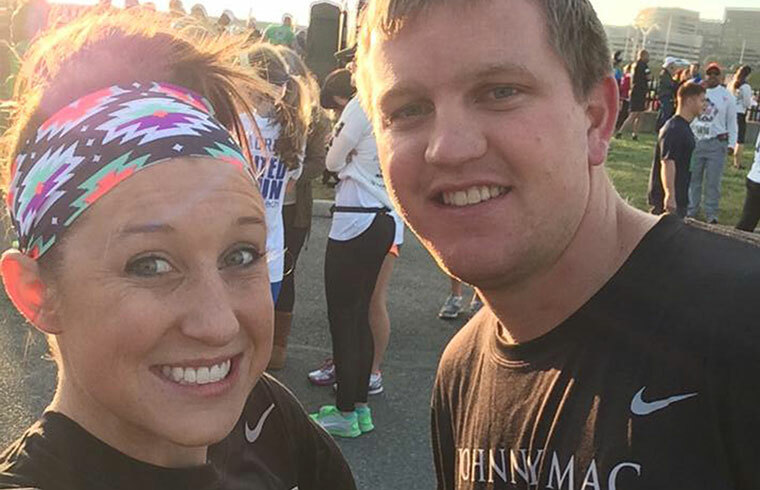 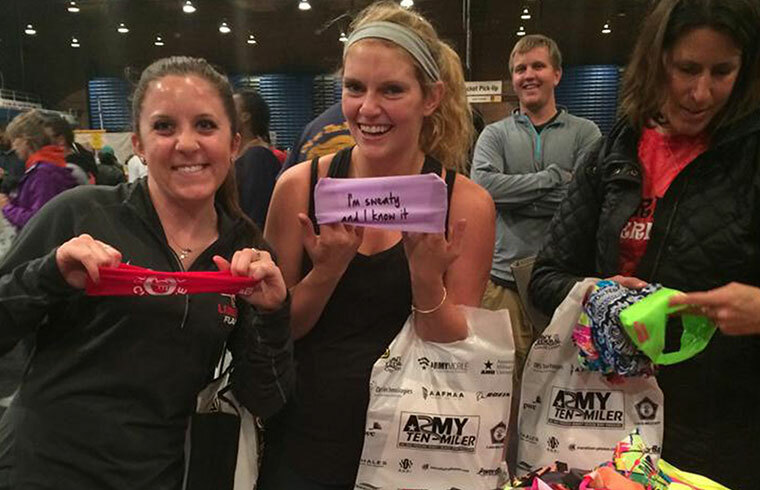 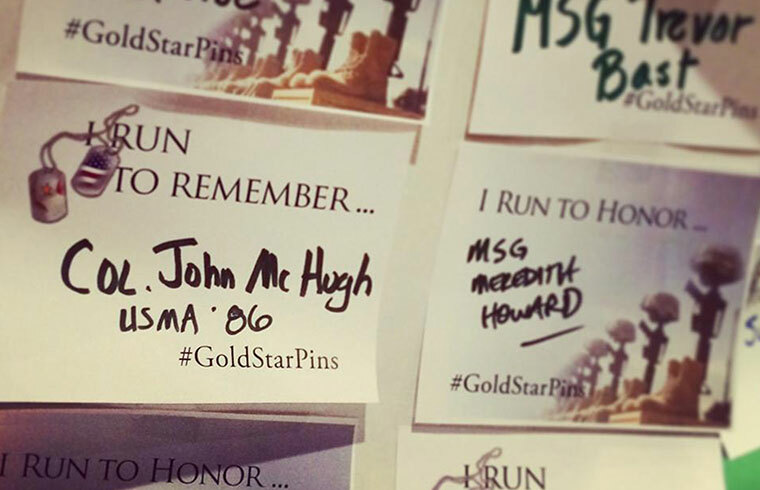 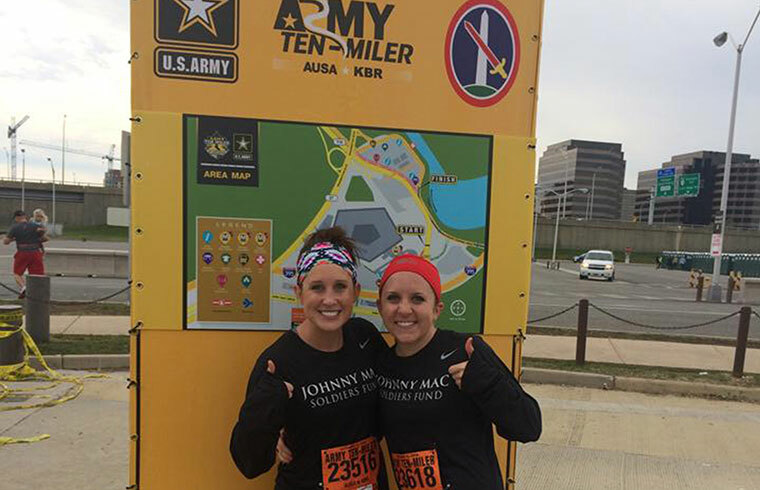 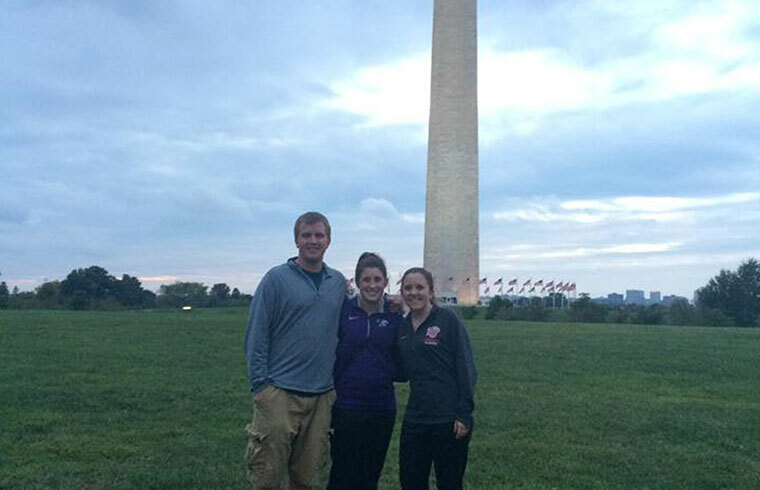 Kelly and Kristen McHugh, along with three other members of Team McHugh, ran in the 30th annual Army Ten-Miler to raise funds for the charity inspired by their father, Colonel John "Johnny Mac" McHugh. 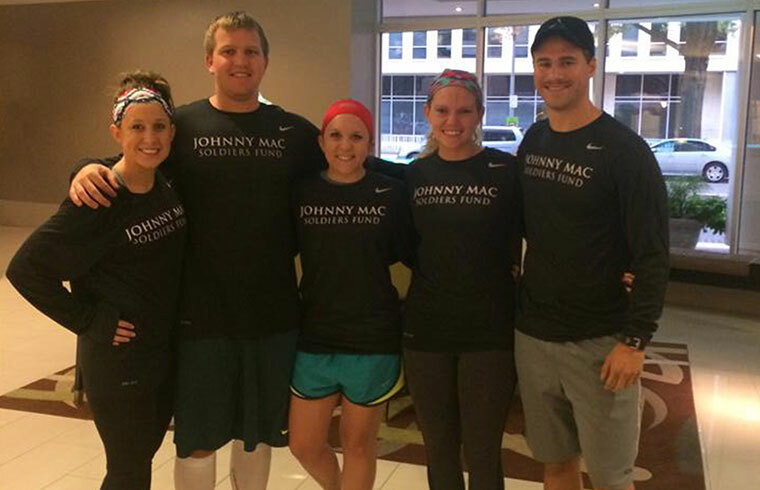 The team met and surpassed their fundraising goal and raised nearly $12,000 for Johnny Mac Soldiers Fund! 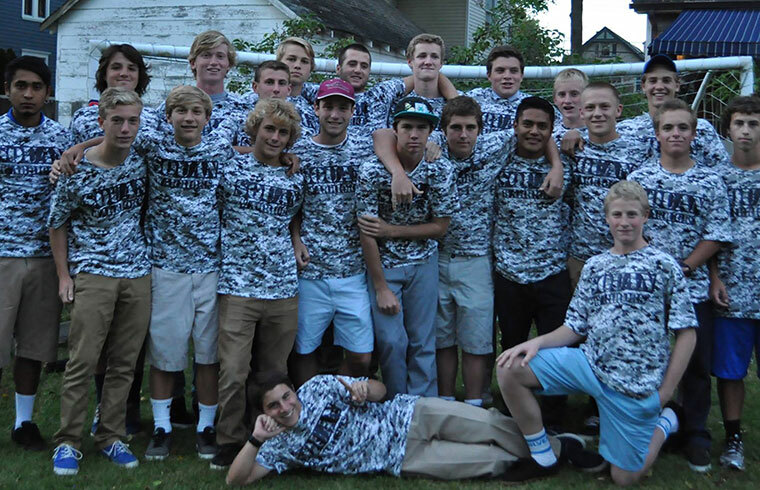 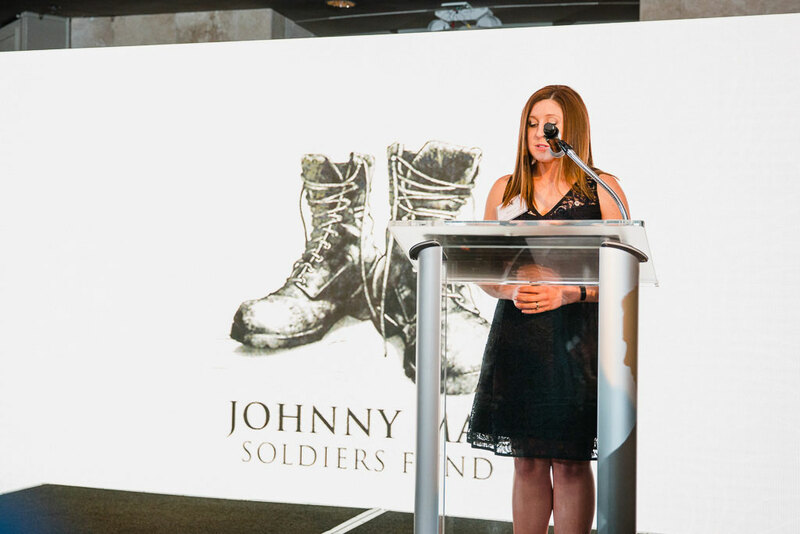 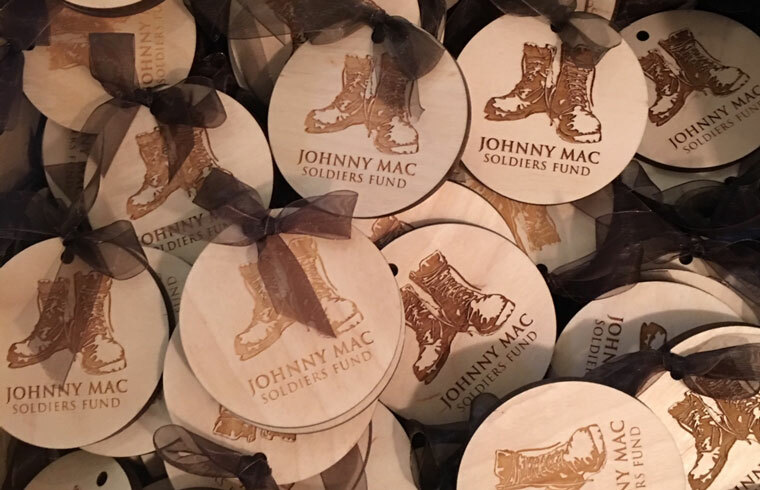 The boys' and girls' soccer teams at Manasquan High School and Point Pleasant Borough High School, both in Col. John McHugh's home state of New Jersey, recently raised $1,500 for Johnny Mac Soldiers Fund by selling T-shirts. 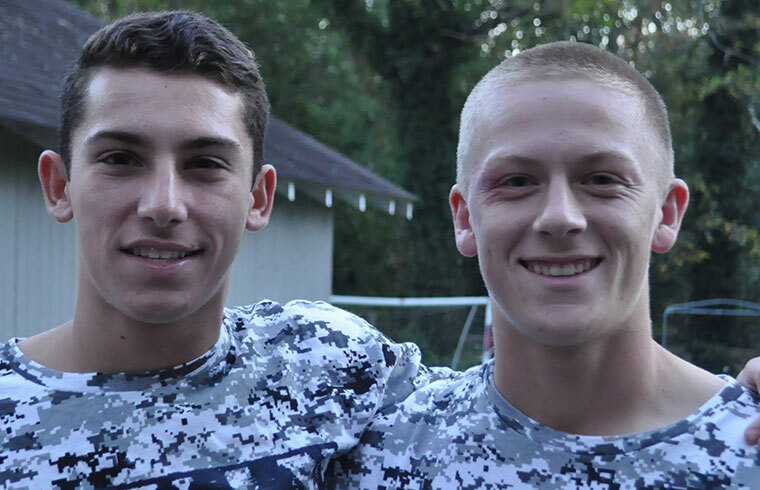 These student athletes were recognized for their efforts at the Army-Loyola soccer game at West Point on October 11th. 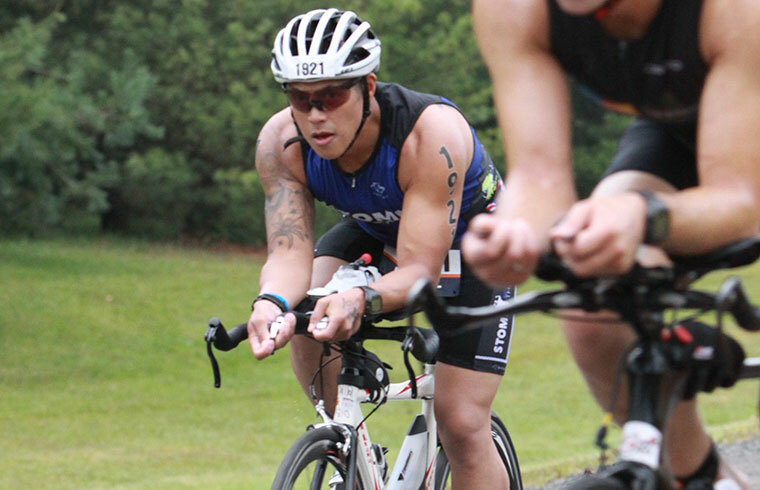 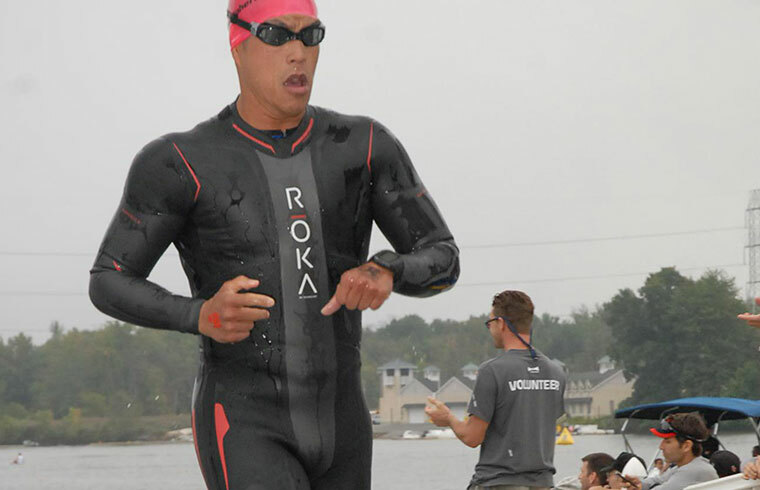 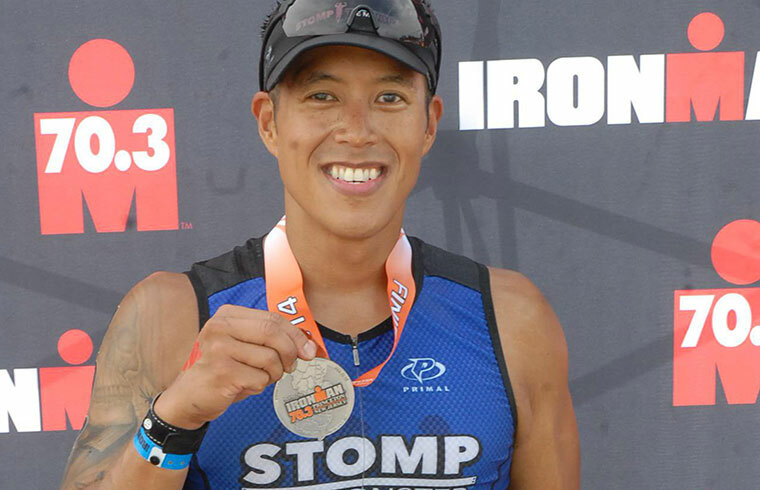 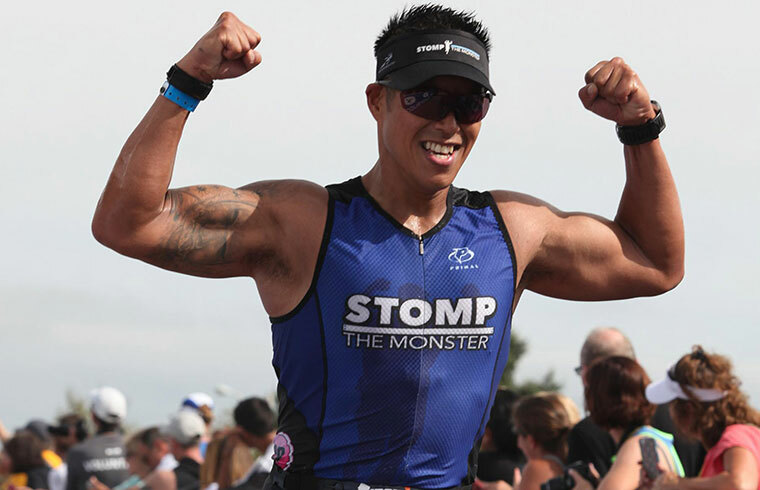 NuLife Med and its CEO, Jim Hradecky (a West Point classmate of John "Johnny Mac" McHugh), proudly sponsored its CFO, Mike Avestro, as he completed the grueling 70.3-mile course of Ironman Princeton. 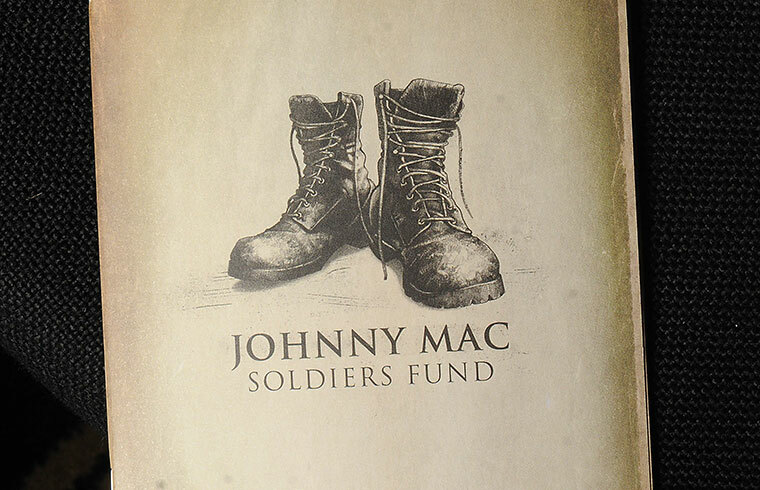 Mike raised over $3,000 for Johnny Mac Soldiers Fund. 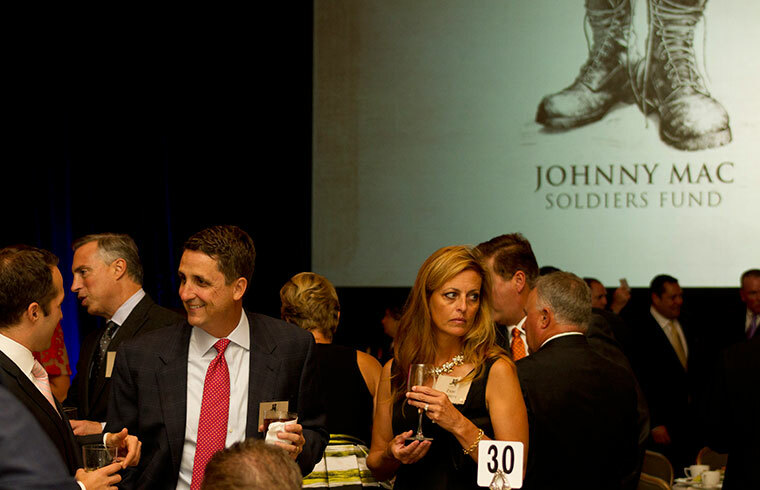 Our annual event to honor and remember Johnny Mac. 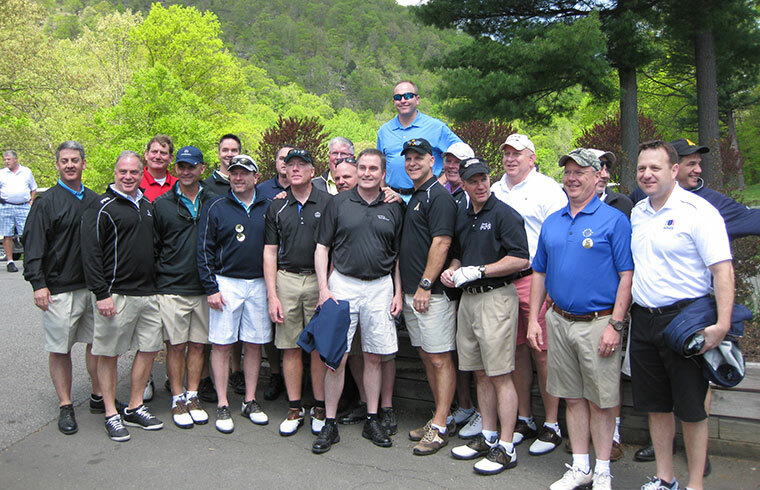 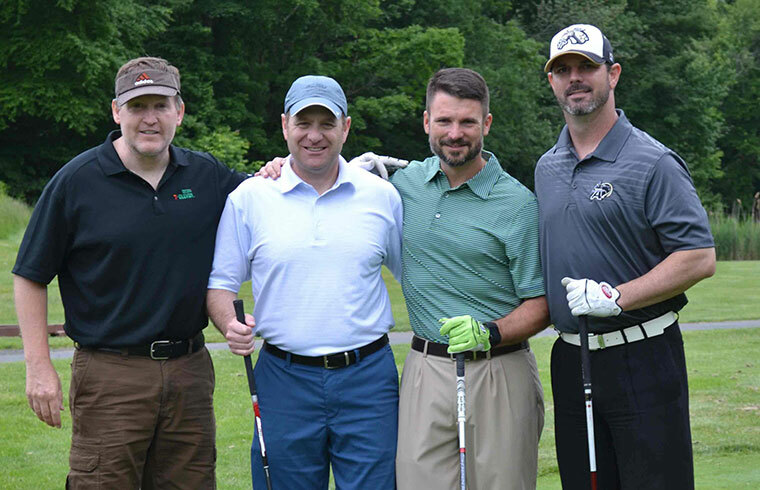 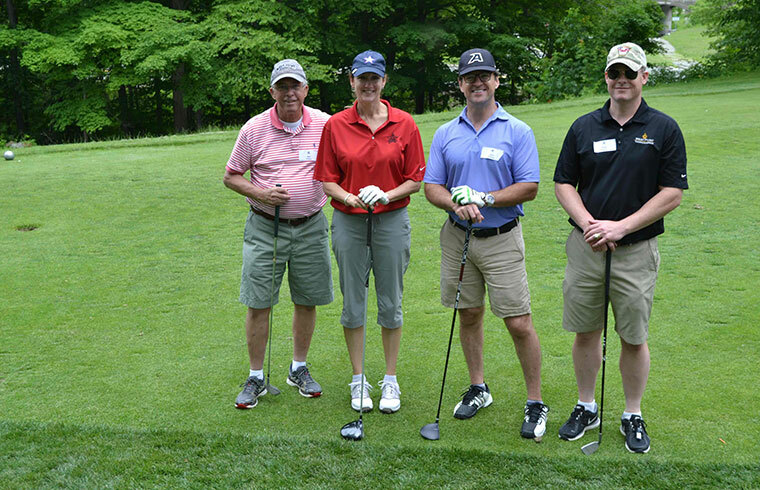 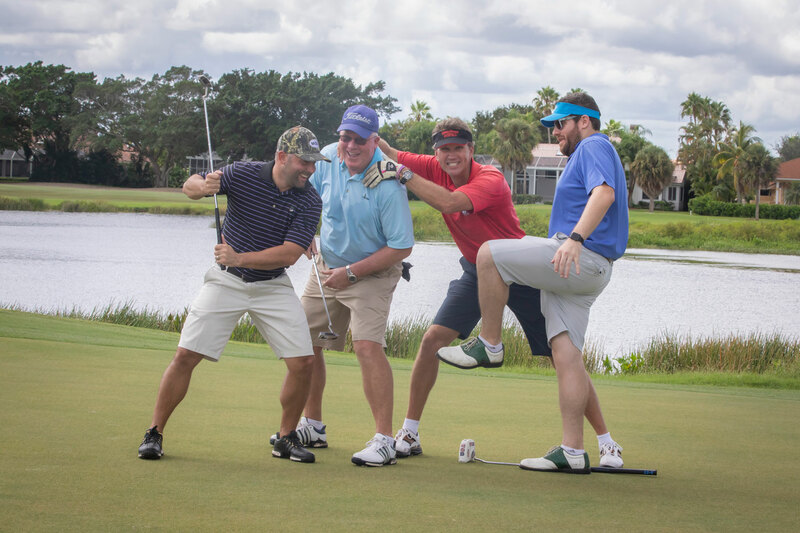 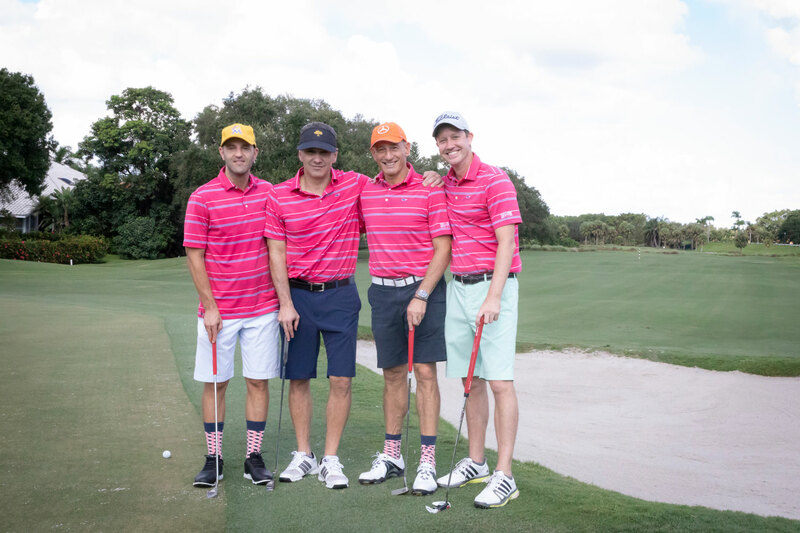 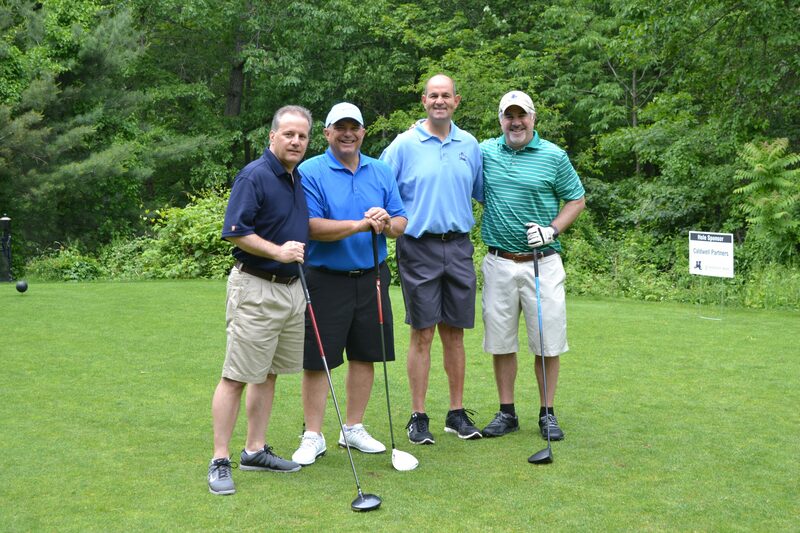 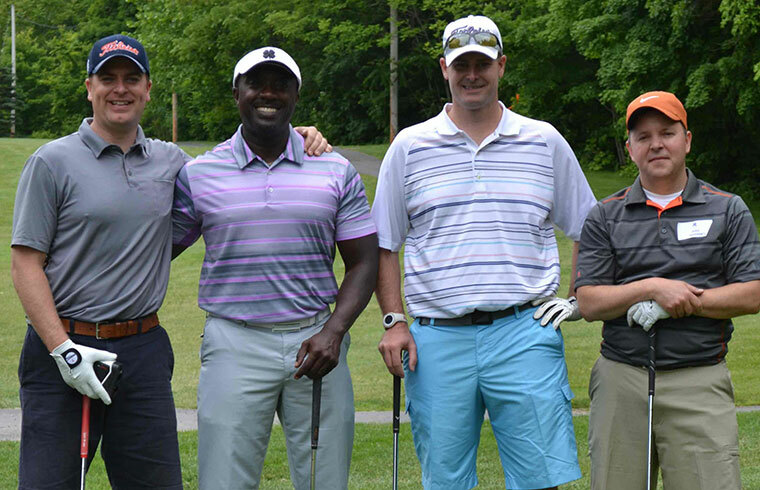 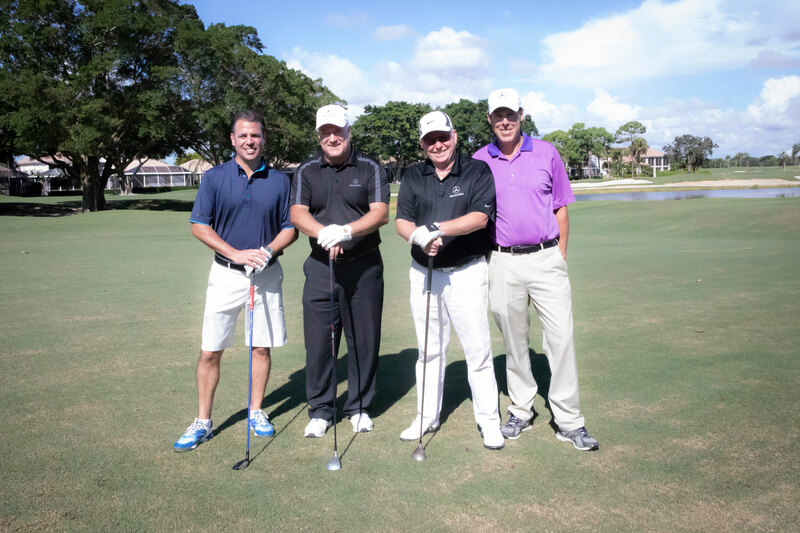 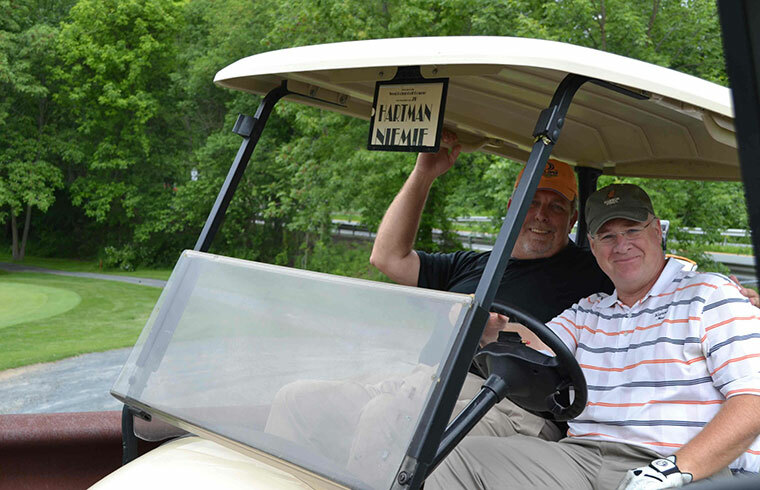 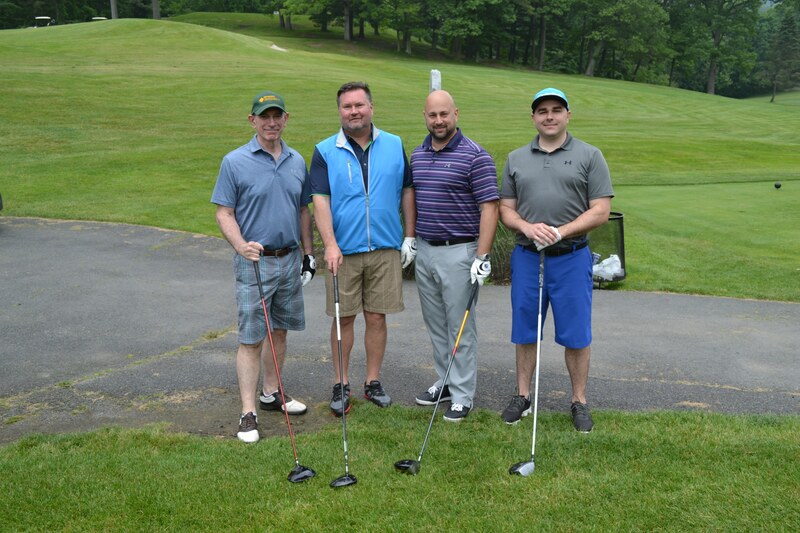 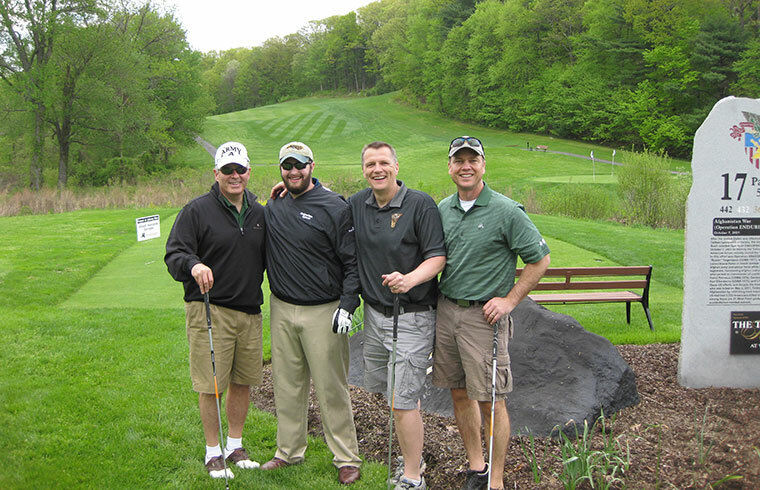 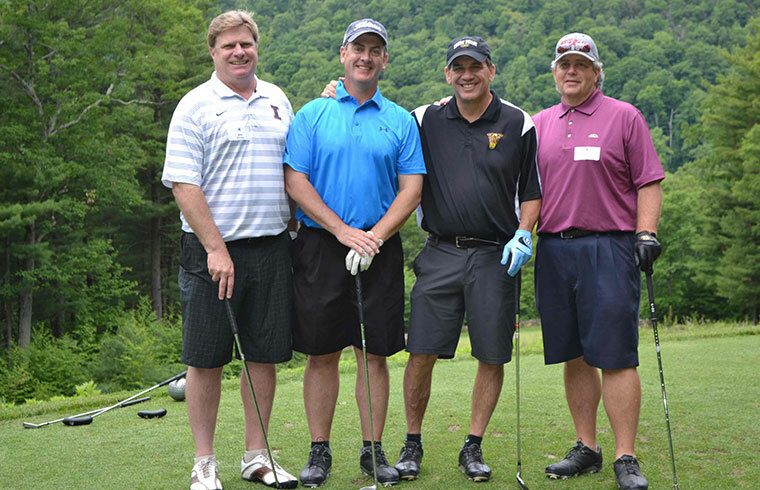 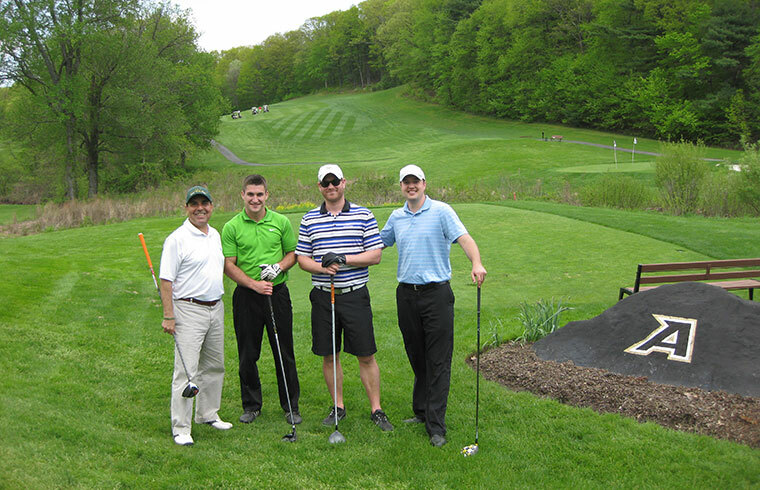 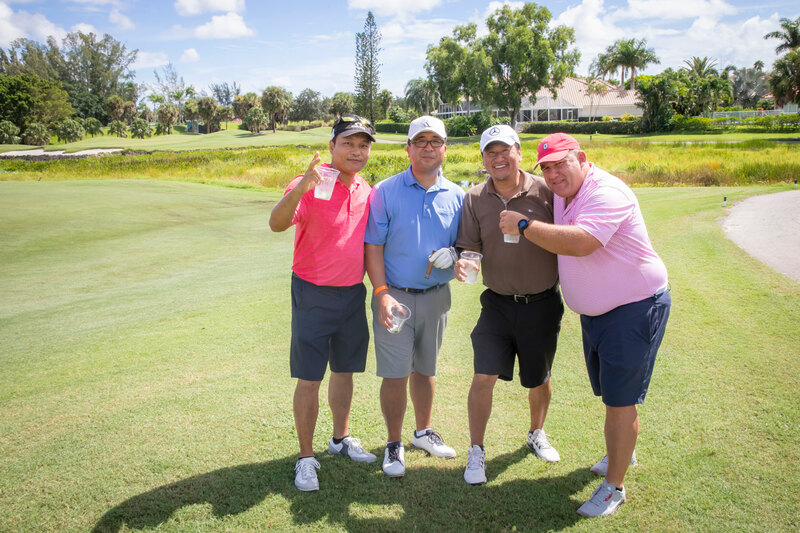 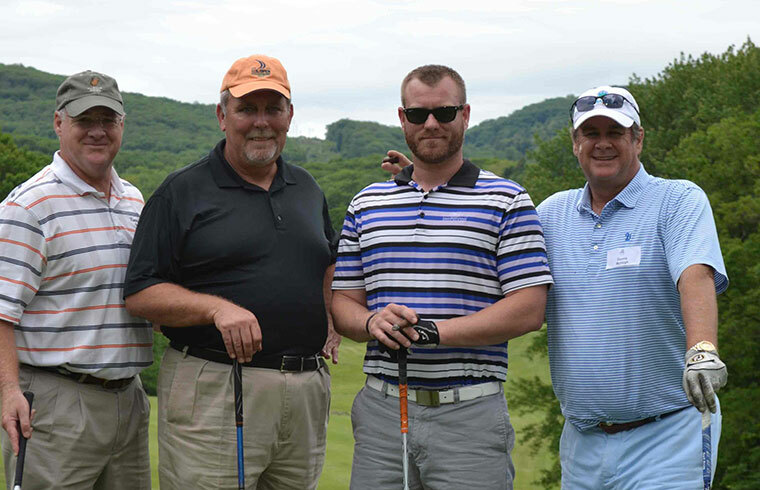 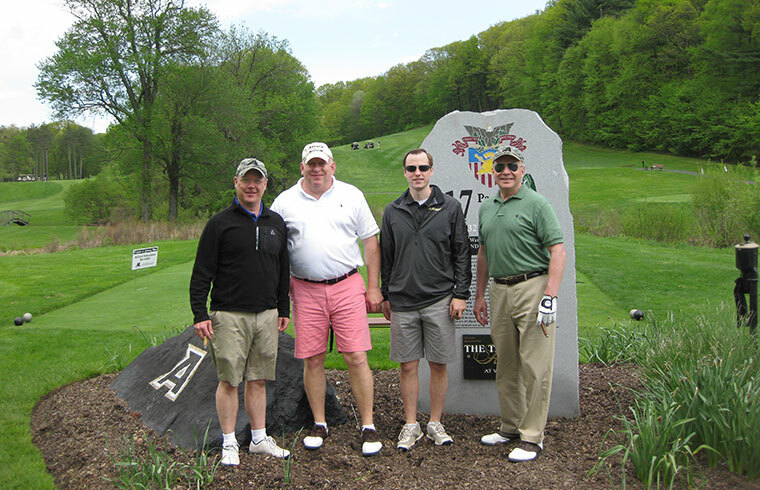 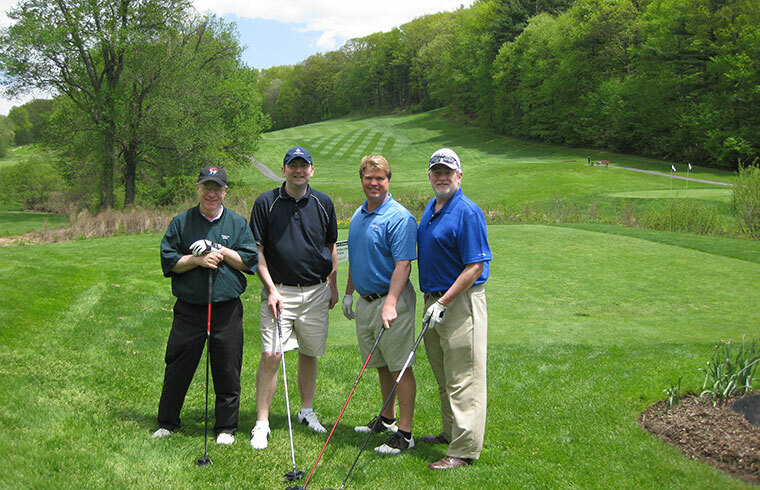 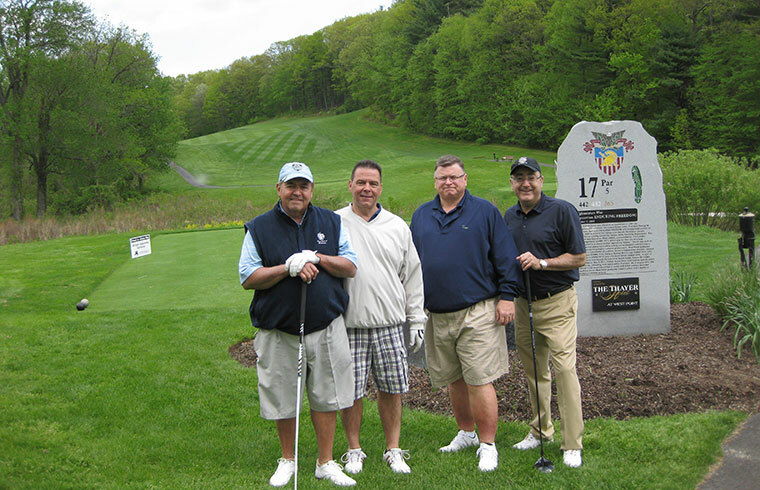 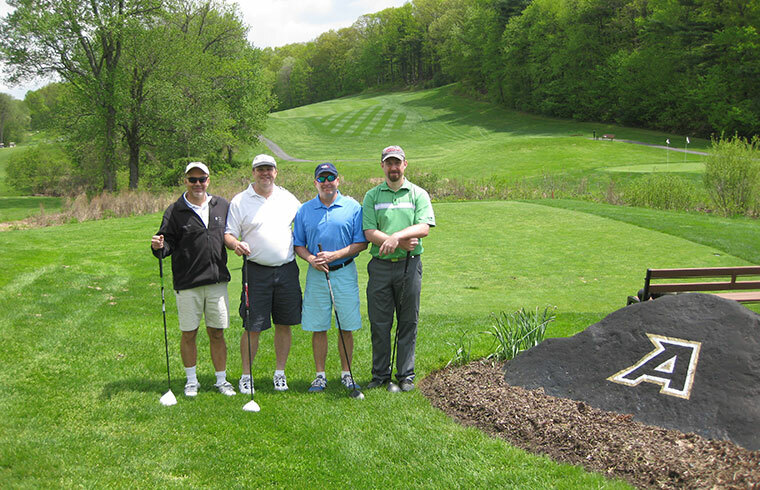 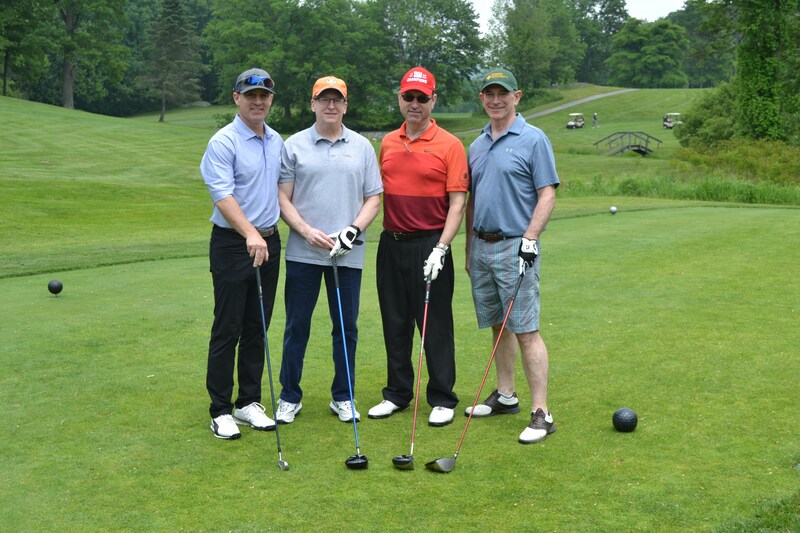 A day of camaraderie and good-natured competition on the golf course. 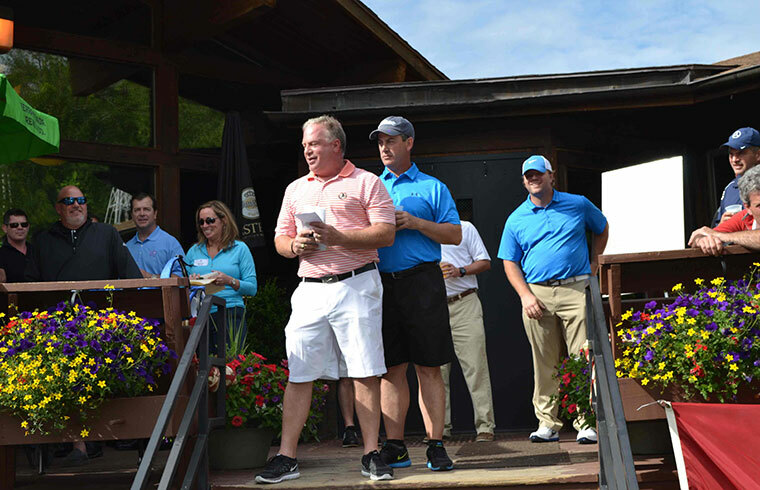 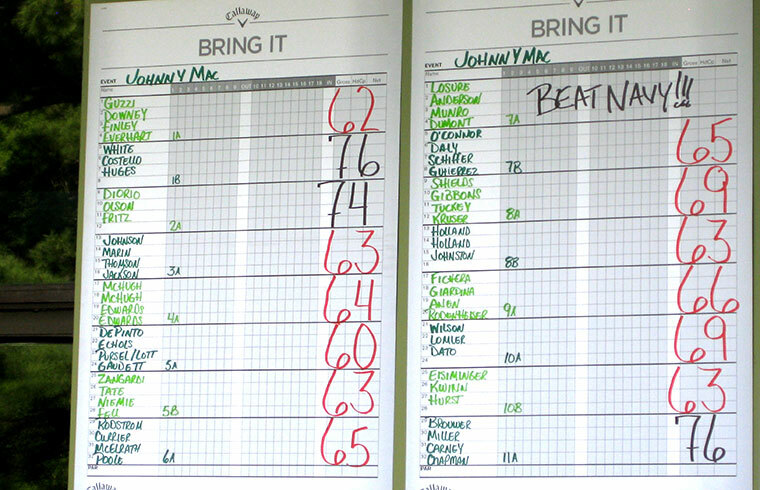 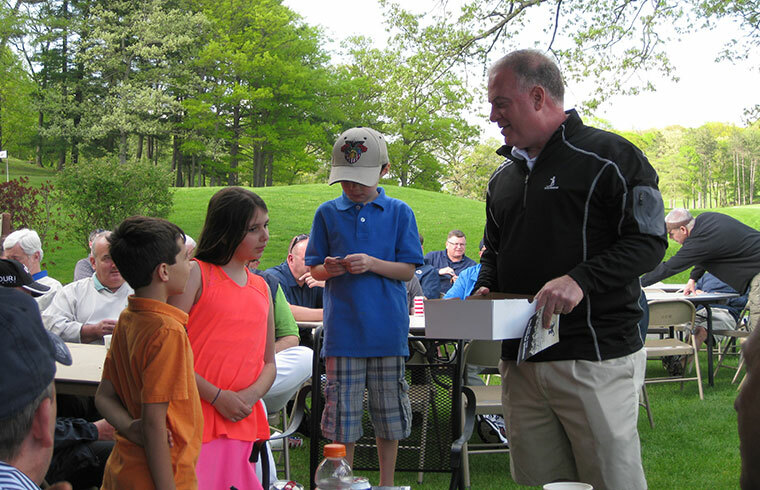 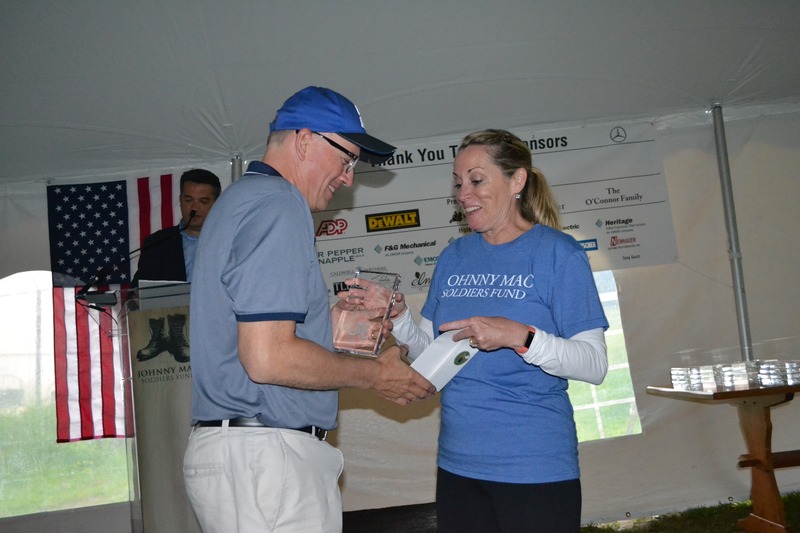 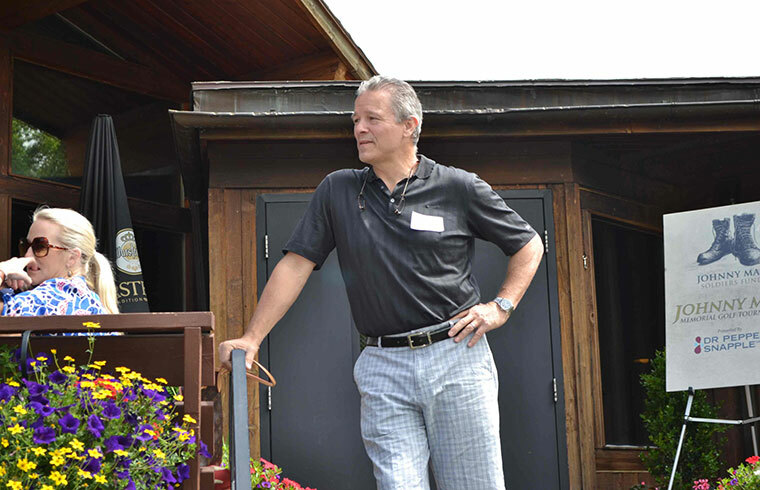 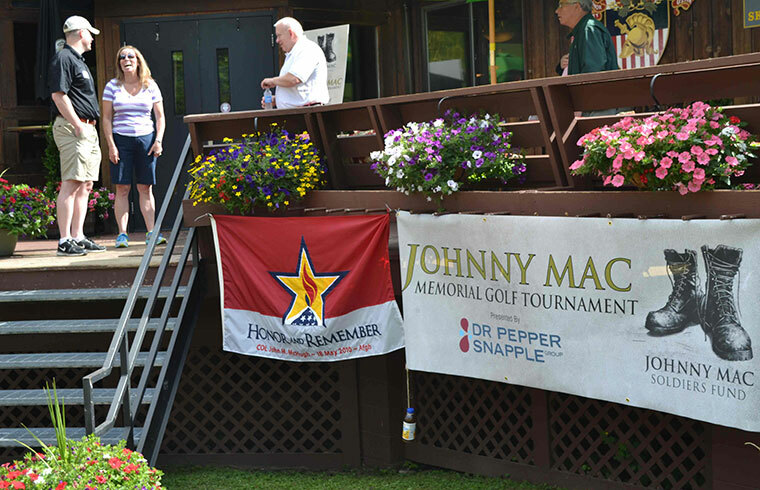 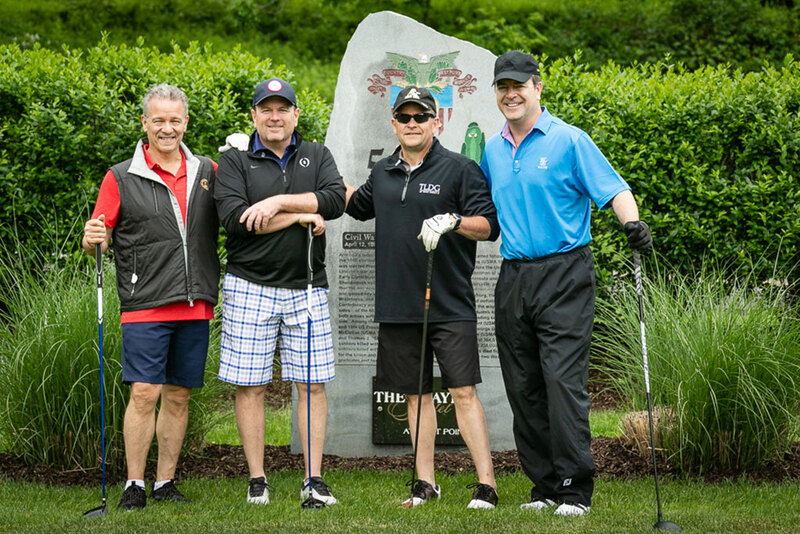 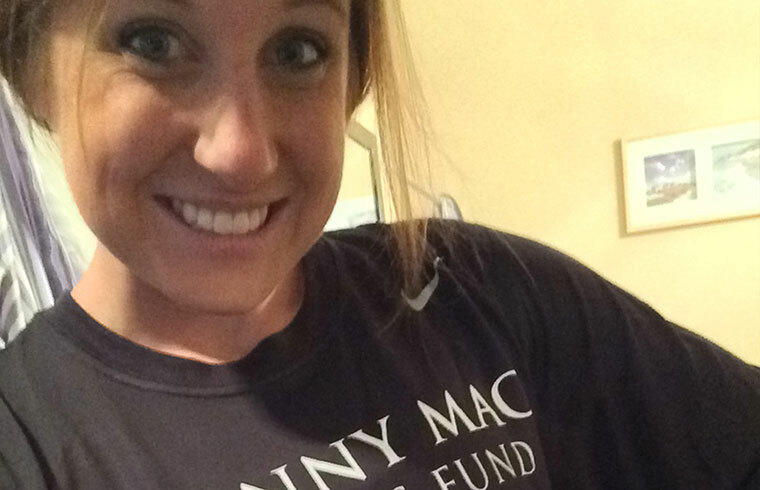 We're pleased to report that the 2014 tournament raised just over $100,000 for Johnny Mac Soldiers Fund. 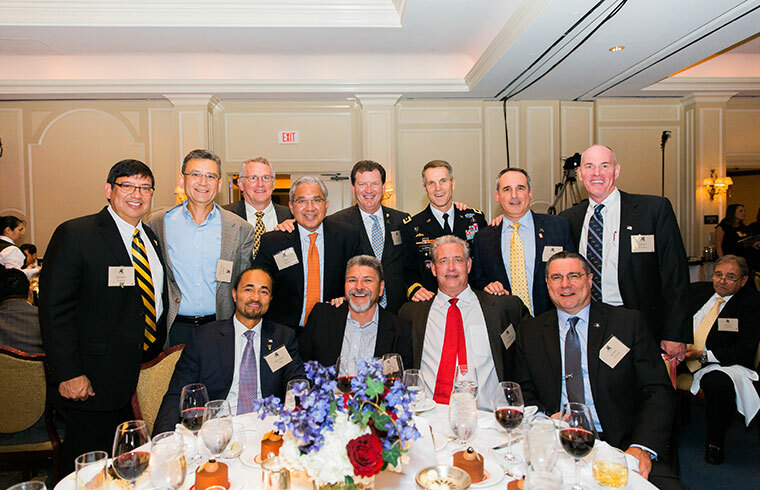 Our thanks to all, and enjoy the photos.